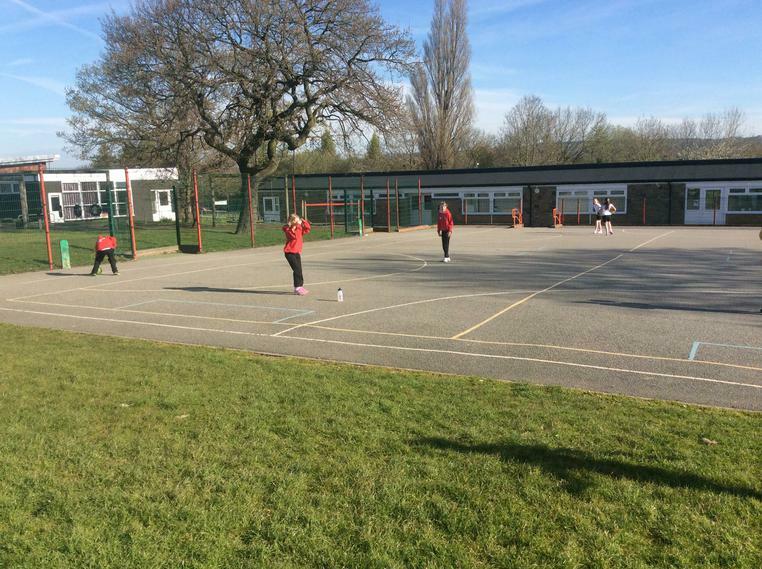 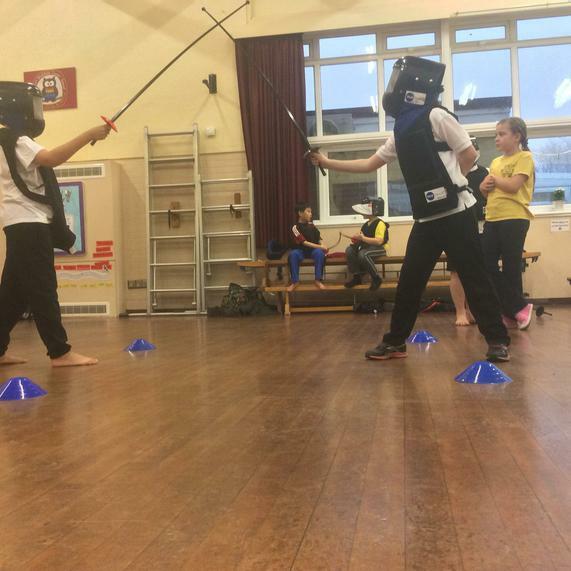 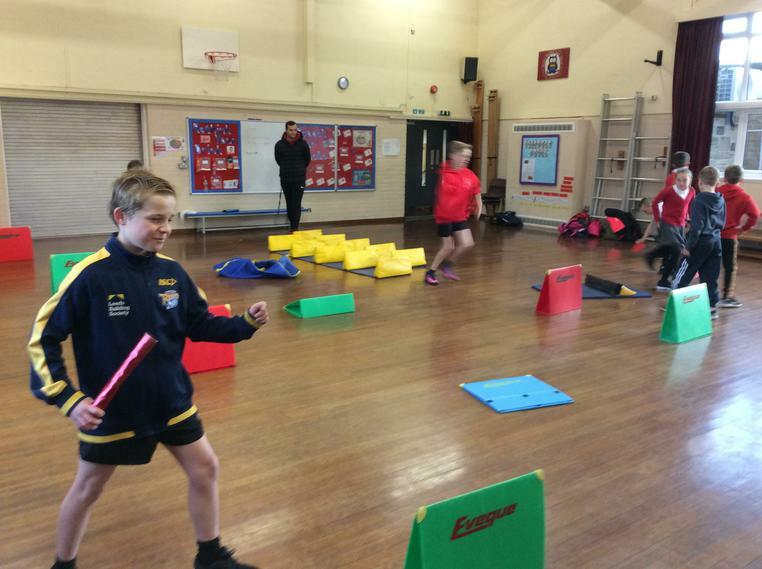 We realise that PE can play a huge role to encourage a healthy lifestyle. 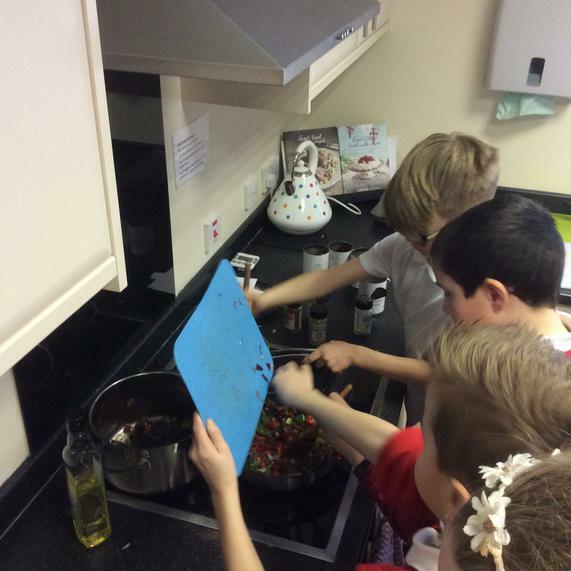 Cooking fajitas from scratch. 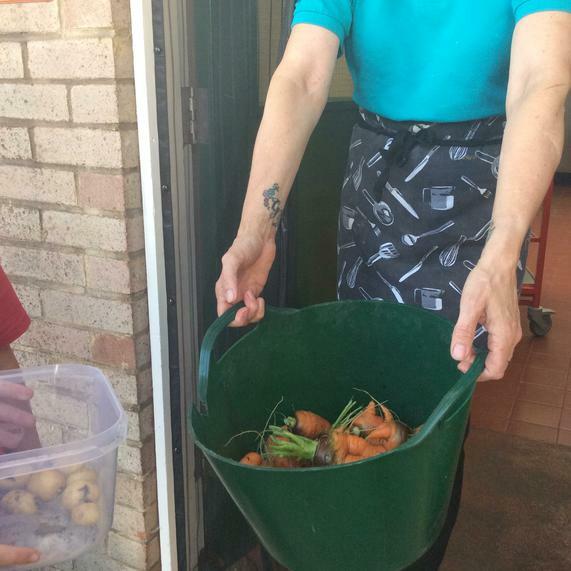 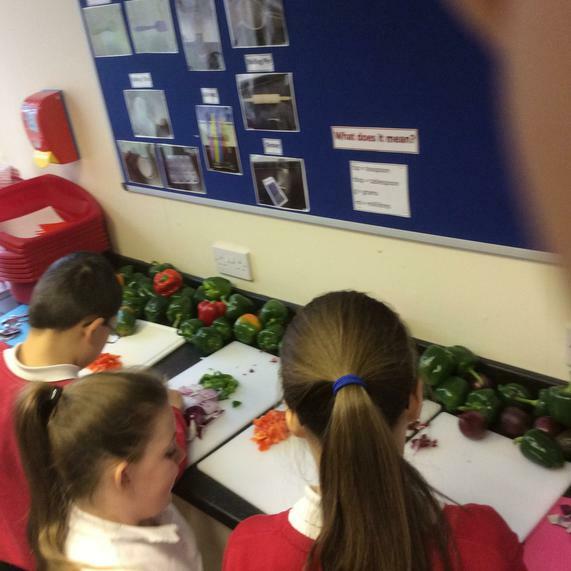 Lots of lovely fresh vegetables! 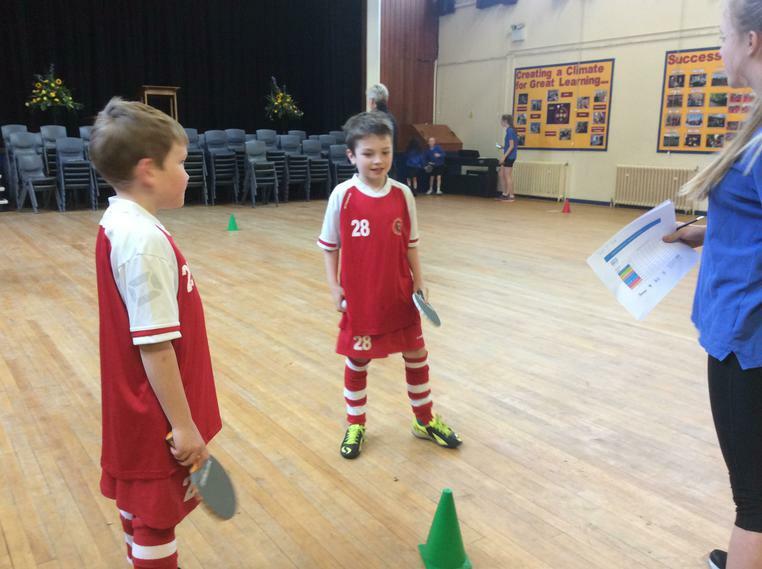 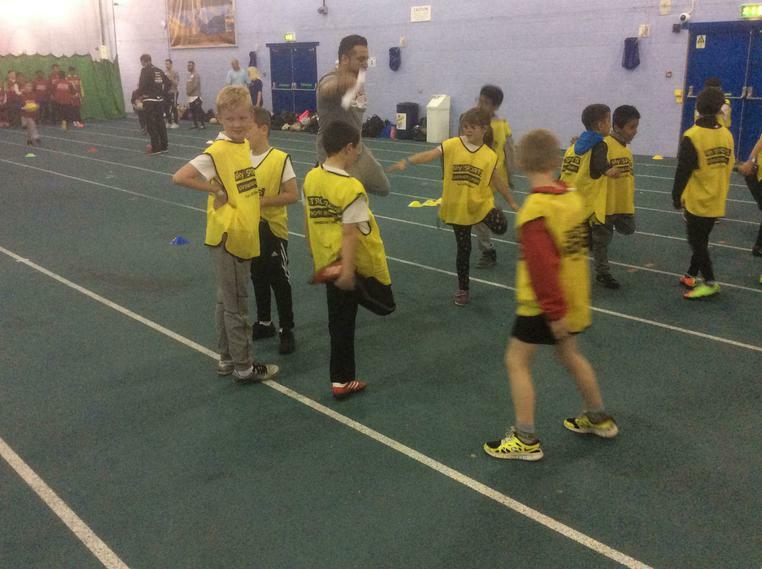 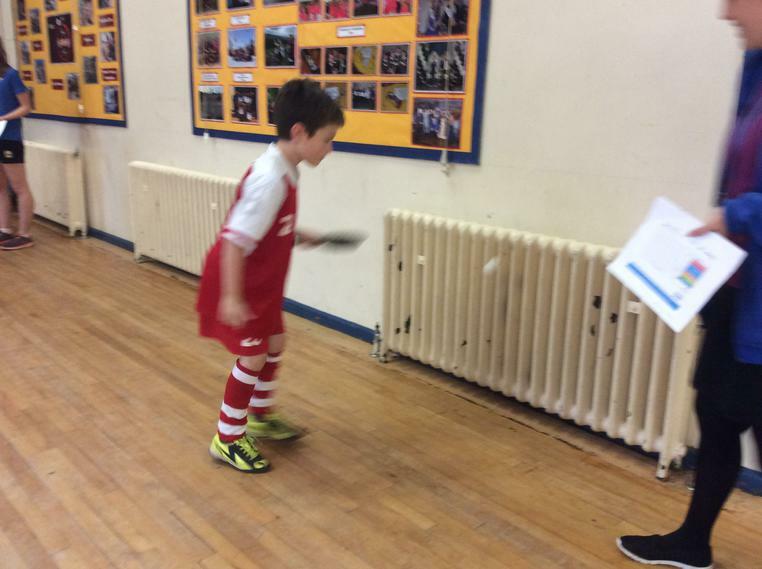 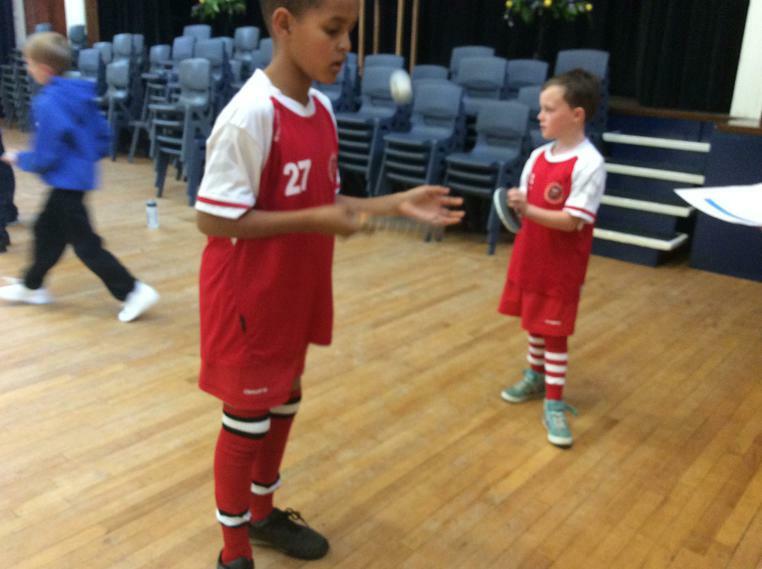 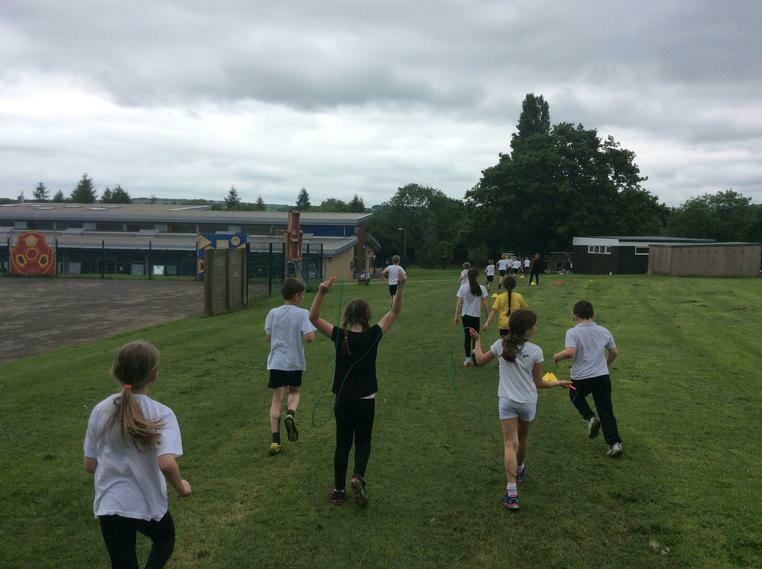 Year 3 pupil - 'On sports day I loved doing the egg and spoon race'. 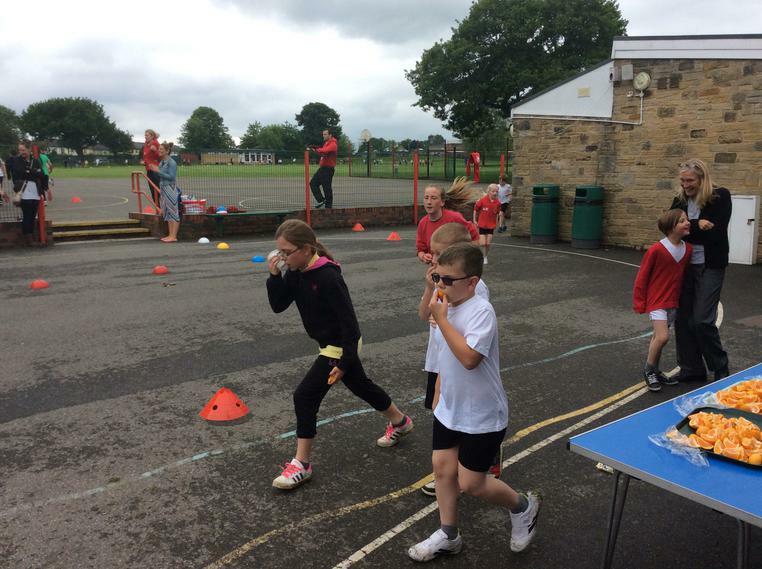 Lucy - 'I enjoyed sports day, especially the mum's race'. 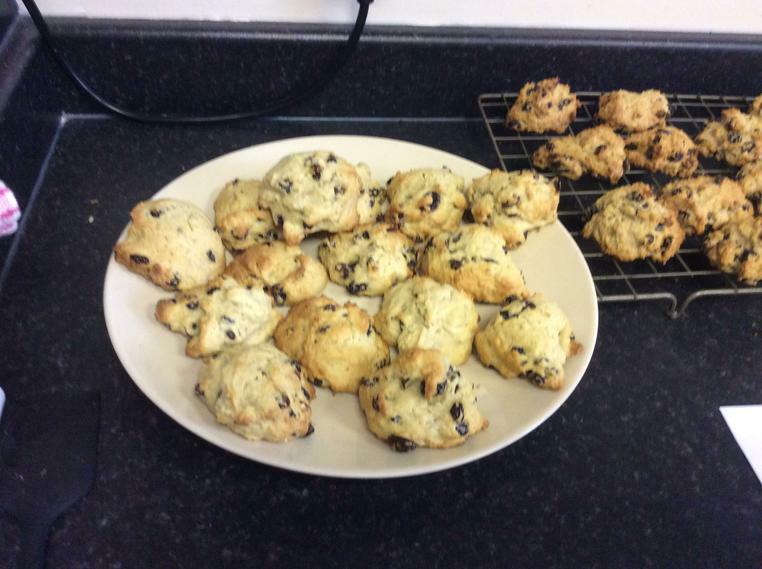 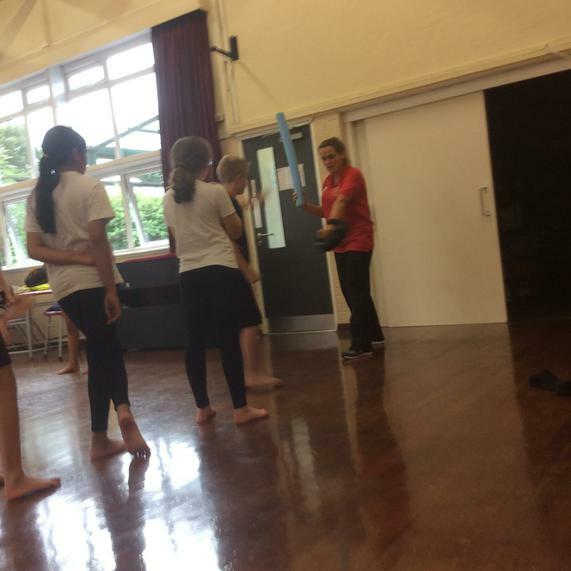 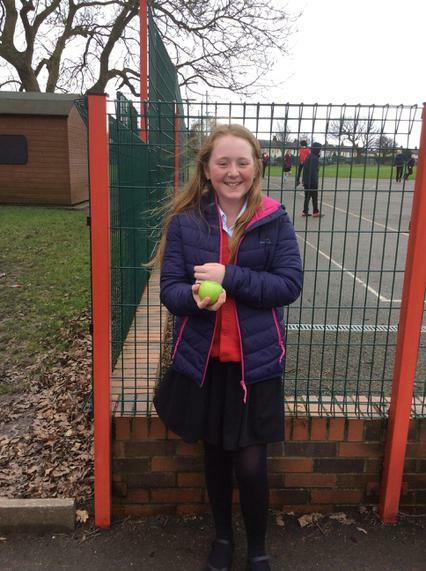 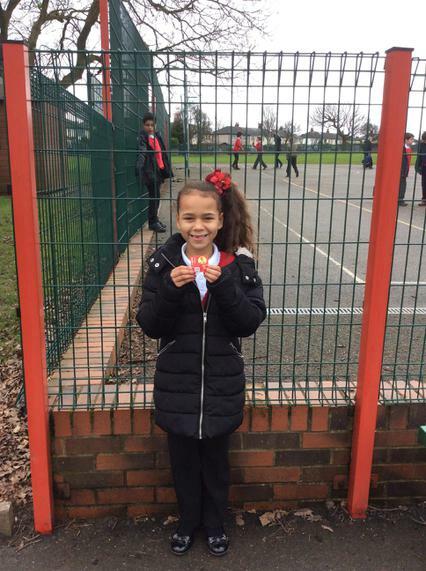 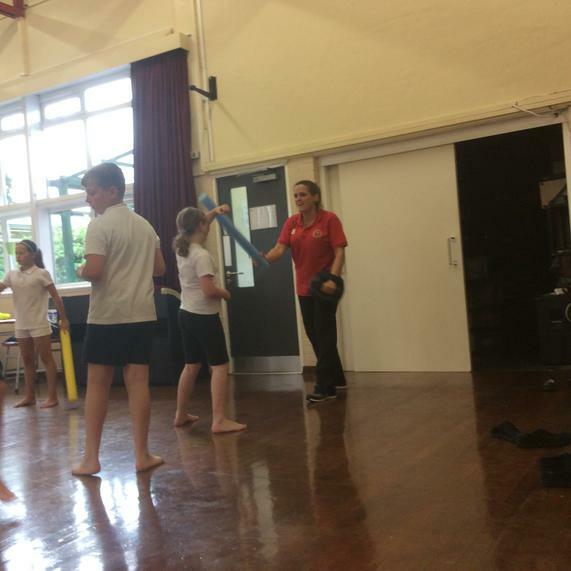 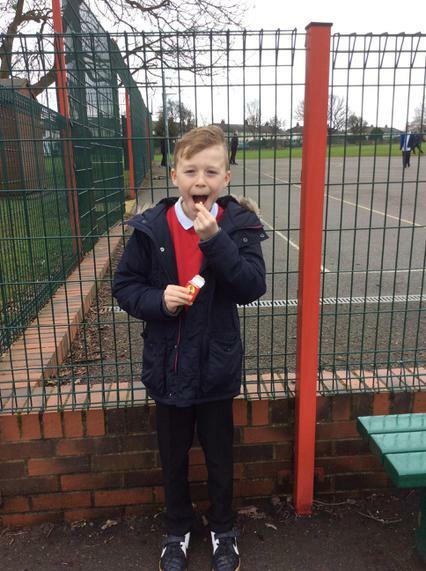 Rylee - 'I enjoyed sports day because it was not raining and because everyone took part...it was amazing and awesome'. 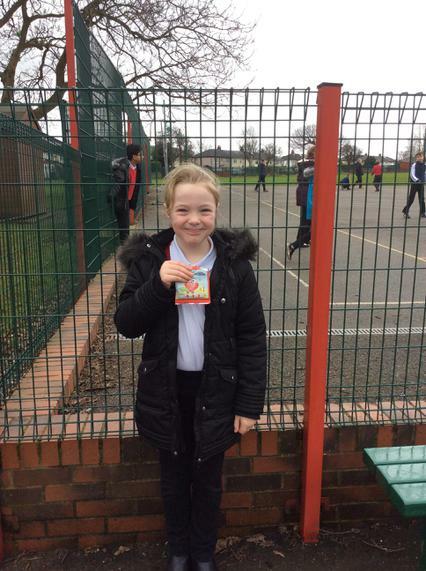 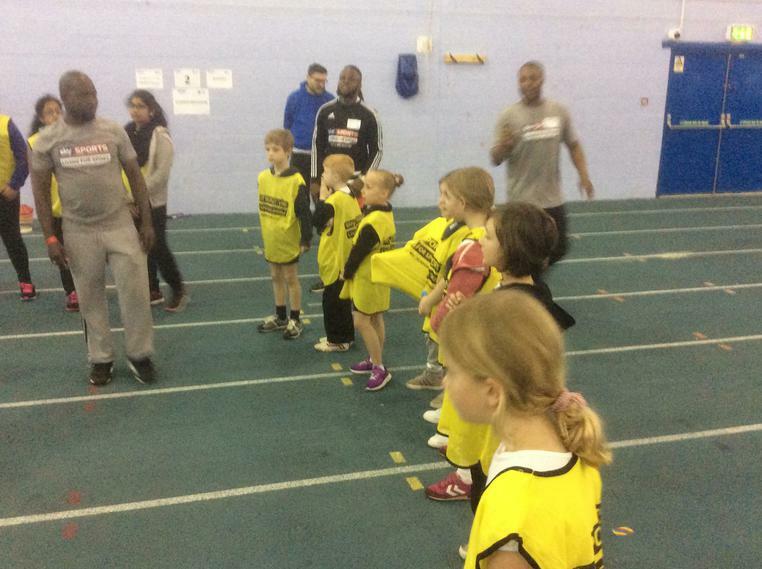 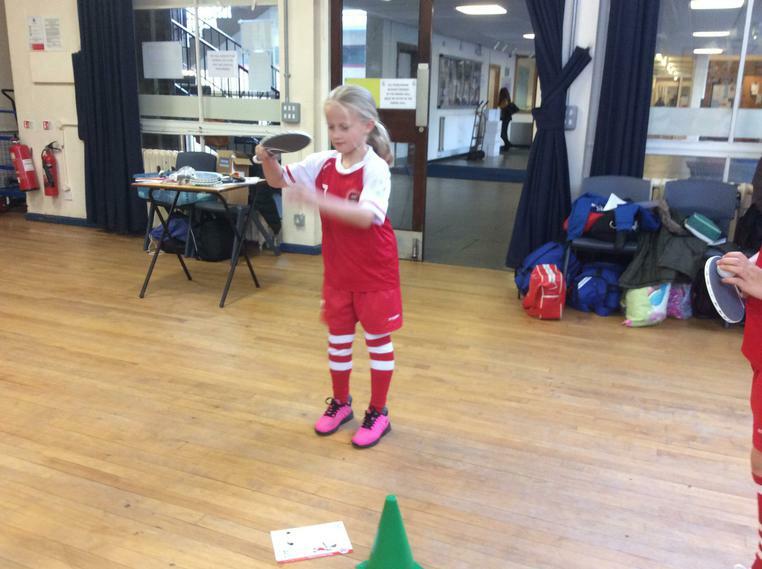 Poppy - 'Sports day was lots of fun and we all tried very hard'. 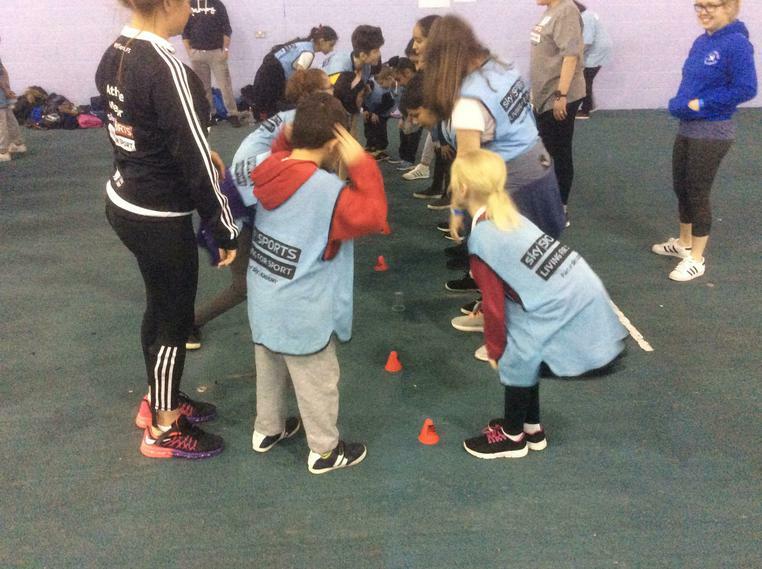 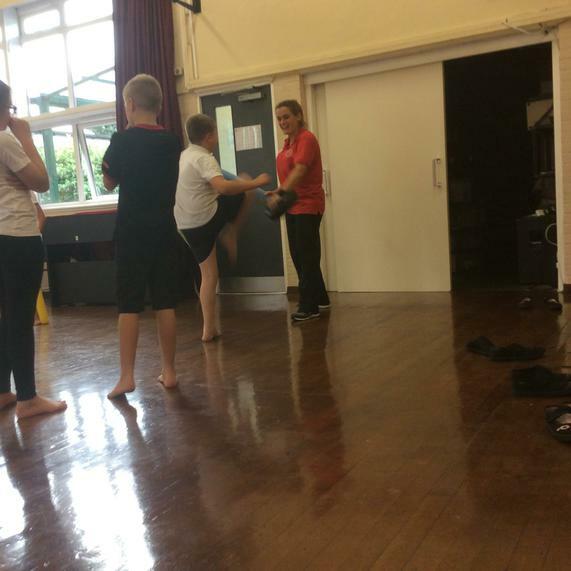 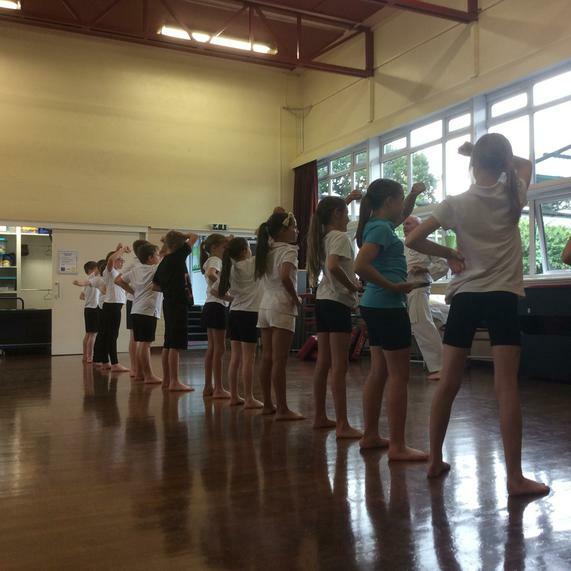 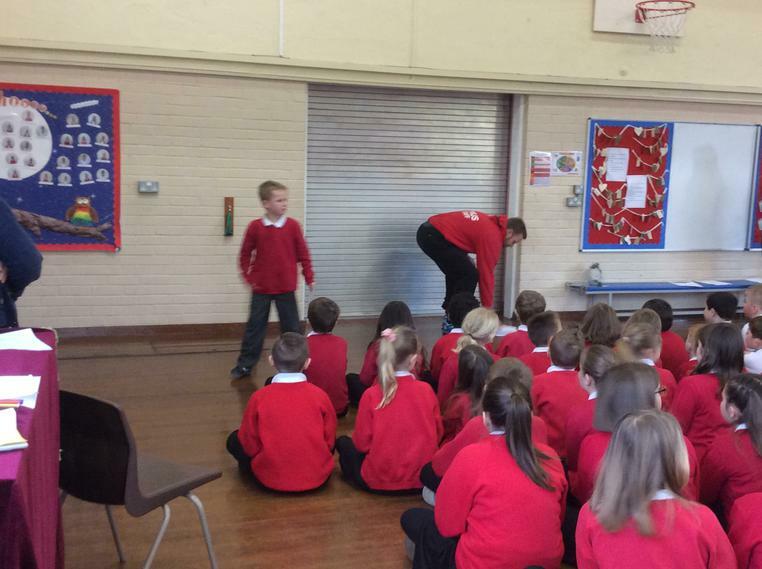 Our School Ambassadors taking part in a training event! 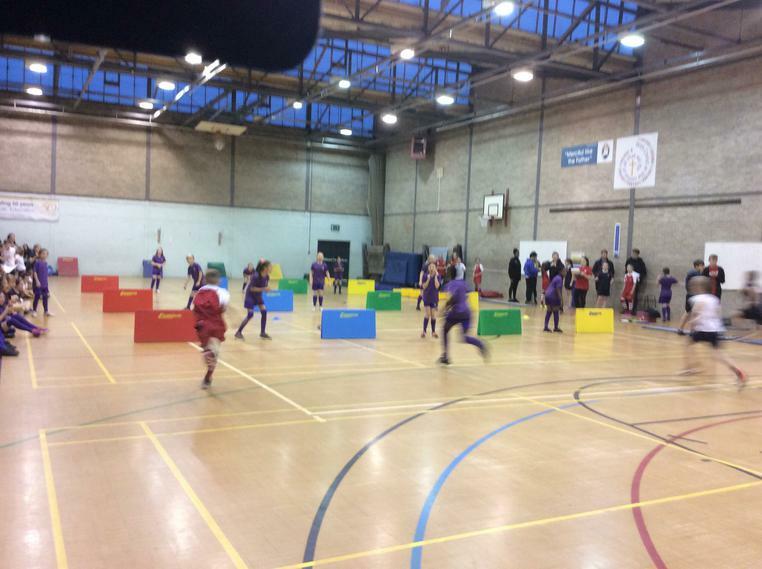 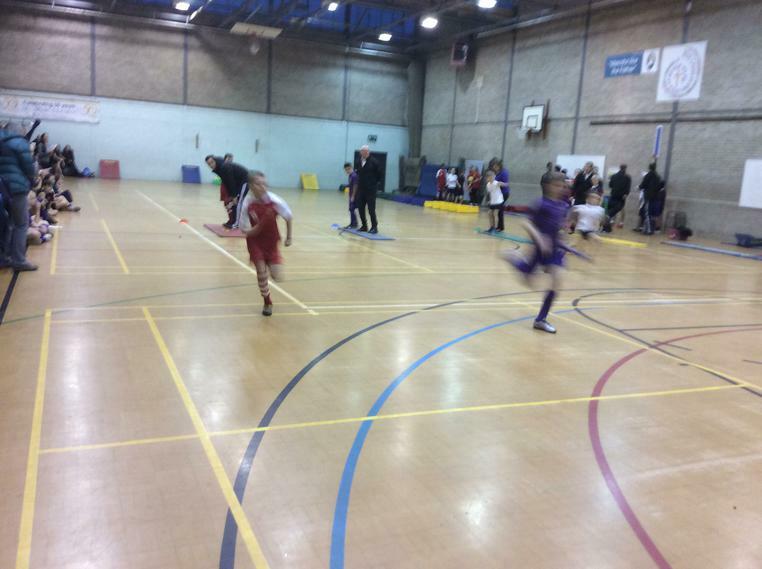 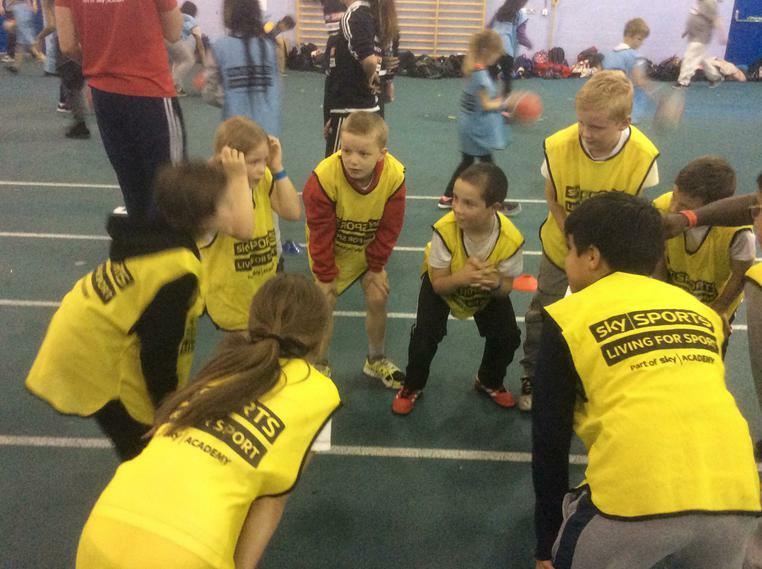 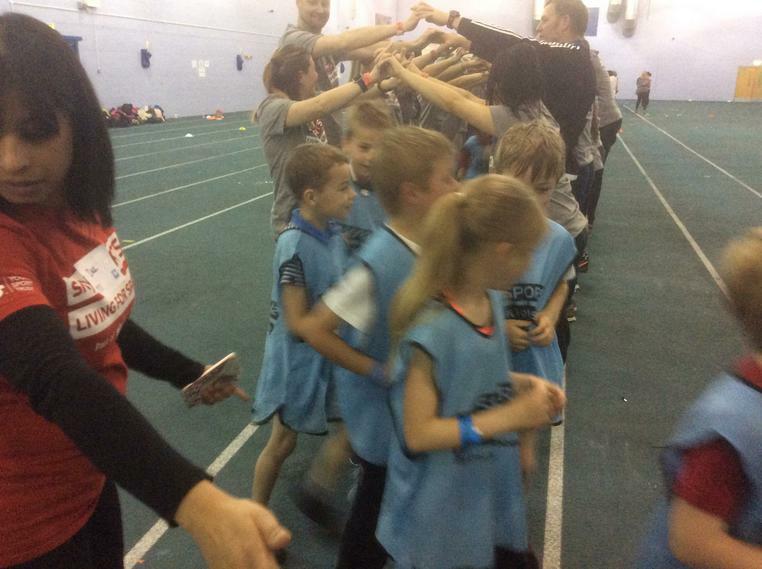 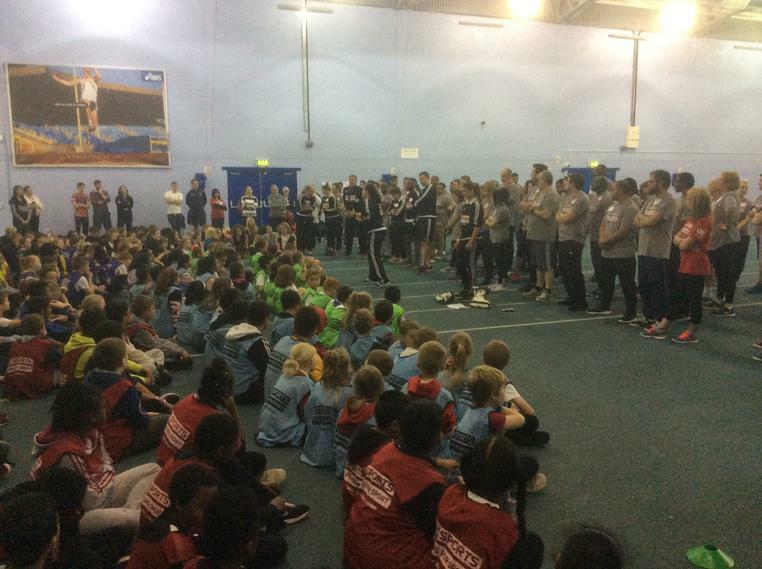 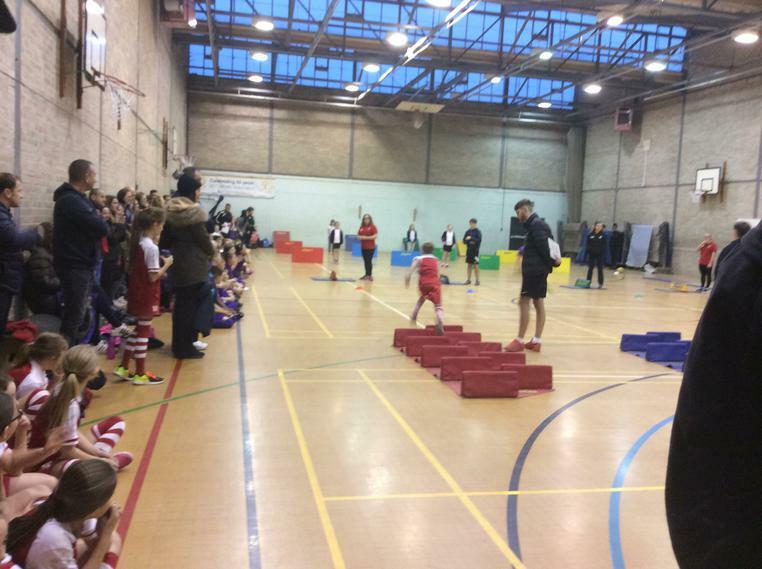 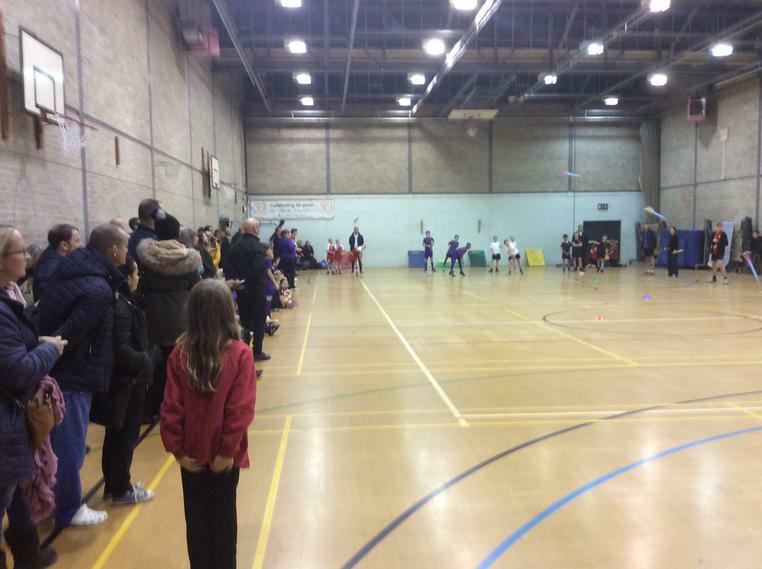 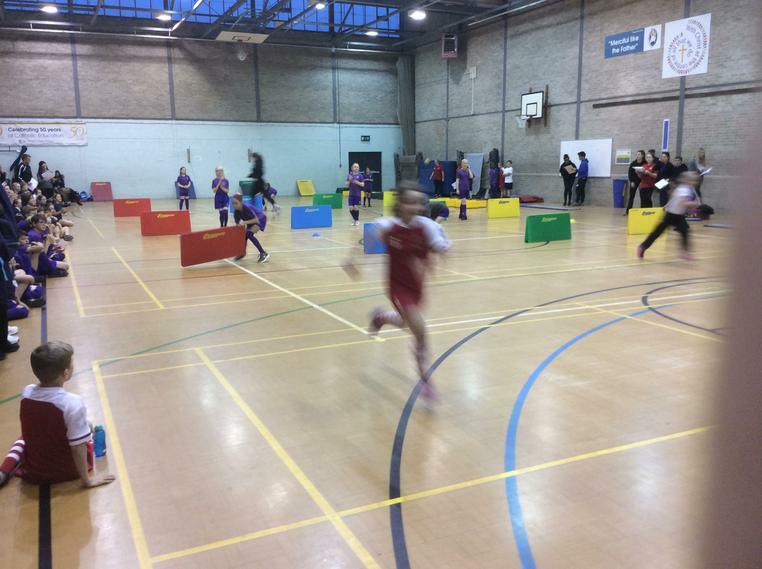 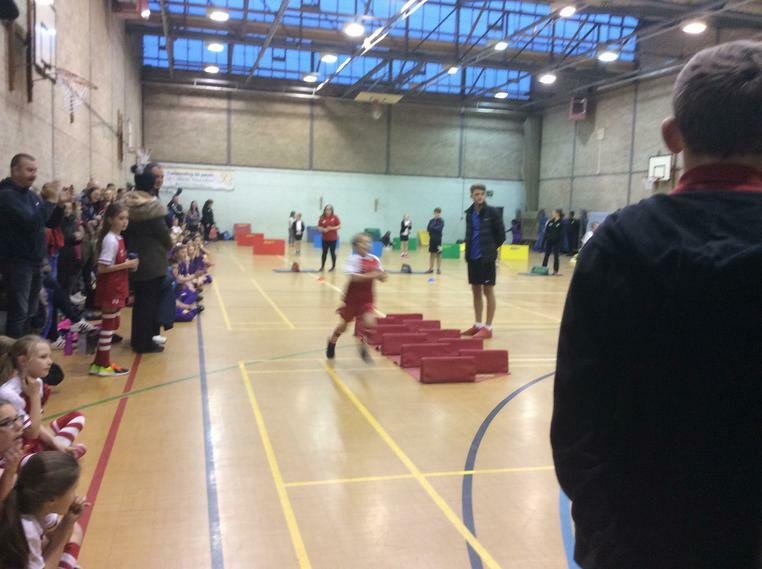 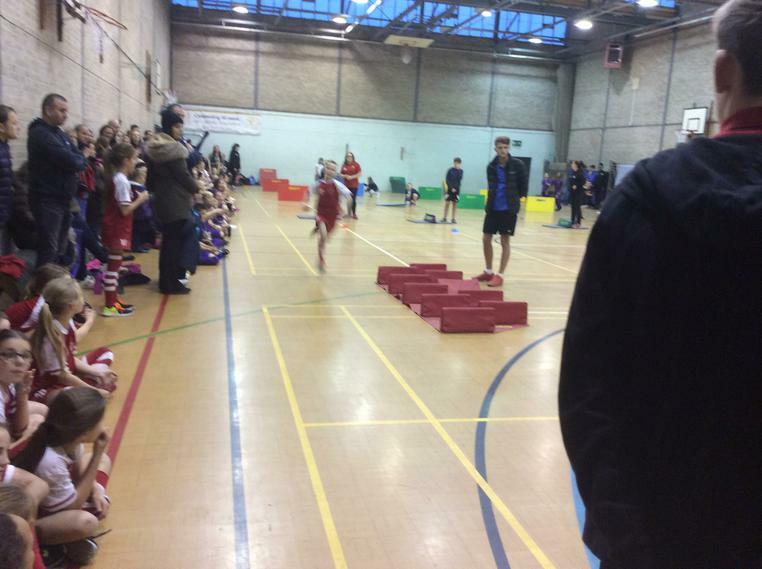 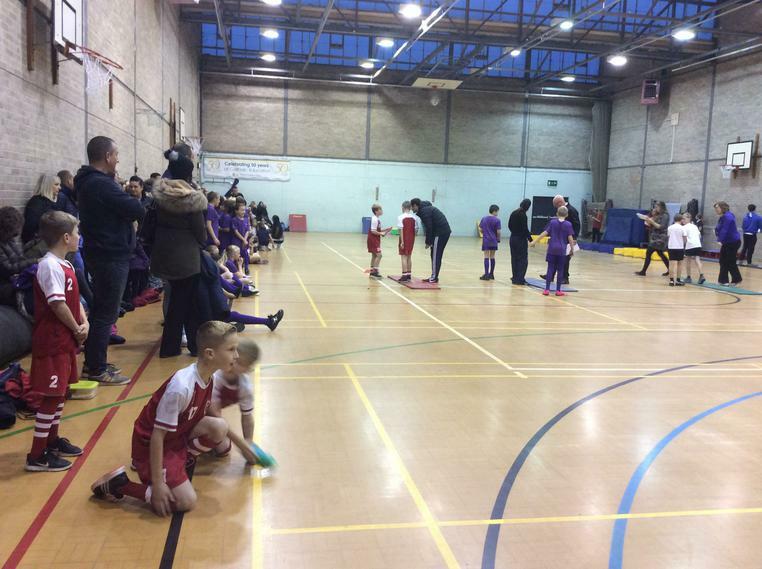 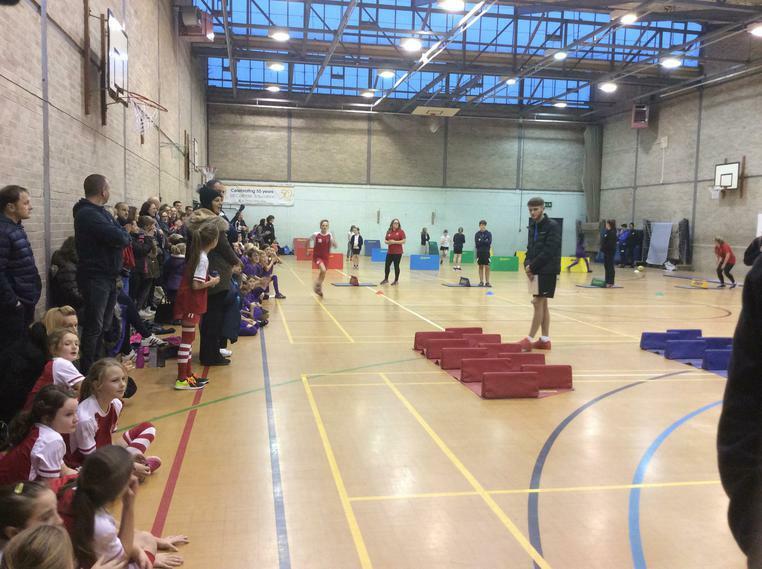 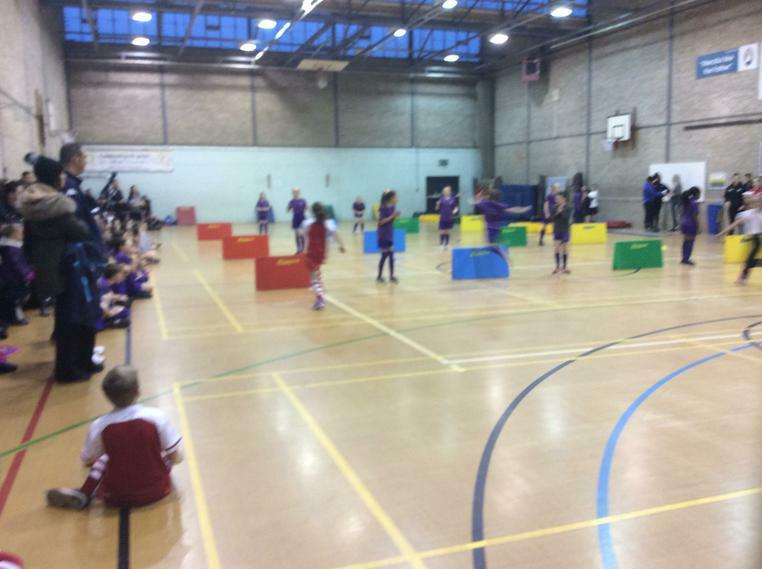 Well done to all the children who competed at the sports hall athletics- we finished second and qualified for the plate quarter final. 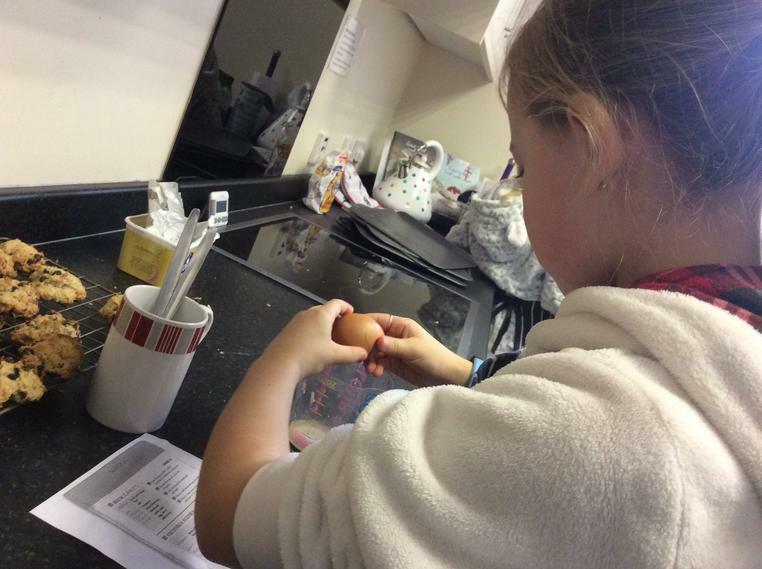 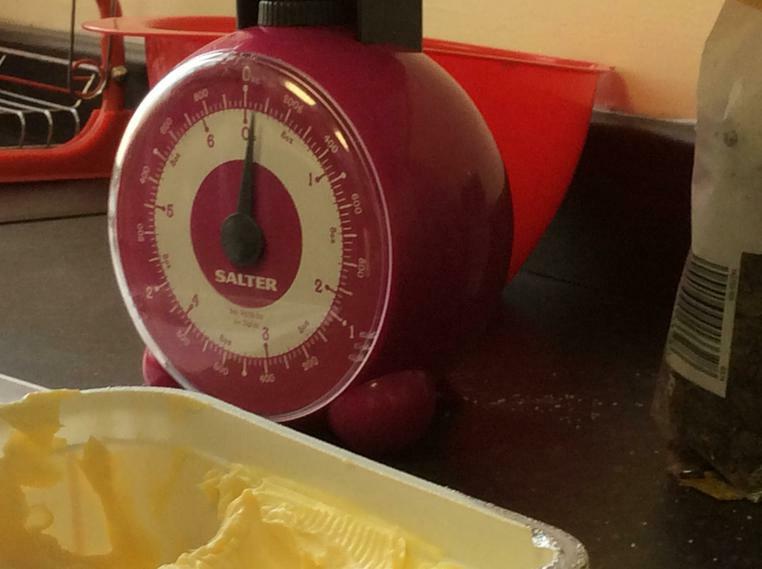 We have teamed up with Nuffield Health in order to offer free nutritional advice for parents. 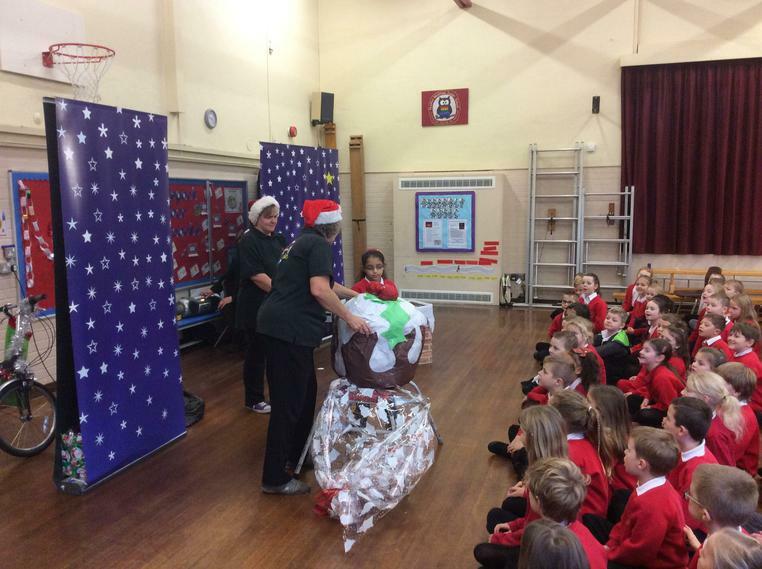 Sally came in to give a presentation to parents. 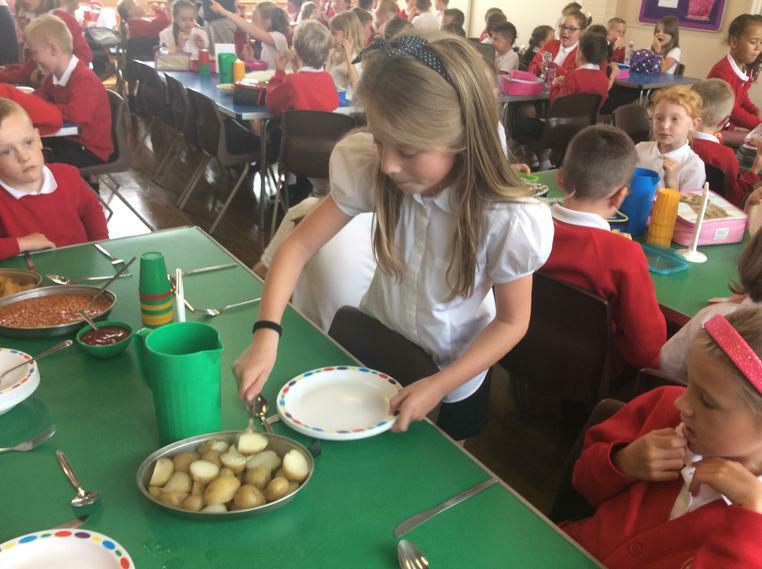 September 2016 - We have launched our packed lunch guidance with a presentation to parents regarding our policy. 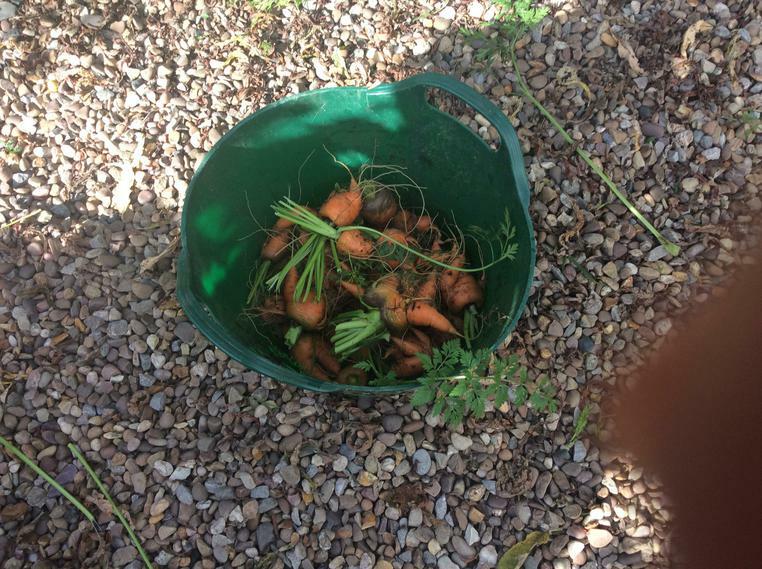 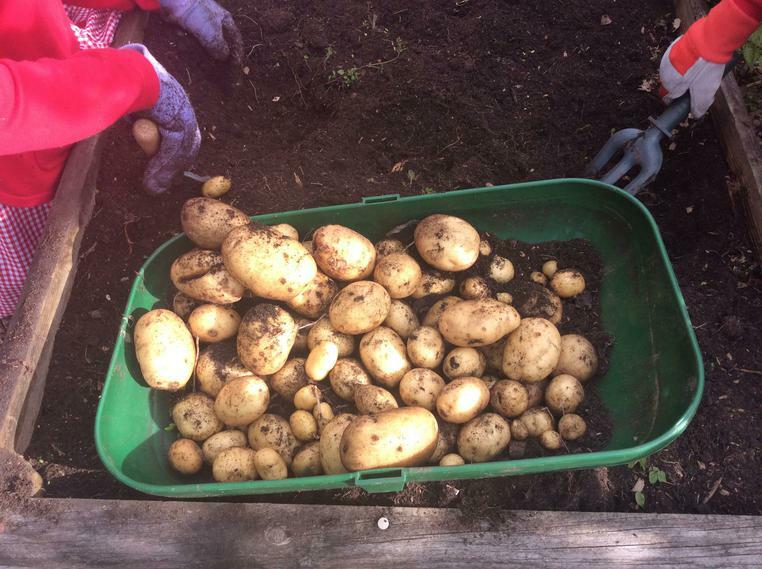 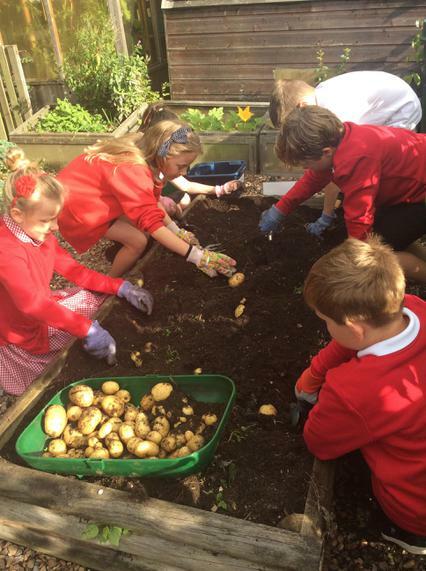 Growing and eating our own vegetables. 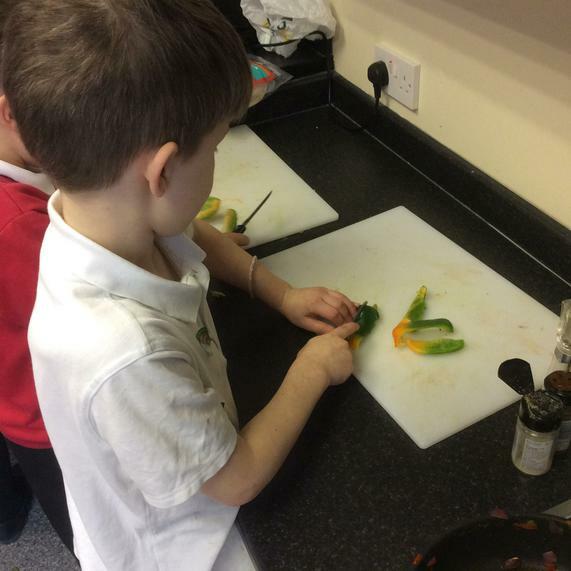 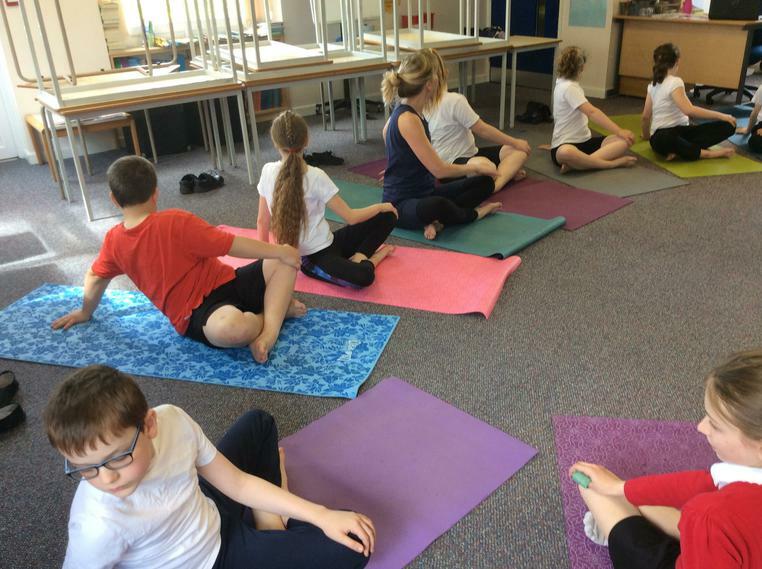 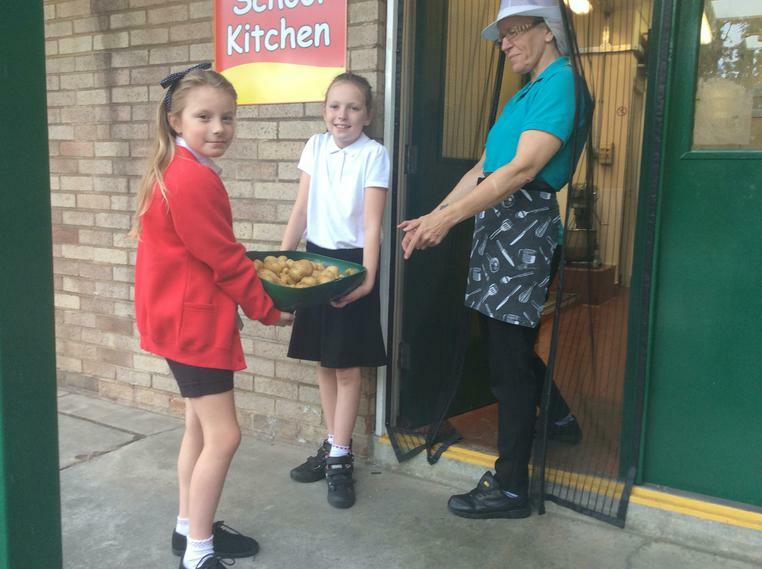 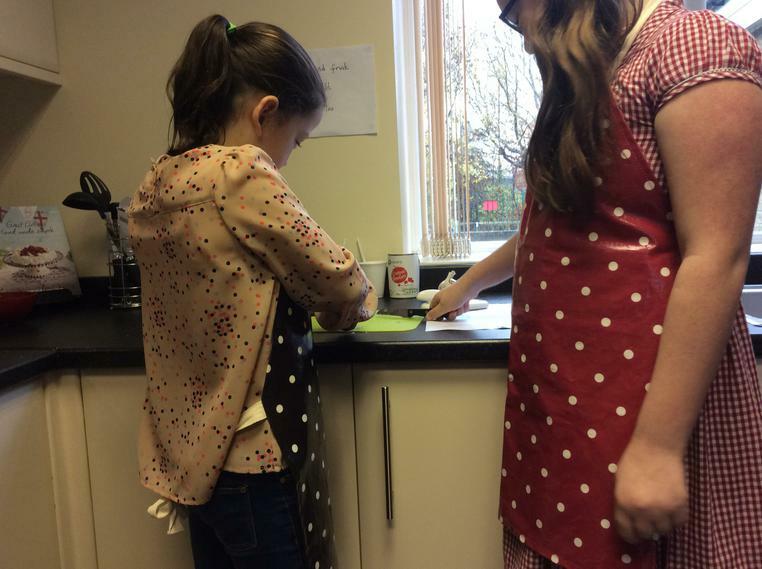 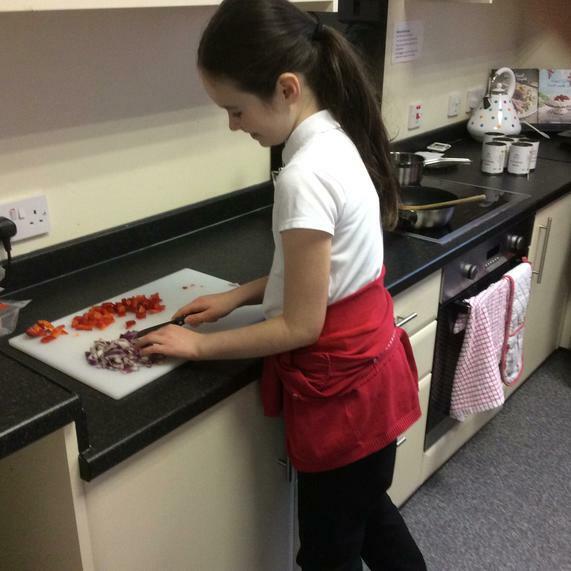 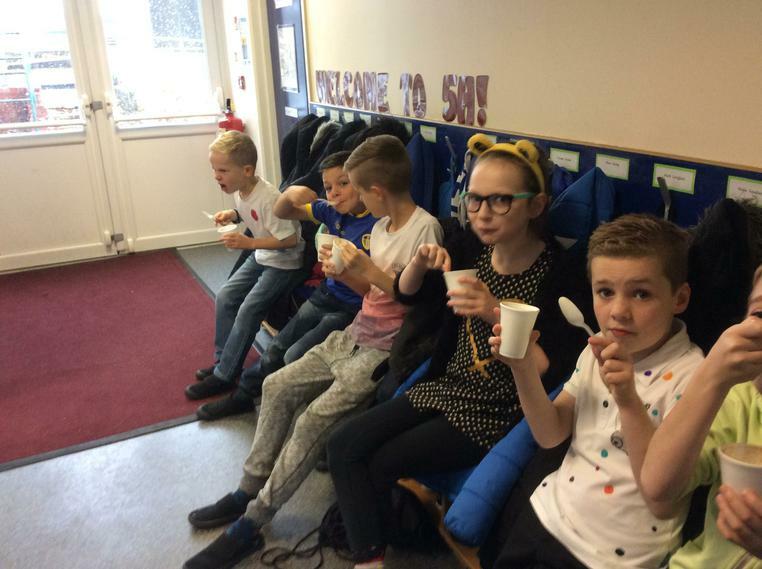 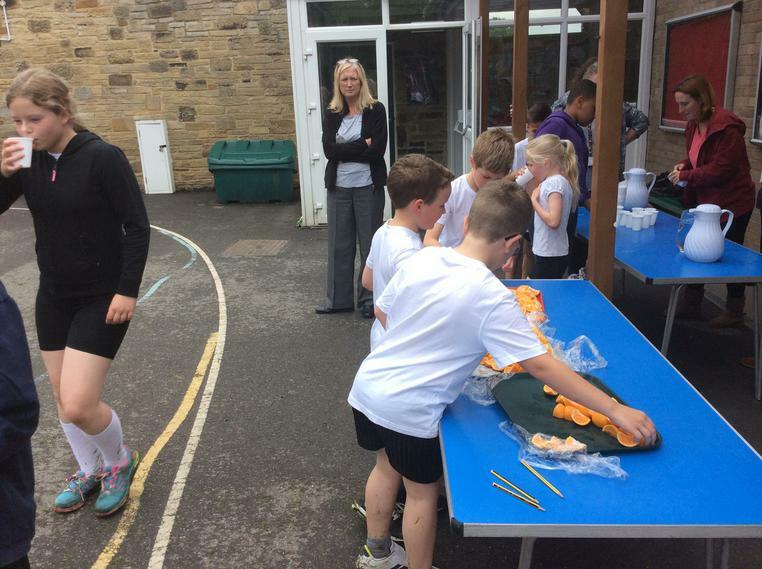 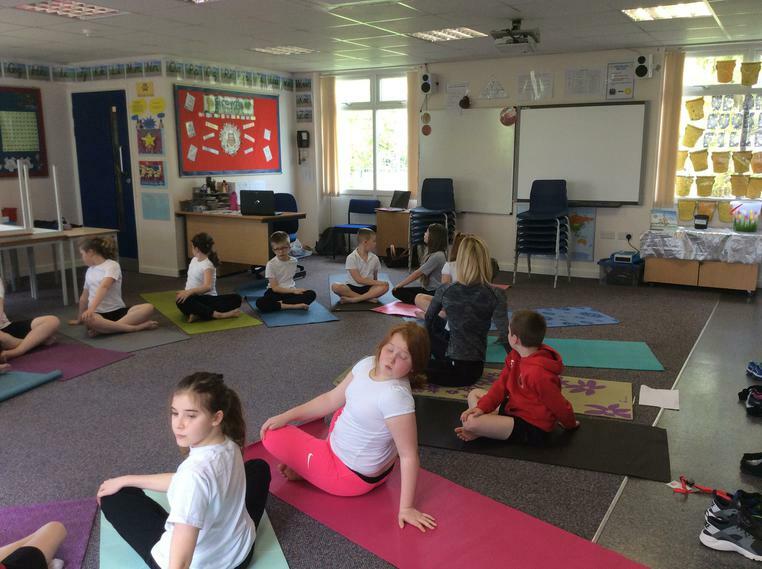 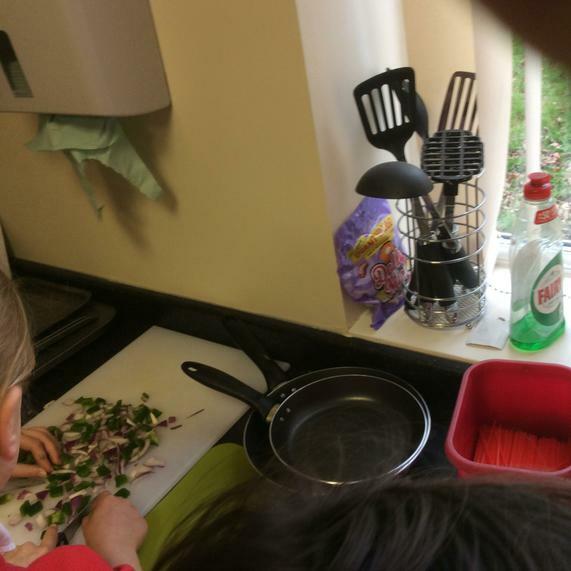 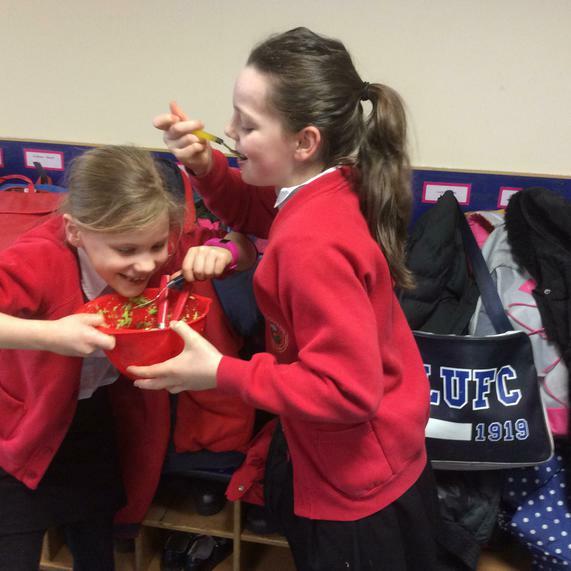 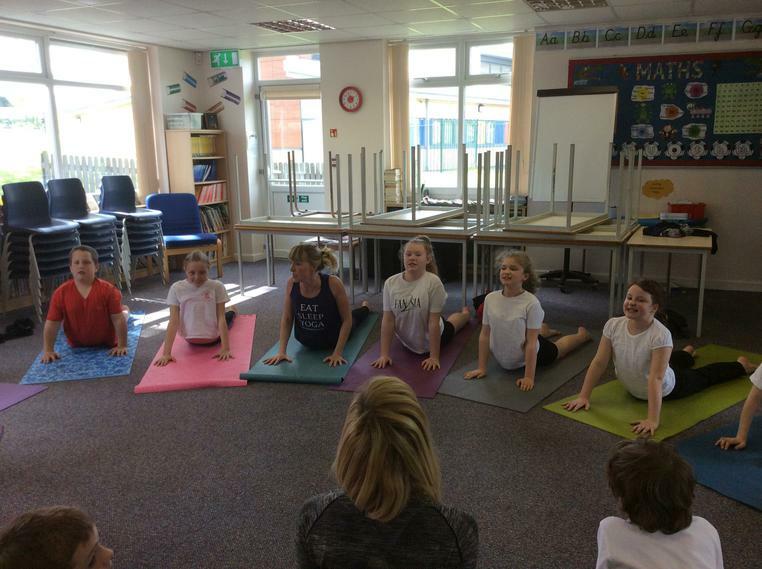 During the week 13th June to 17th June our children were encouraged to take part in the British Nutrition Foundation (BNF) Healthy Eating Week 2016. 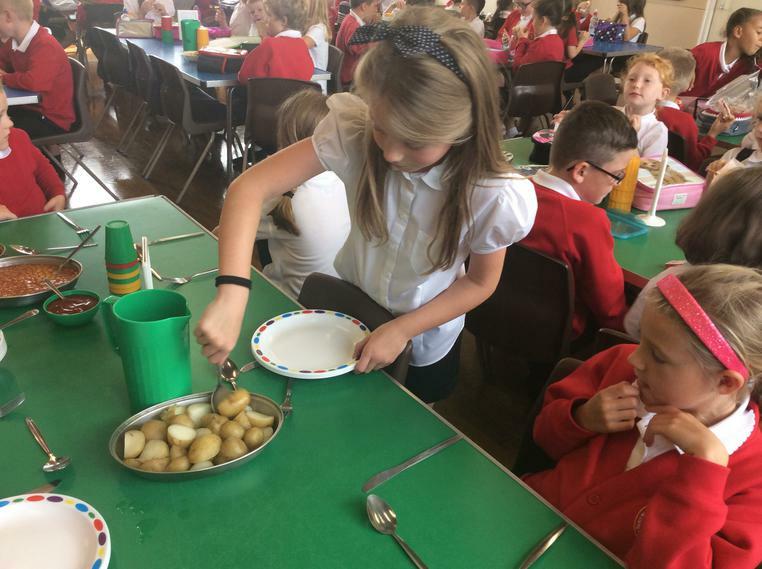 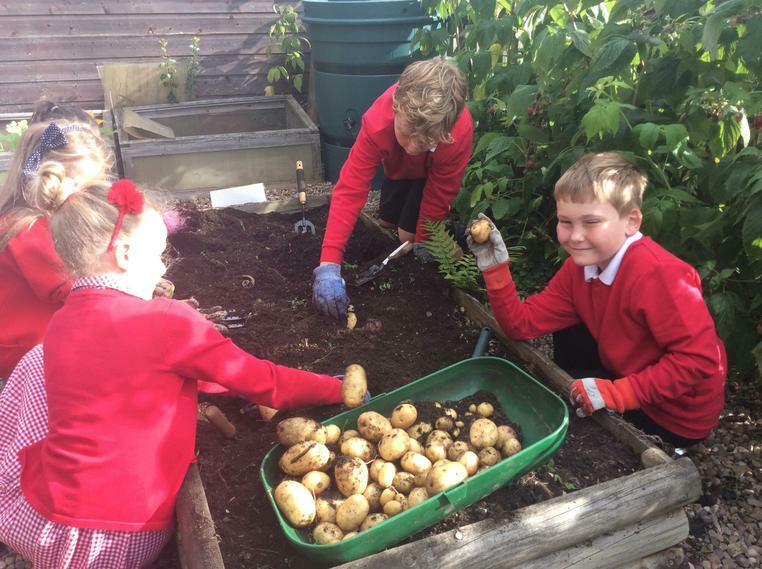 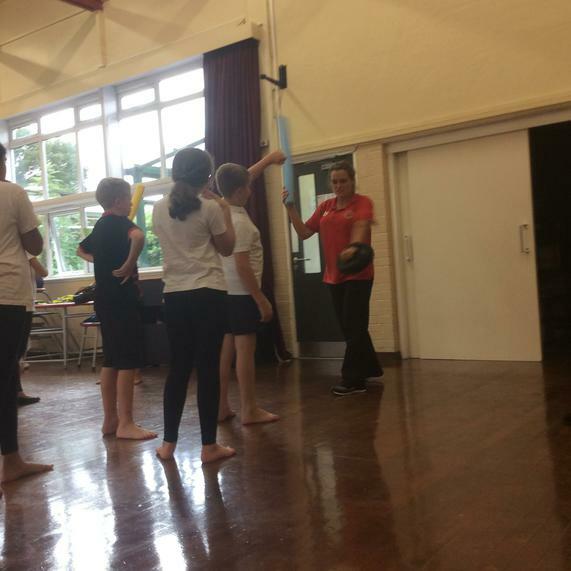 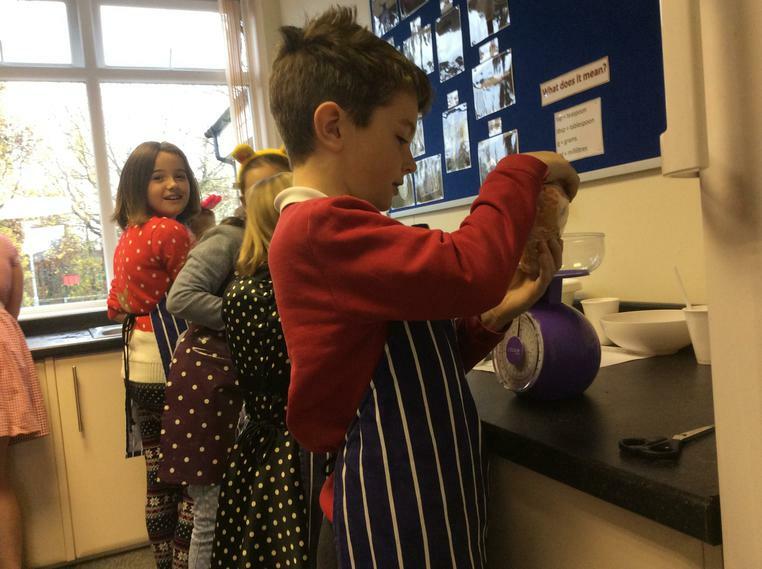 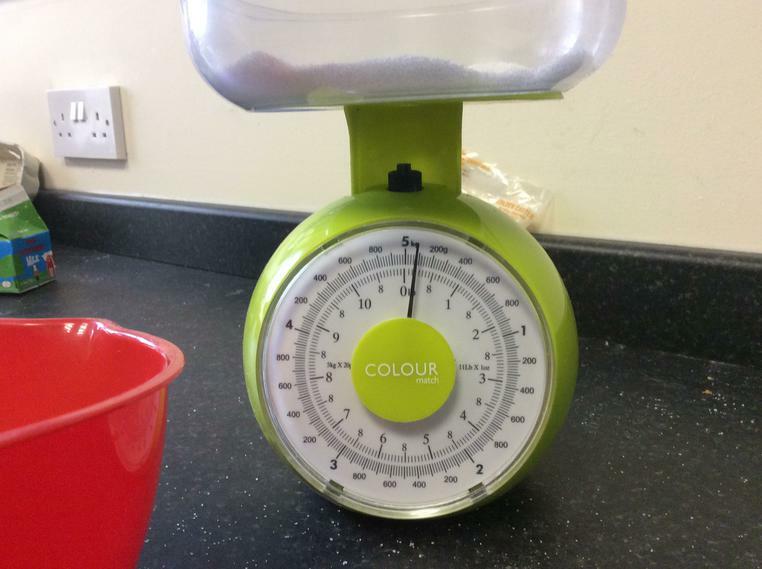 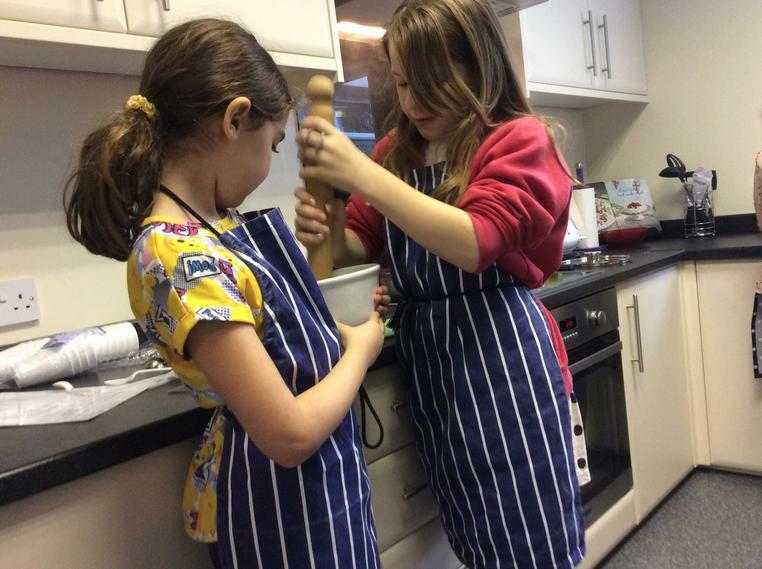 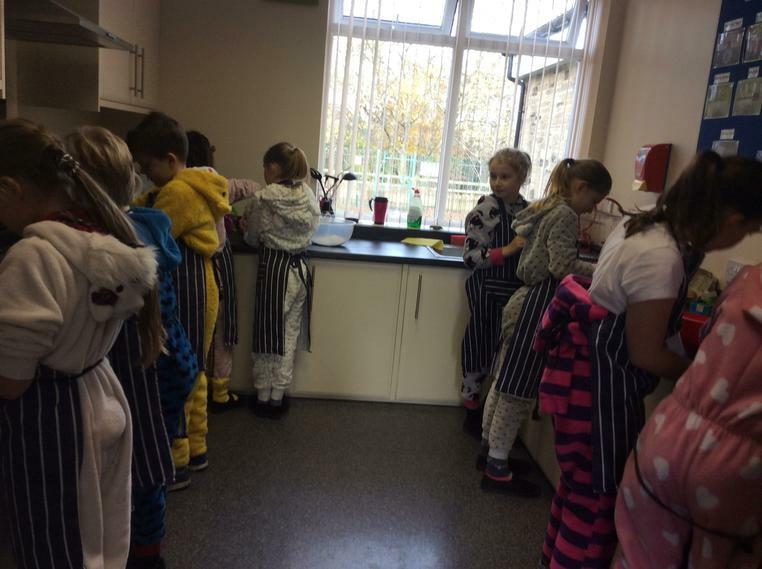 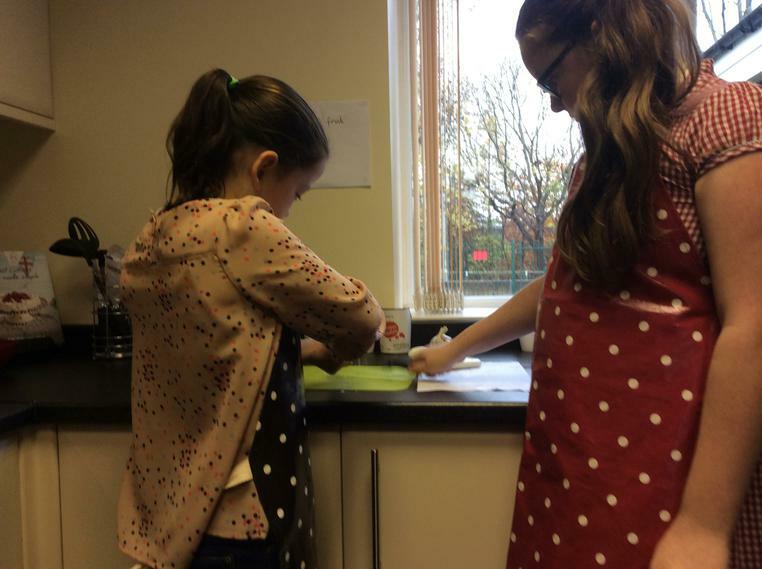 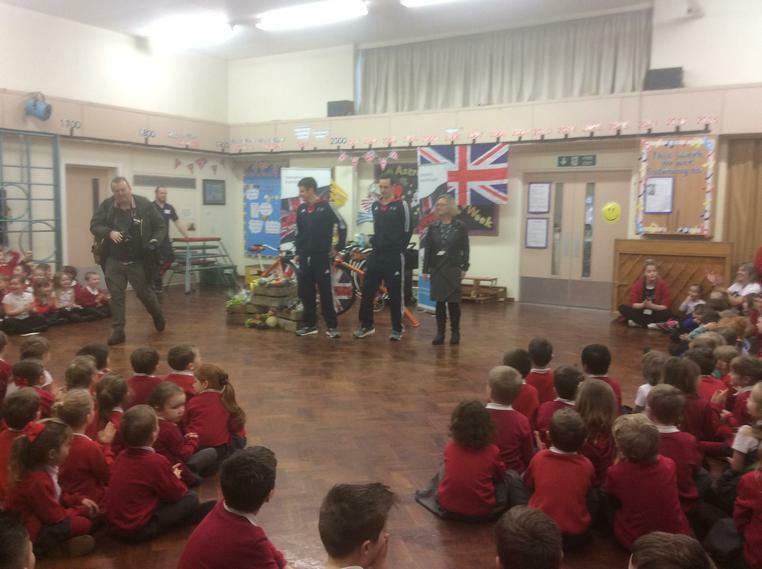 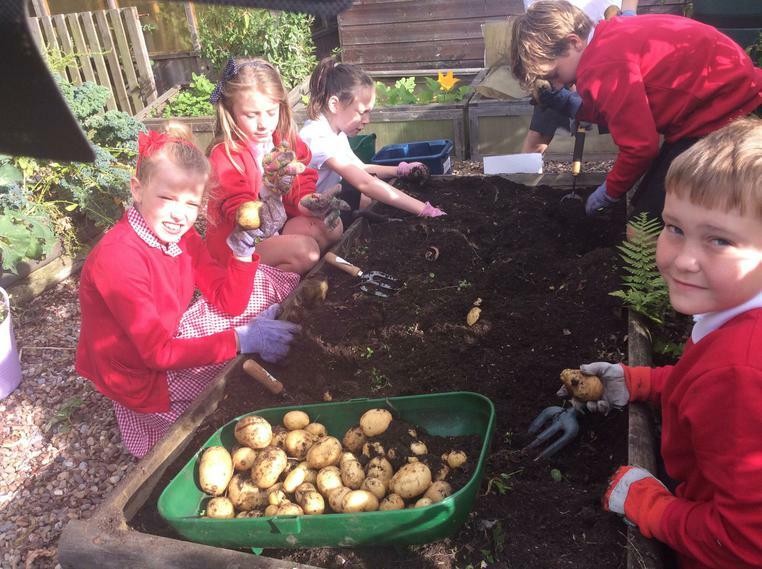 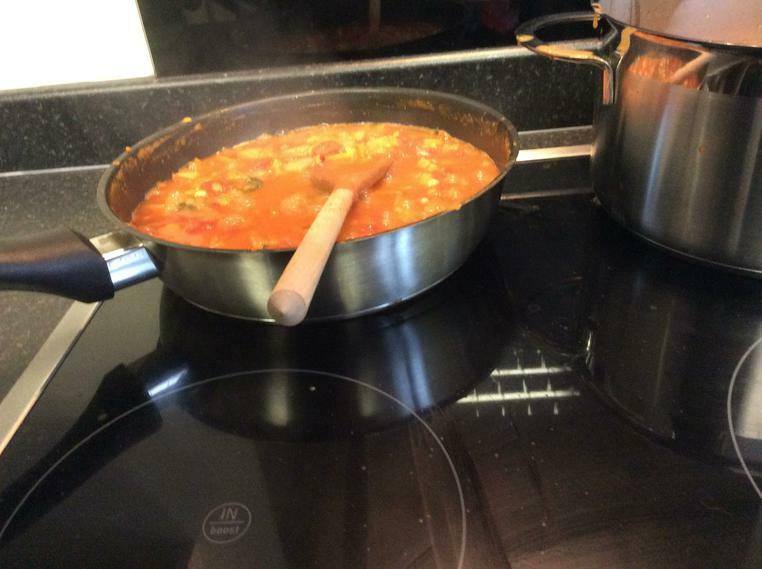 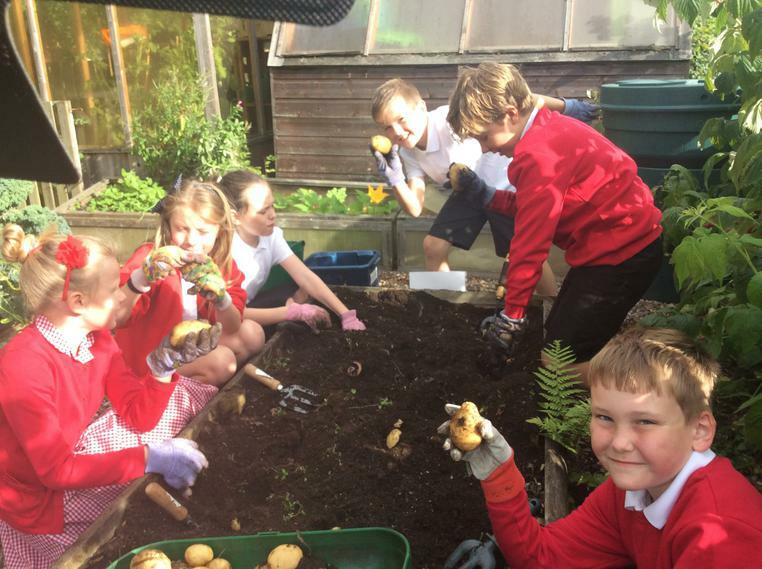 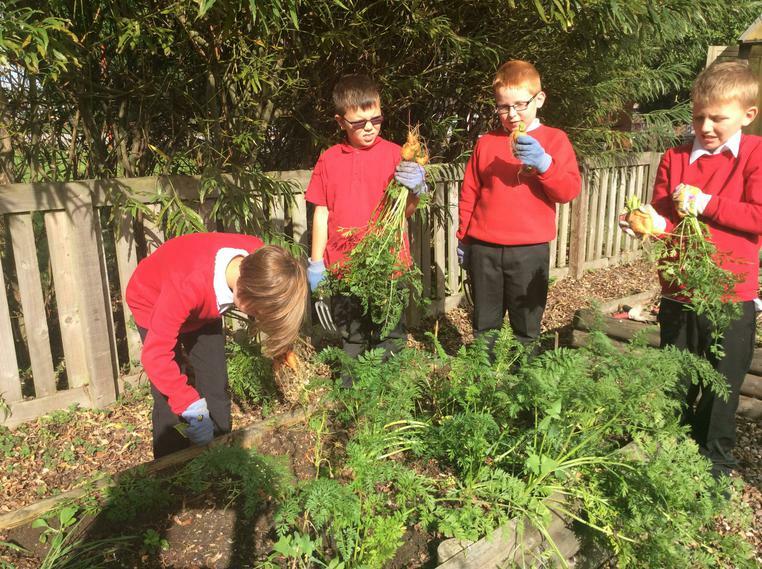 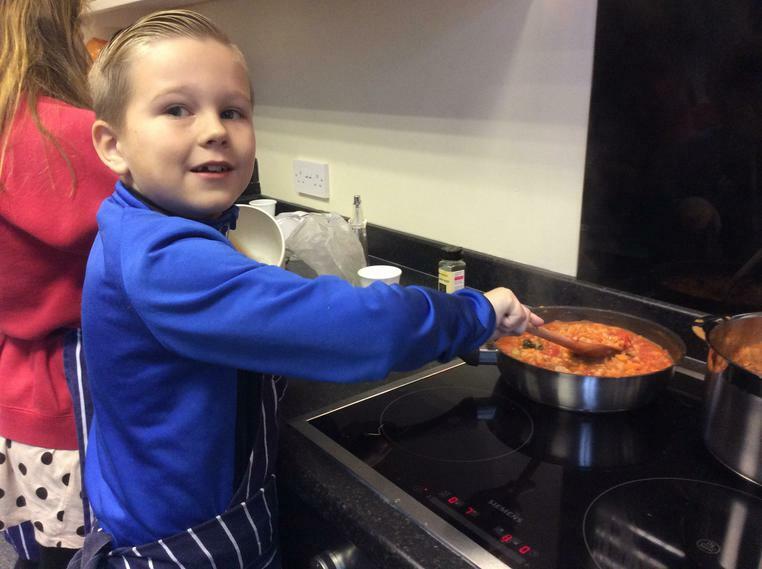 The purpose of the BNF Healthy Eating Week was to provide a dedicated week in the year where schools across the UK can simultaneously focus on healthy eating and drinking, cooking, food provenance and being active to promote key health messages and habits to young people. 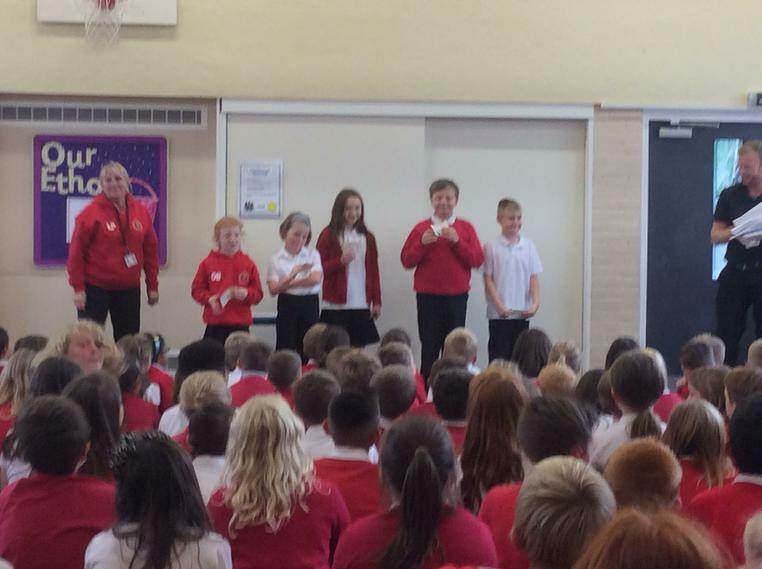 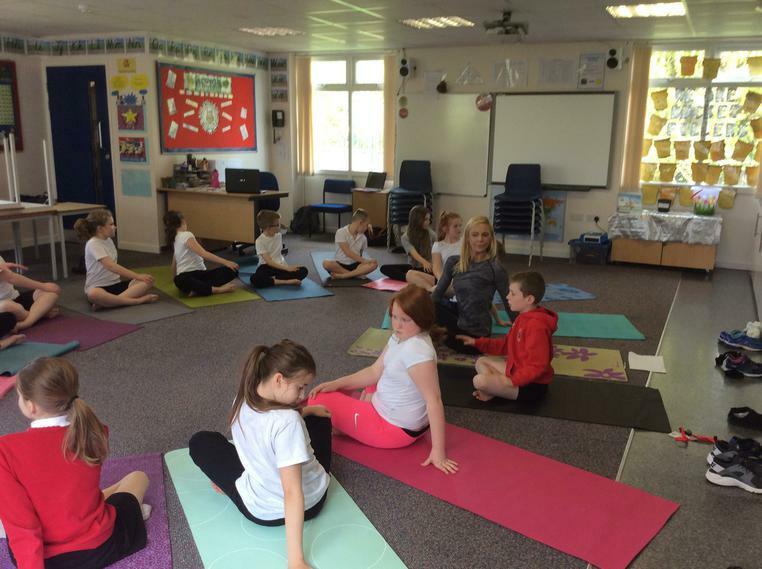 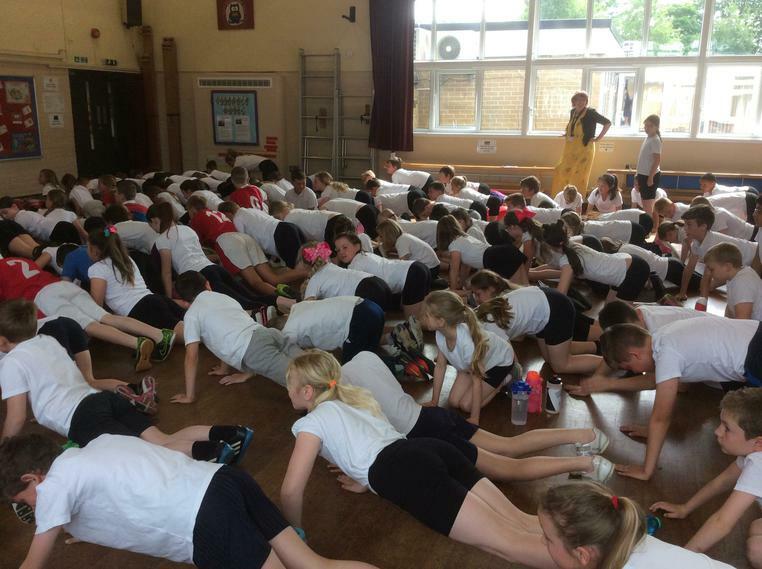 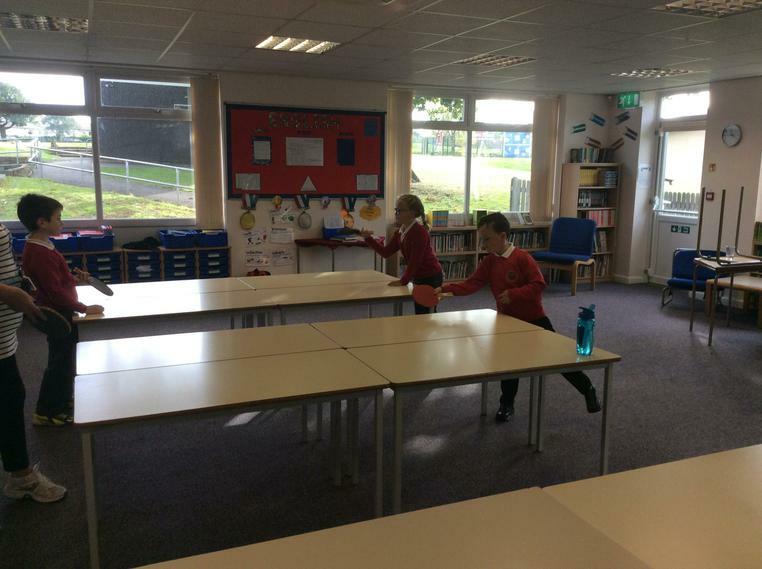 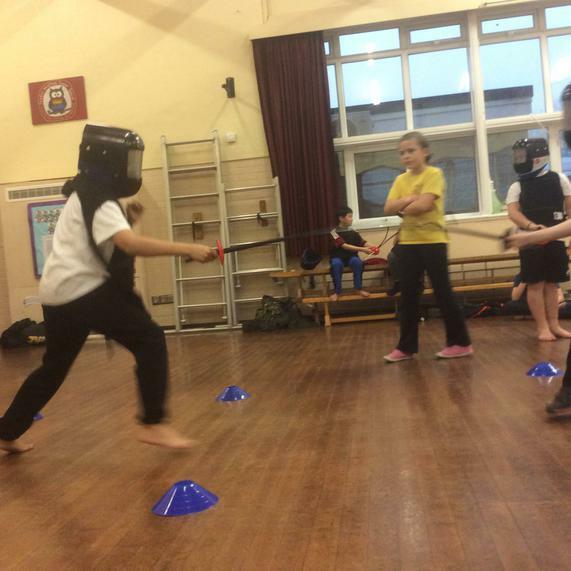 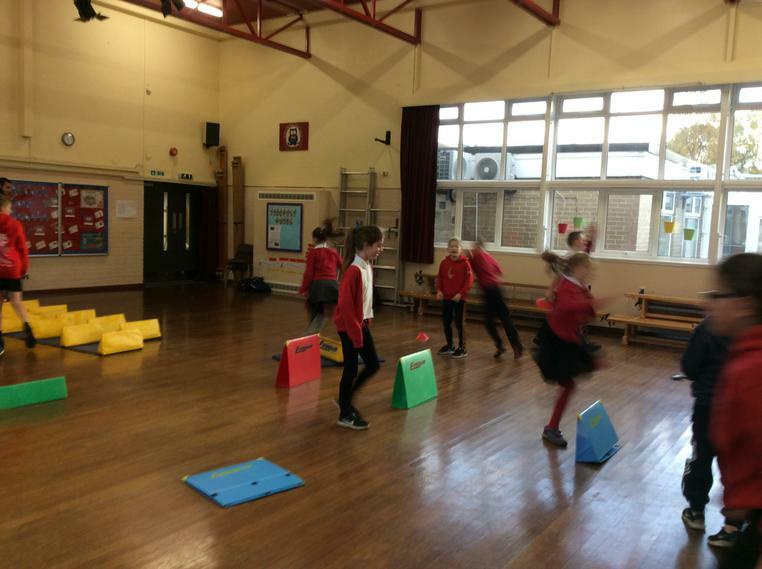 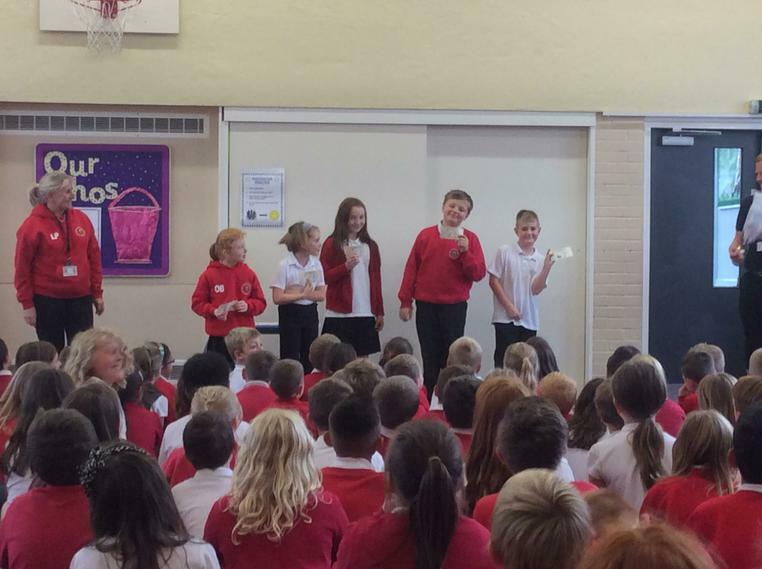 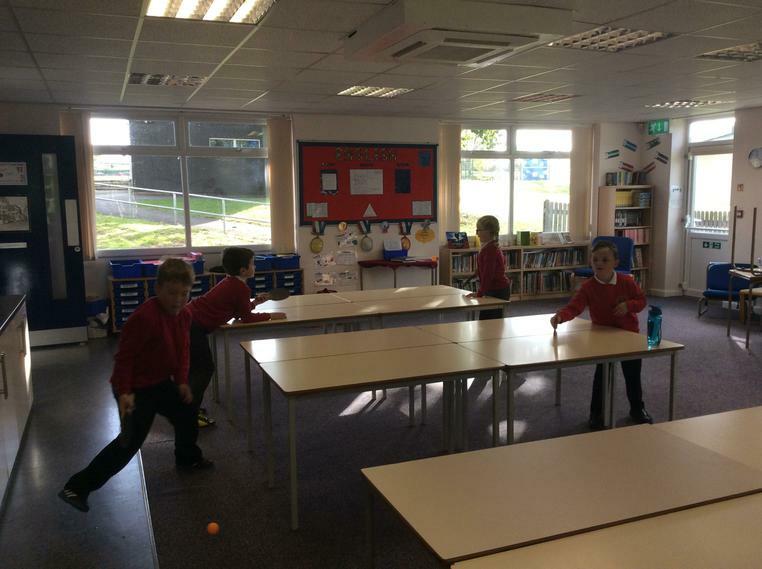 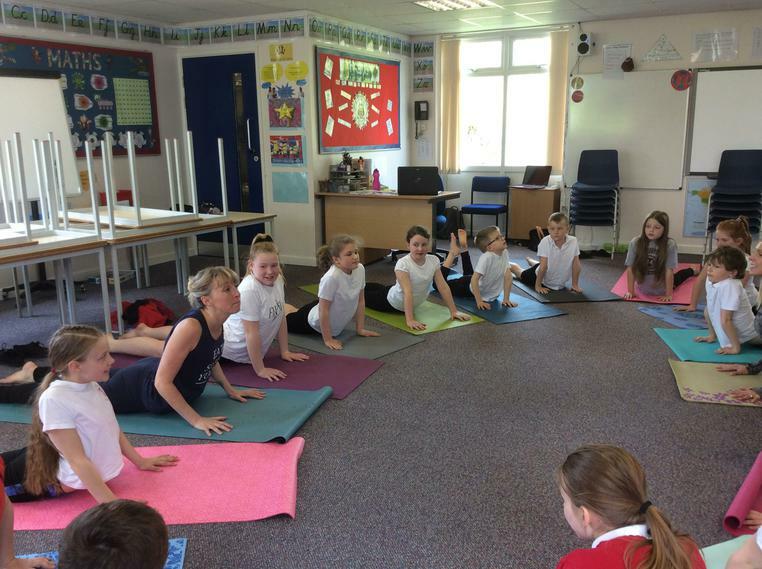 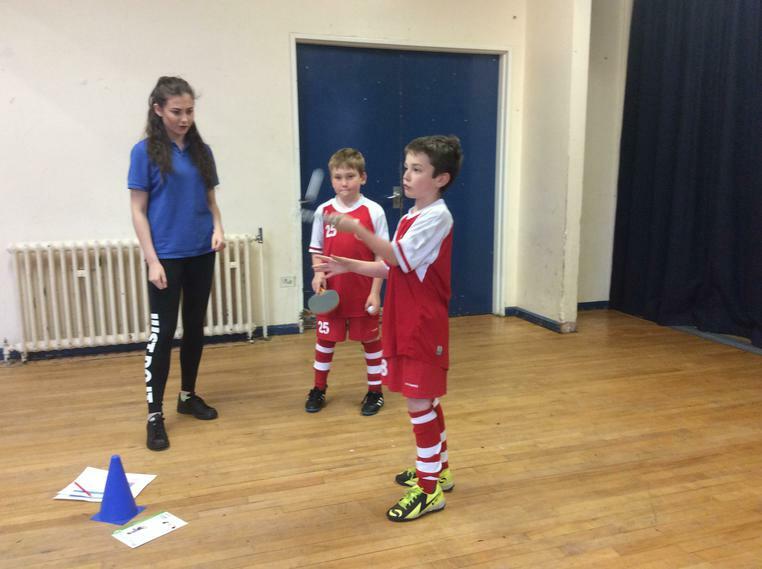 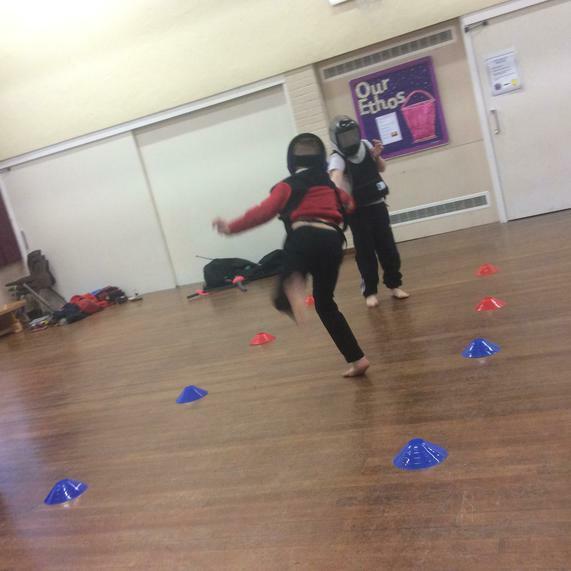 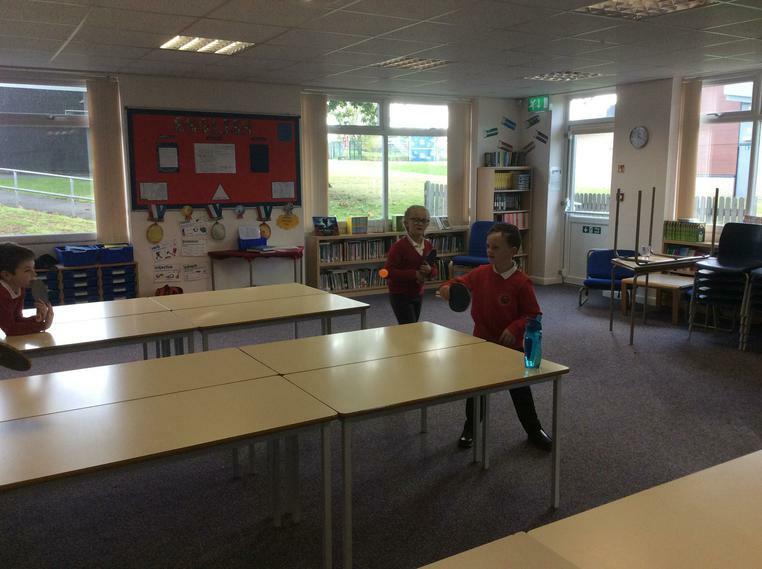 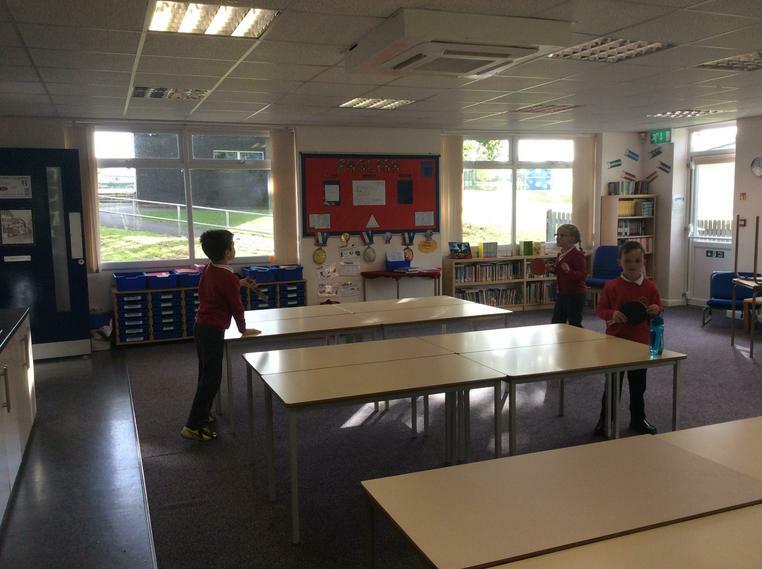 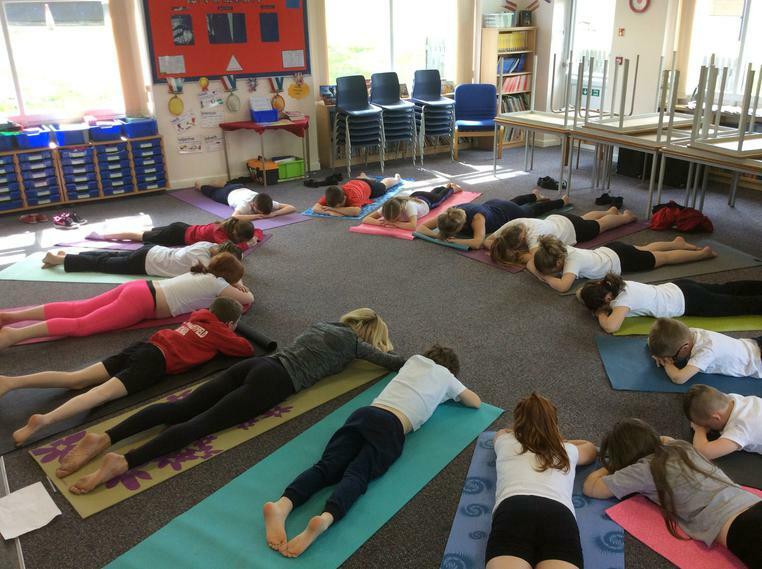 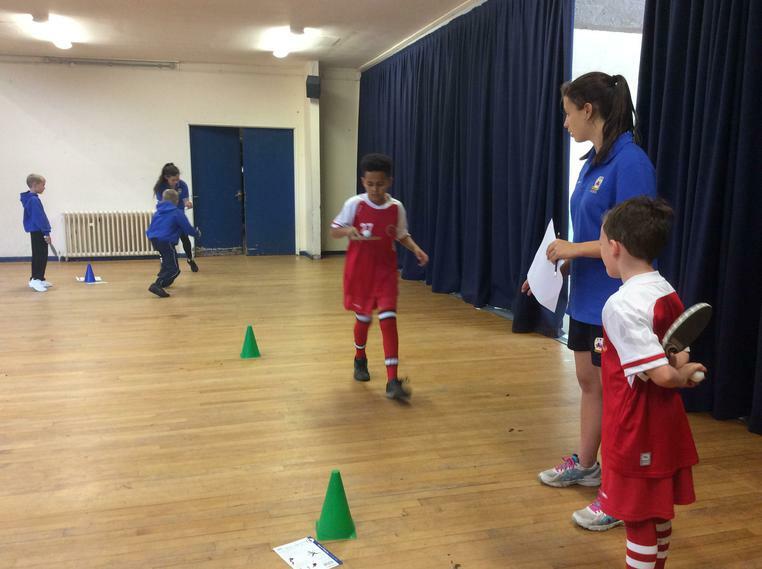 During the week children were given five health challenges and asked to focus on one challenge each day. 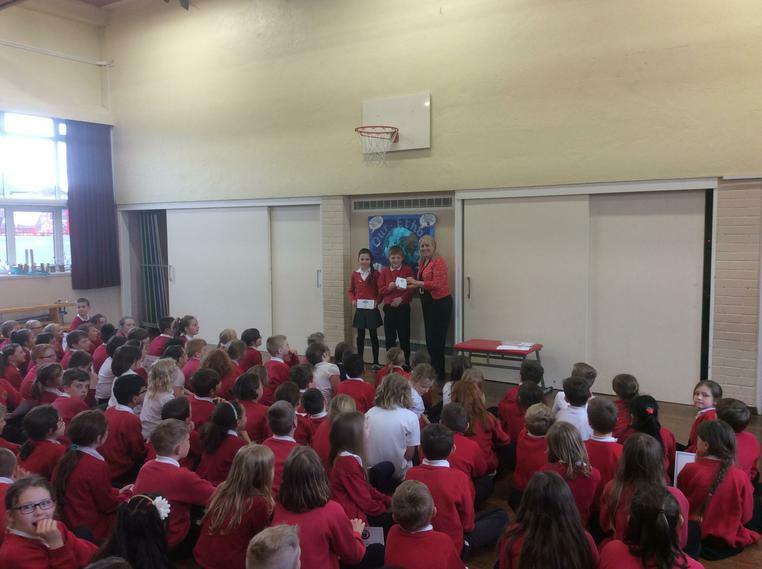 Have a look at the documents below for more details about what these 5 challenges were. 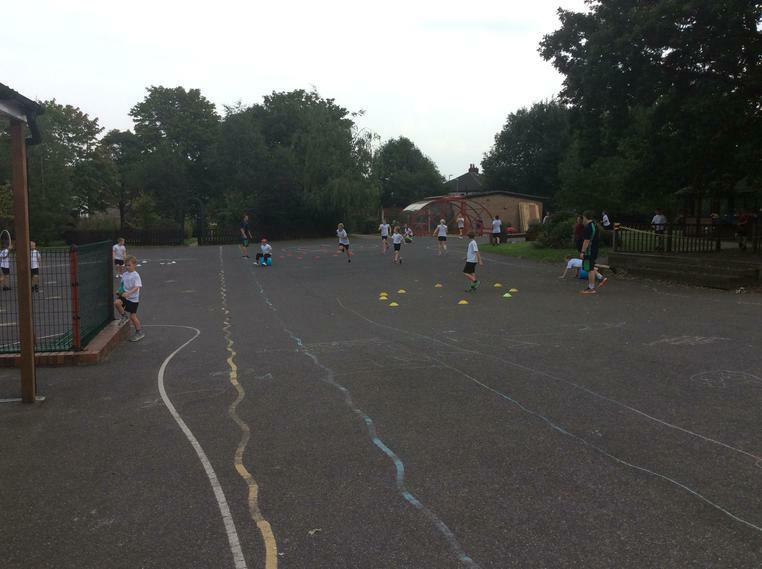 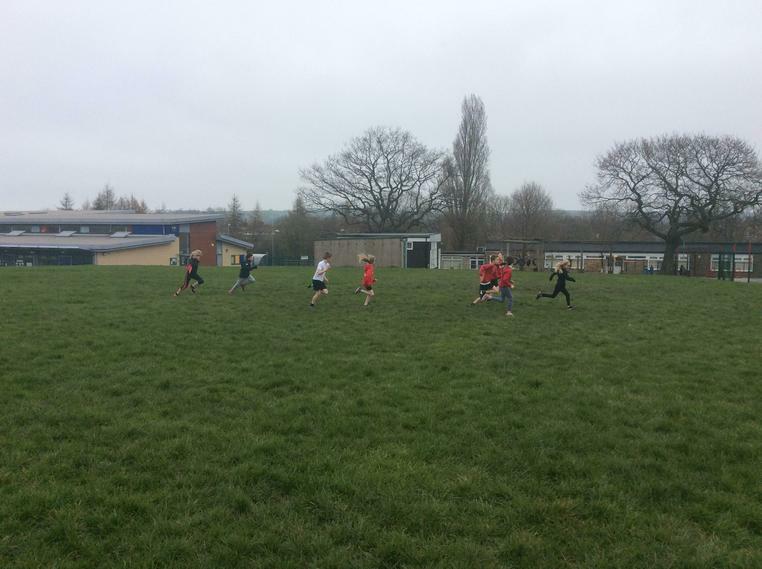 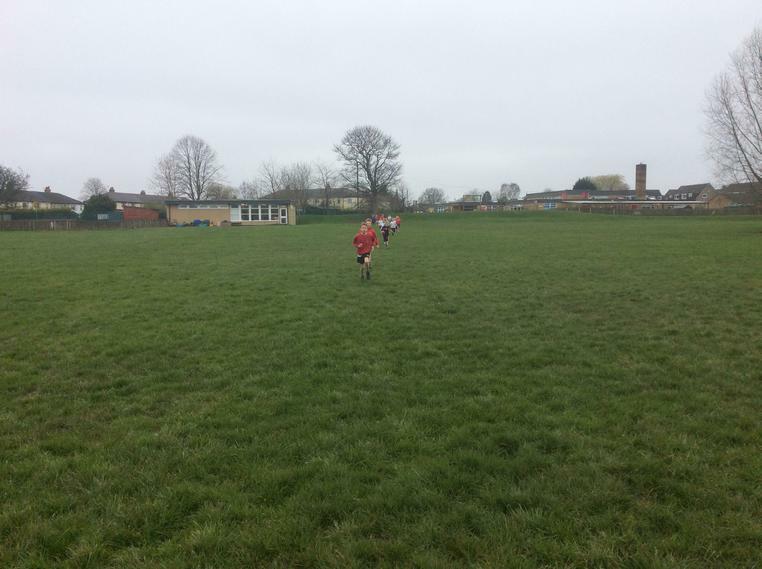 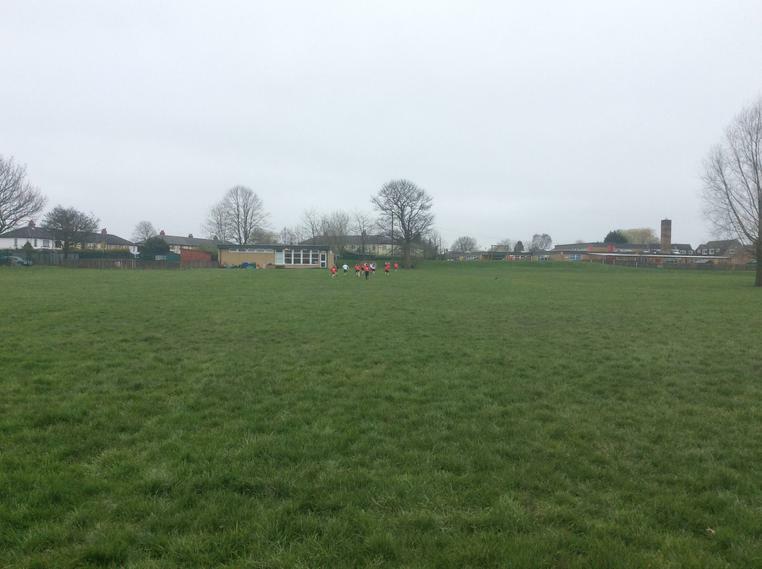 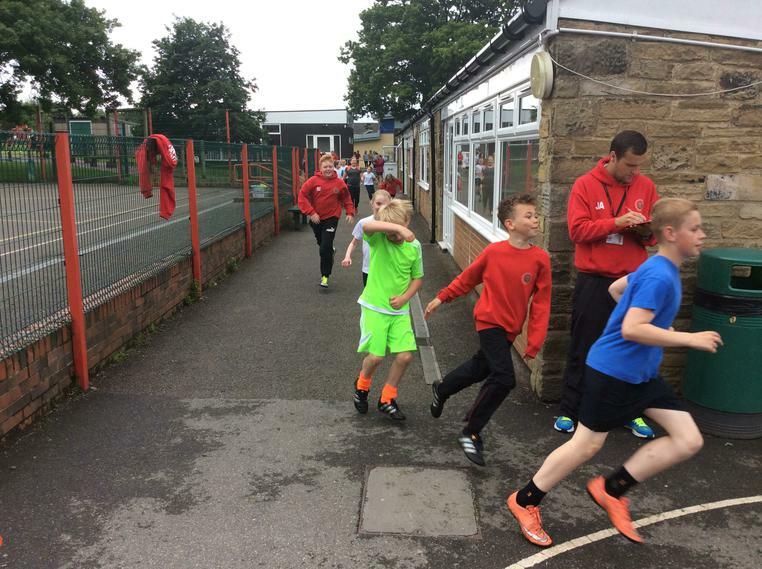 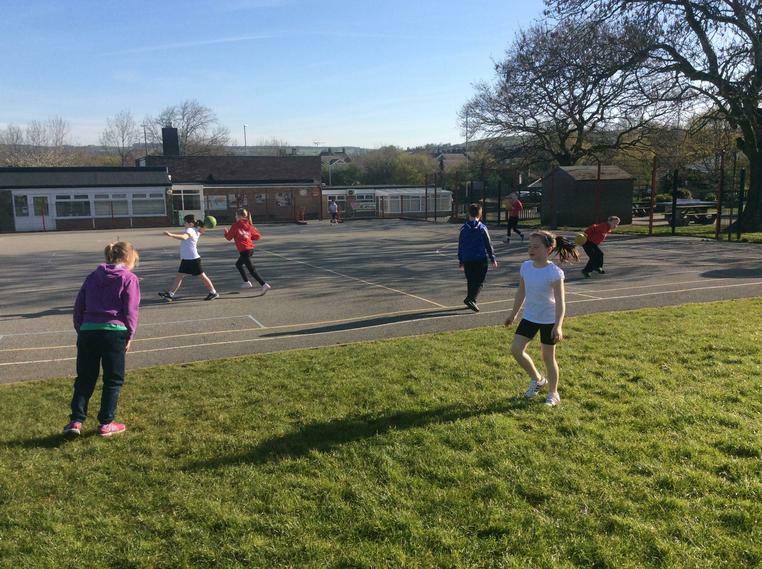 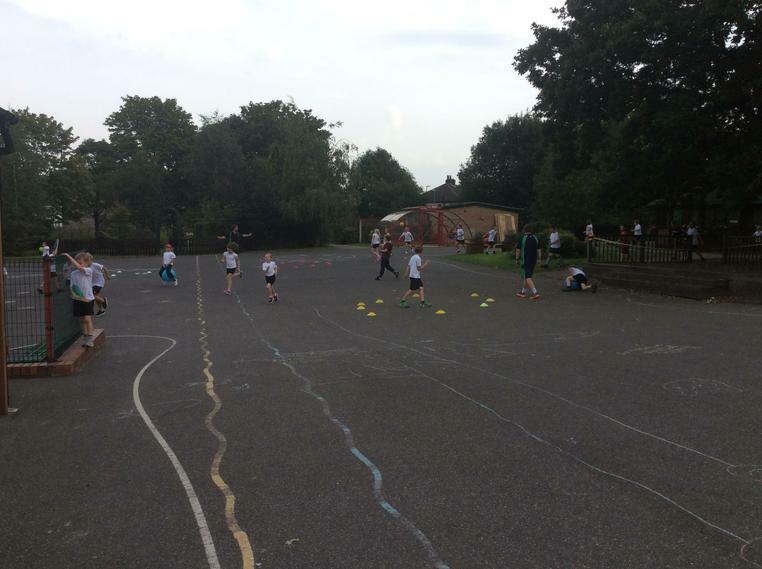 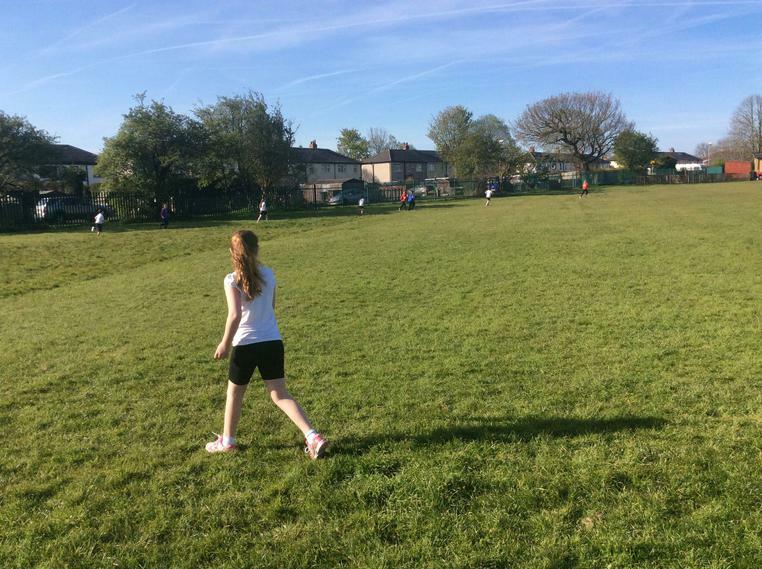 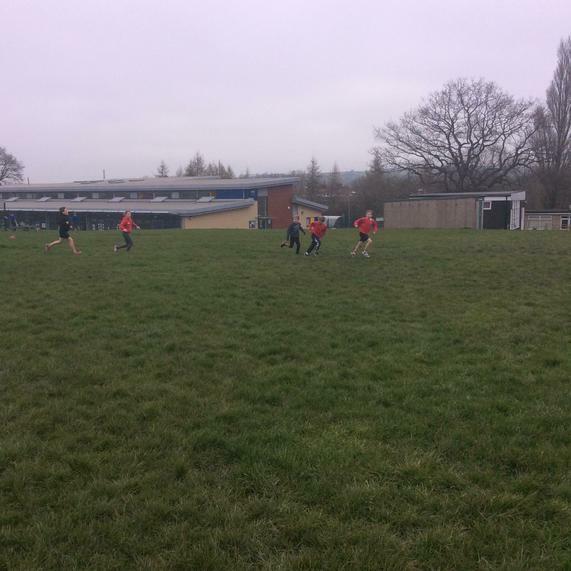 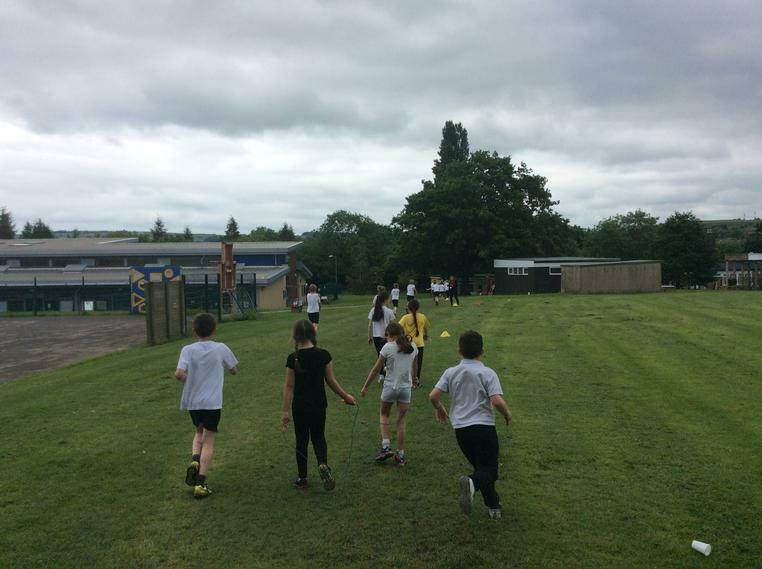 On Tuesday 14th June the whole school had great fun running, walking and skipping around our school playing field to see who could do the most laps! 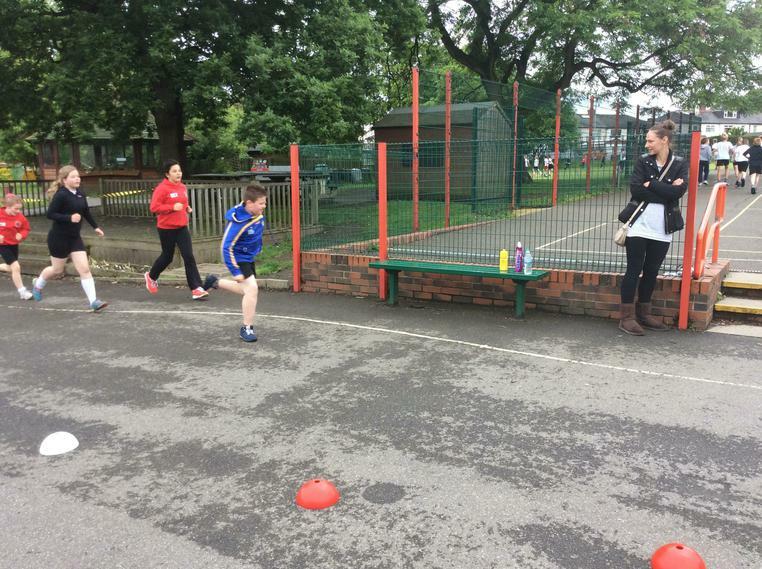 Even Mr Hiley, Mrs Clarkson and Mrs Stansfield did a spot of running. 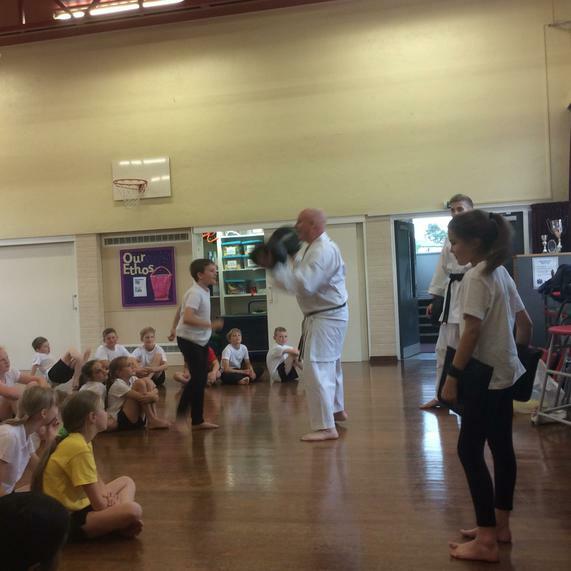 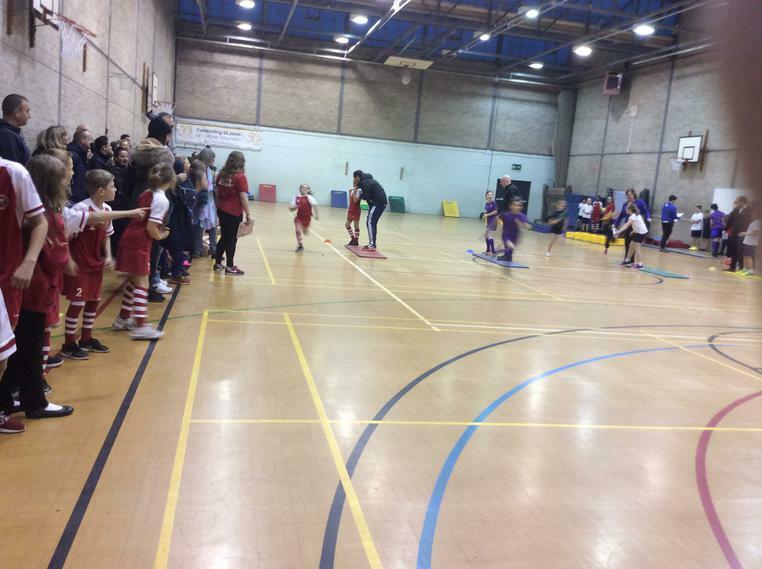 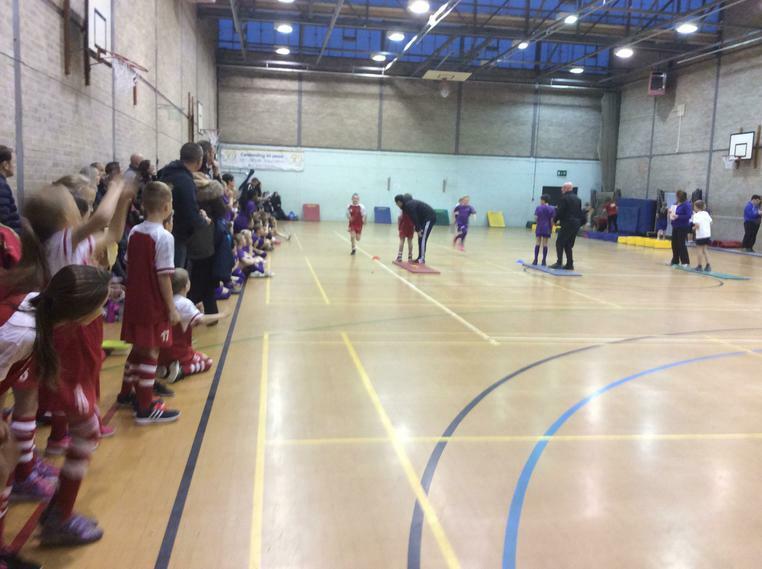 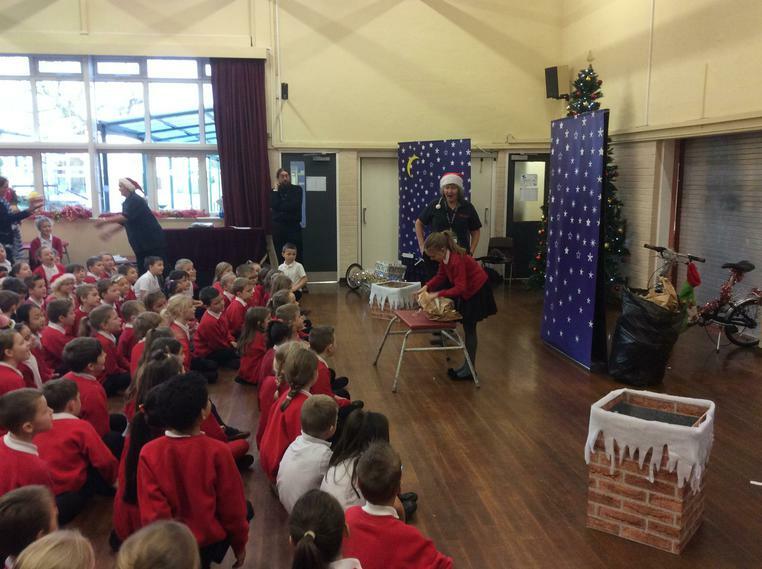 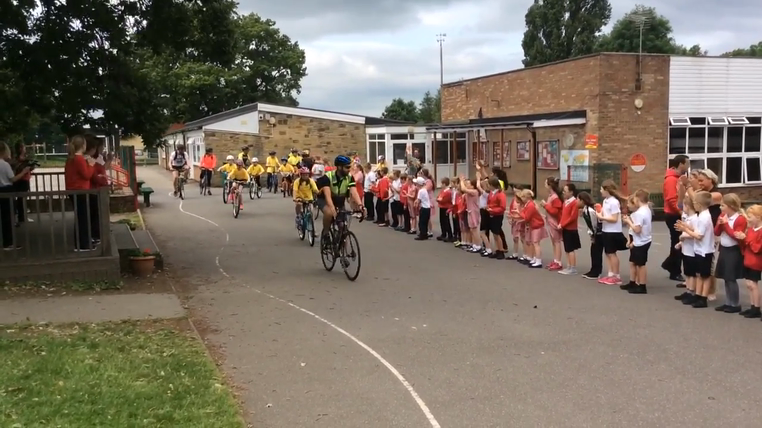 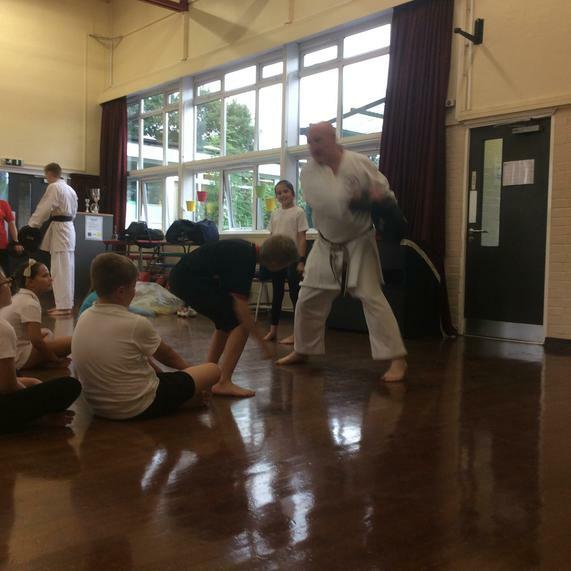 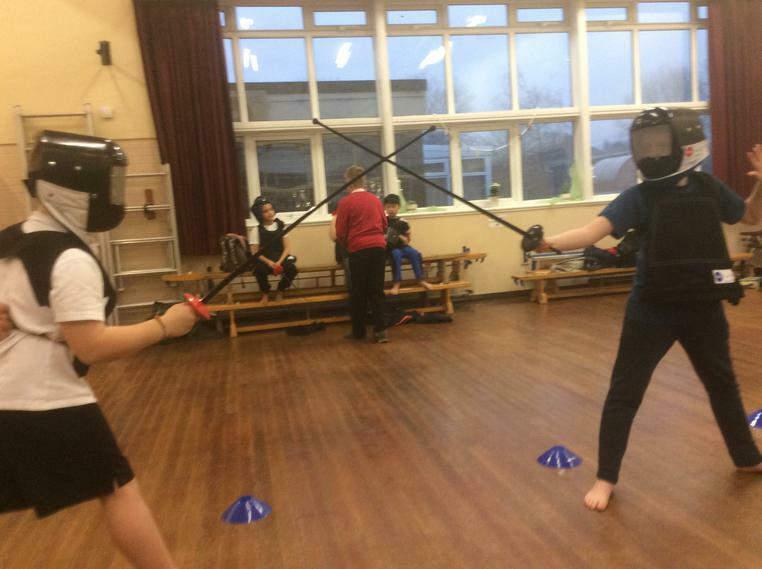 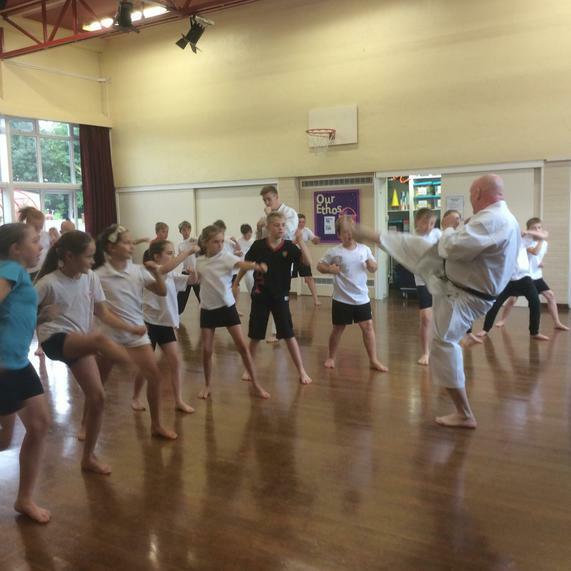 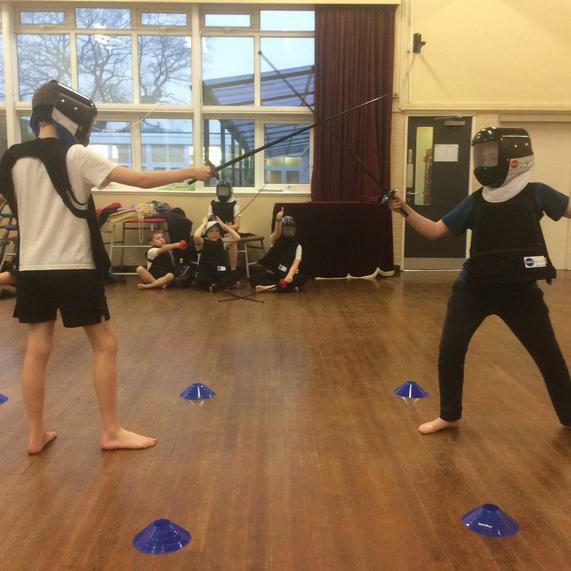 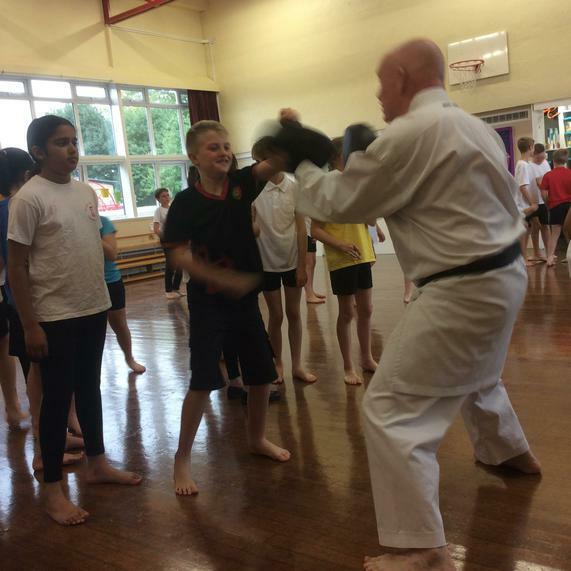 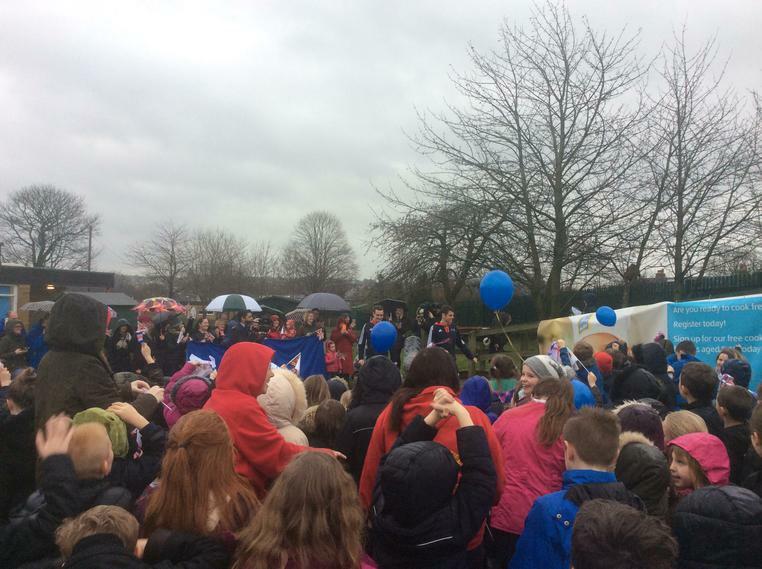 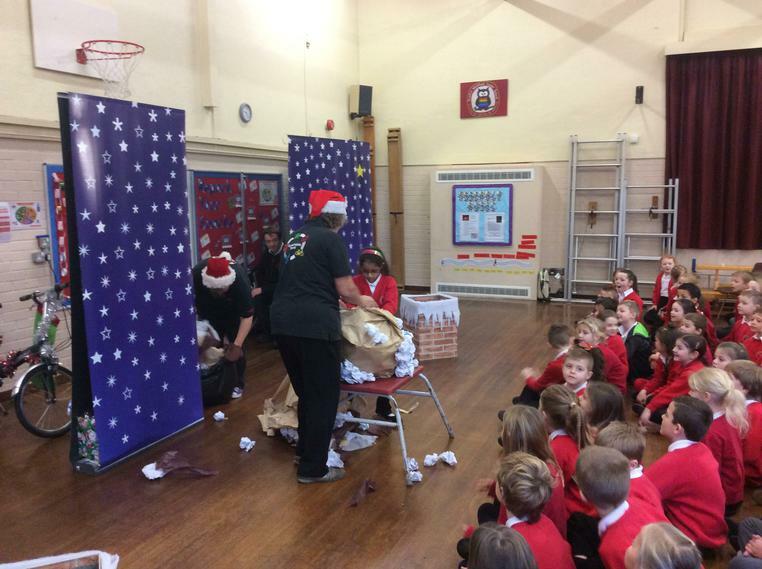 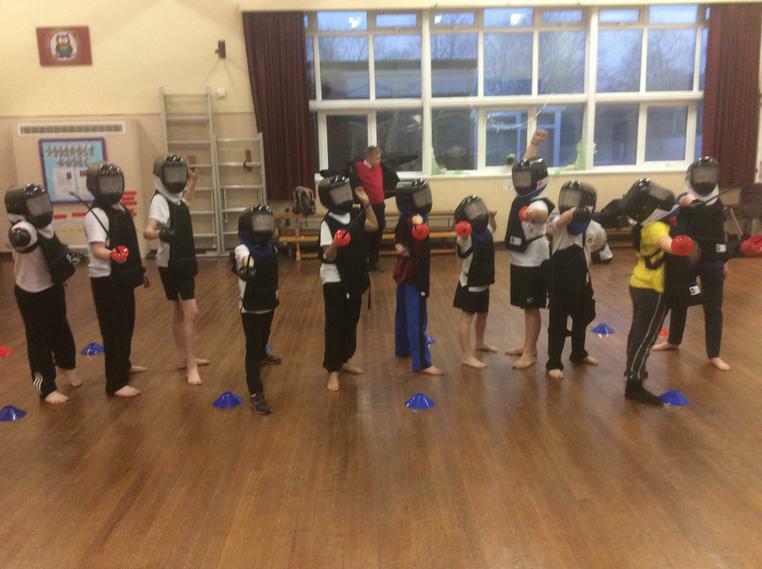 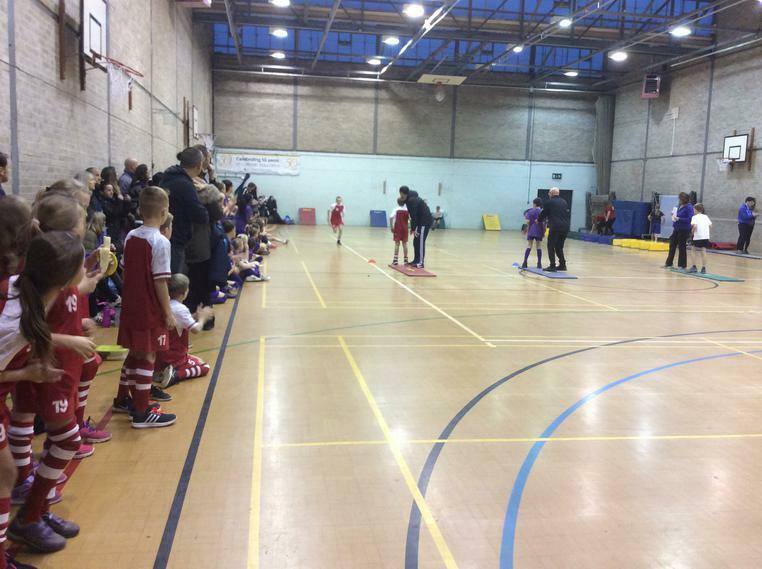 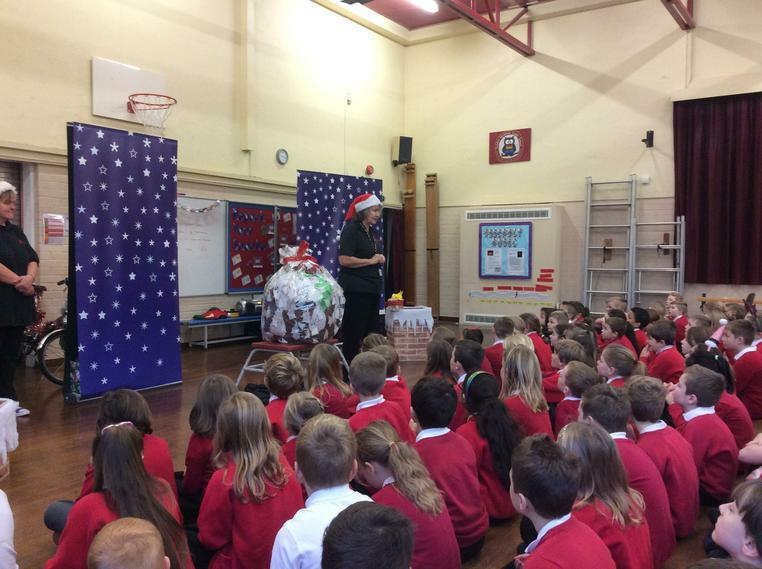 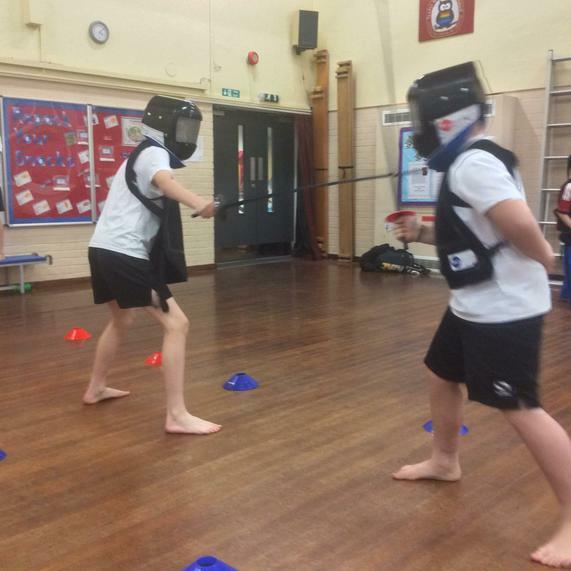 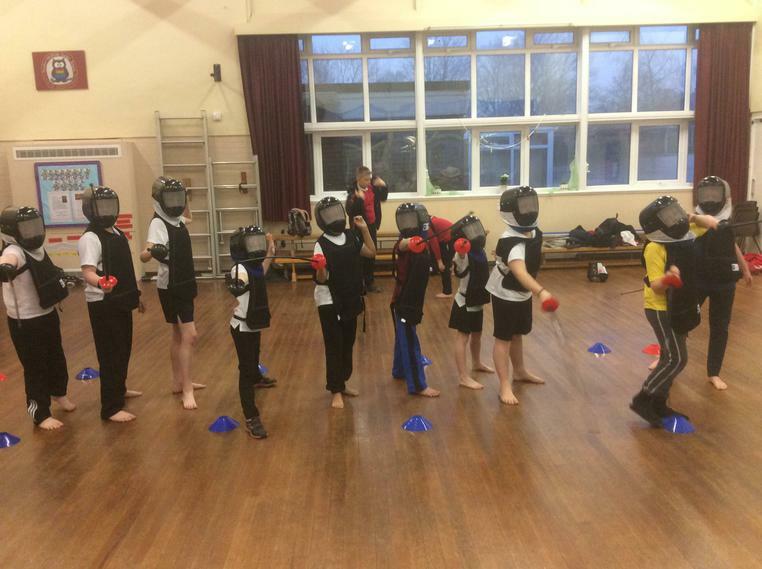 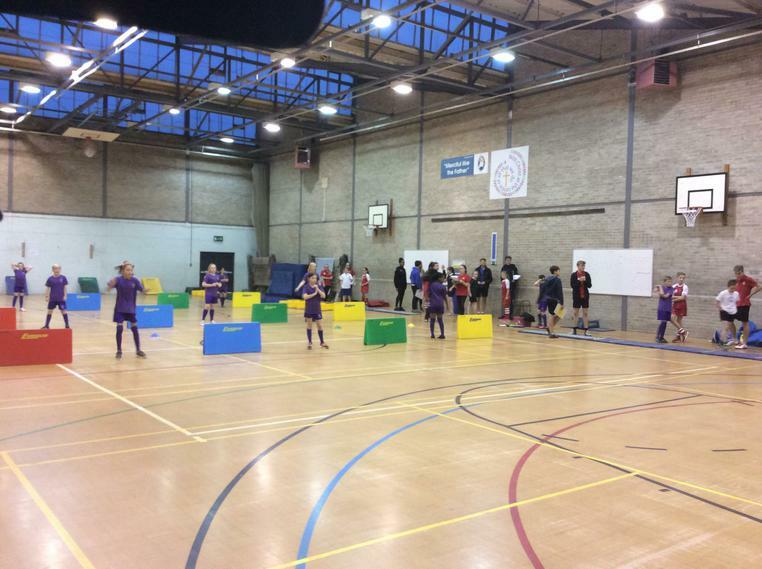 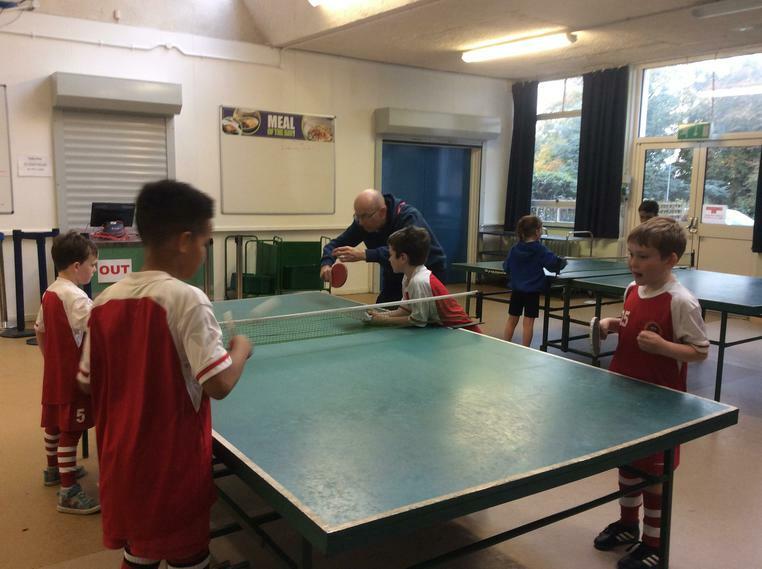 The event was organised by Mr Hiley and Mr Atkinson and thank you to any parents that helped cheer on the children and helped with refreshments. 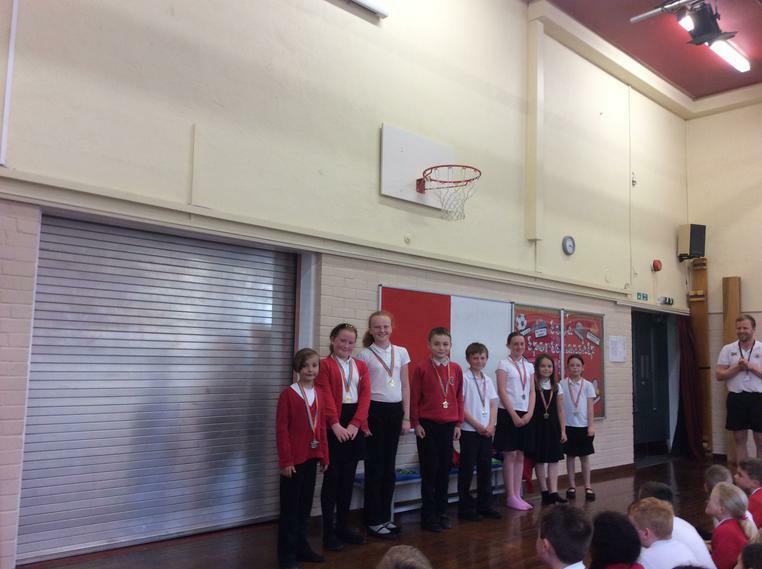 An overall winner of the most laps from each class and a child for the best effort both received a medal from Mr Hiley and Mr Atkinson for their achievements. 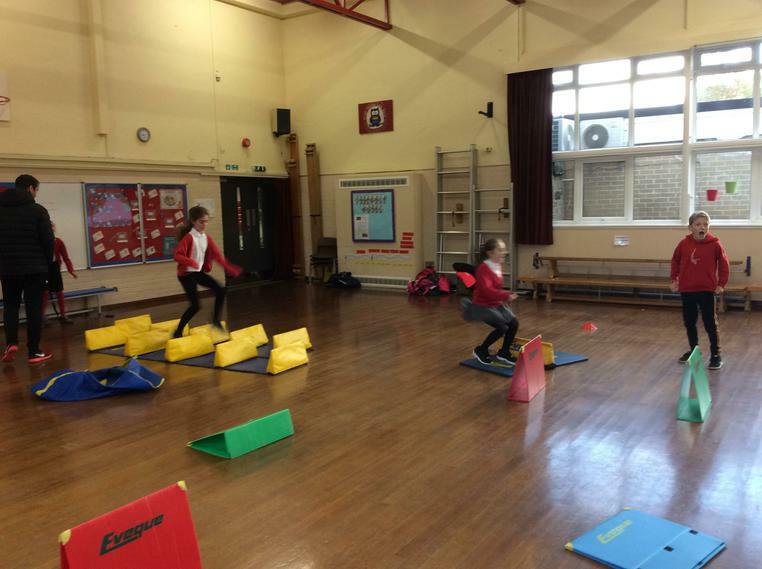 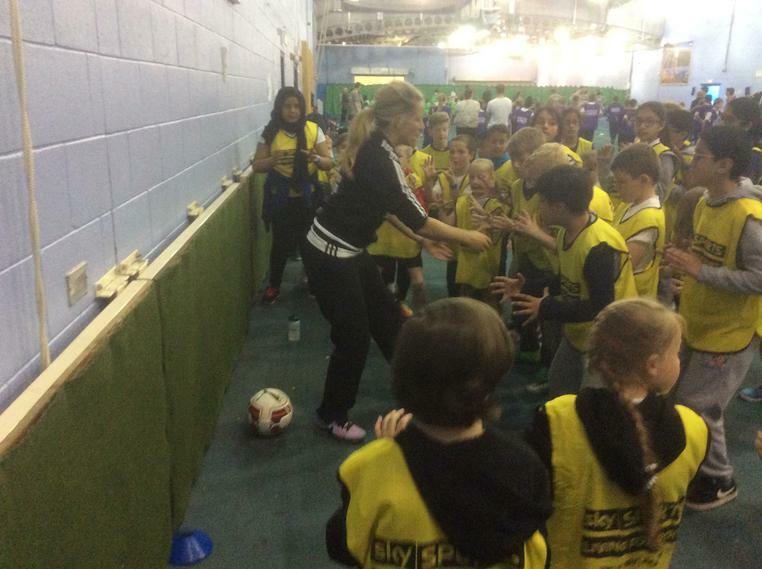 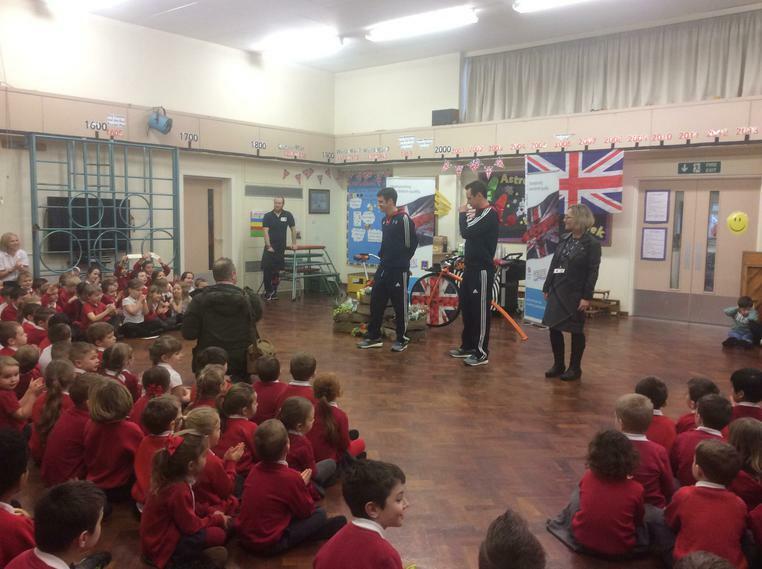 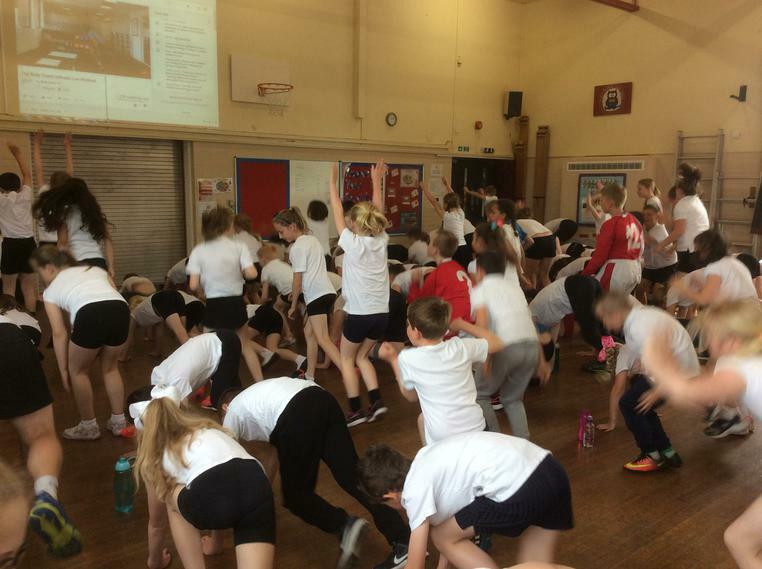 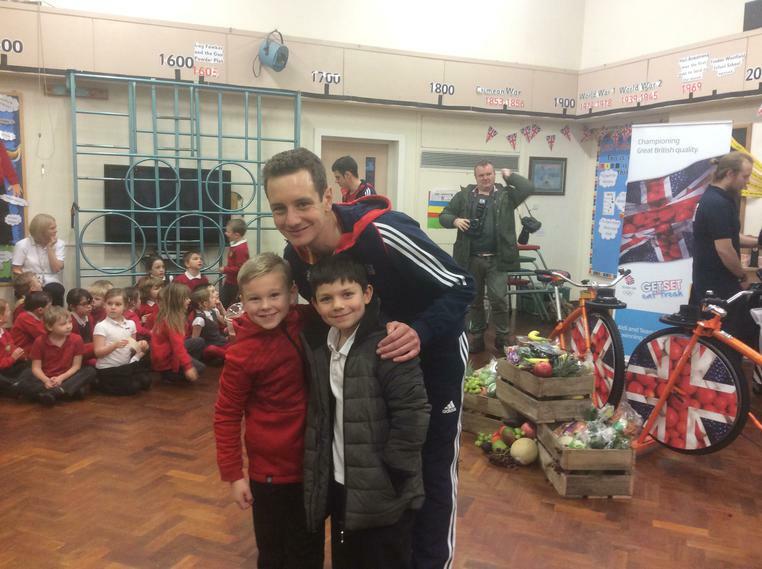 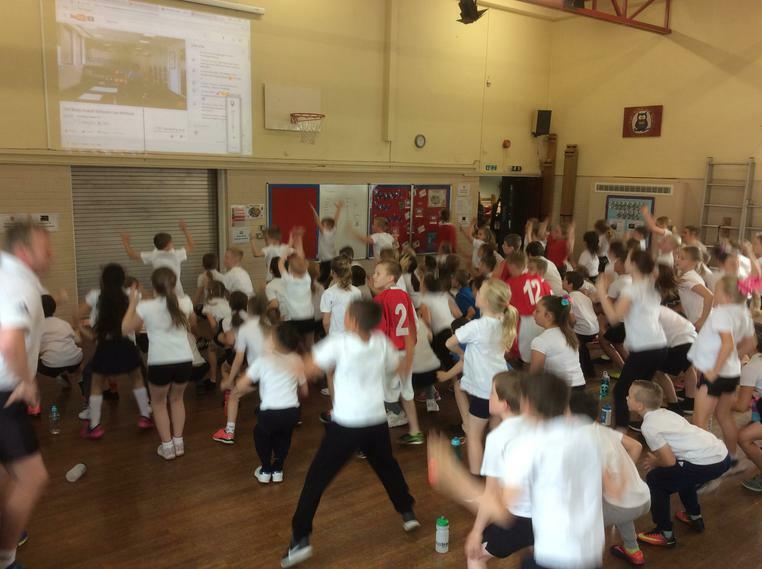 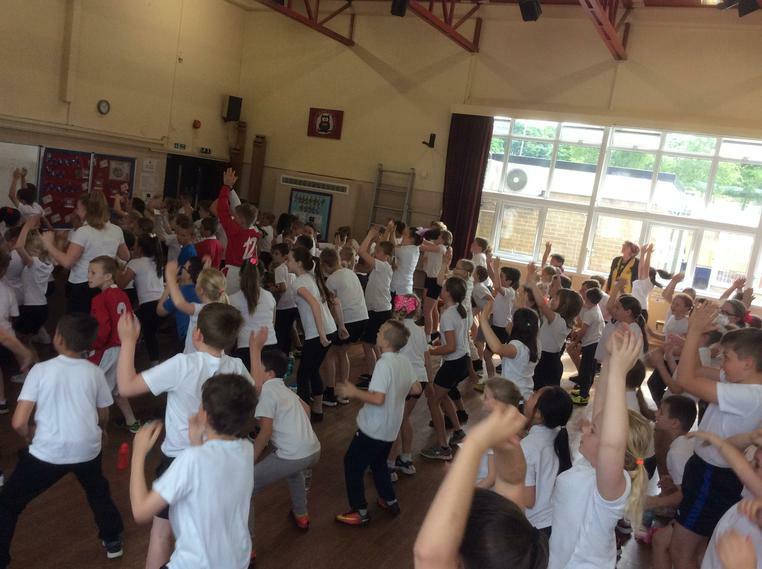 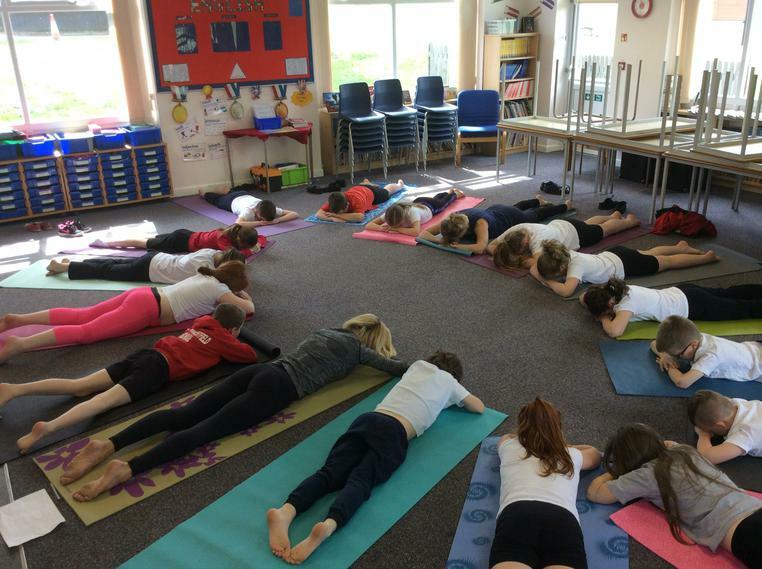 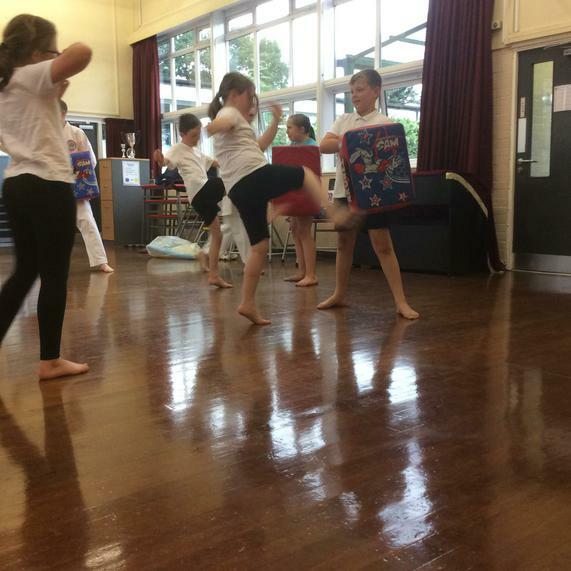 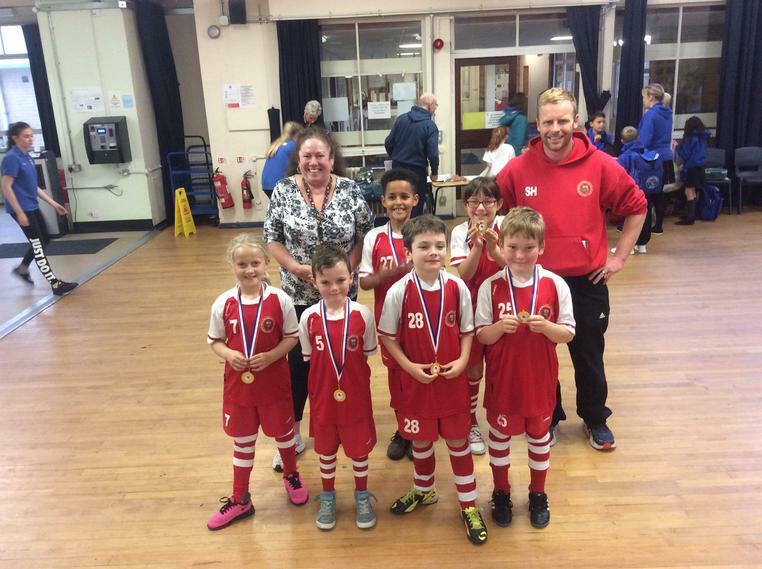 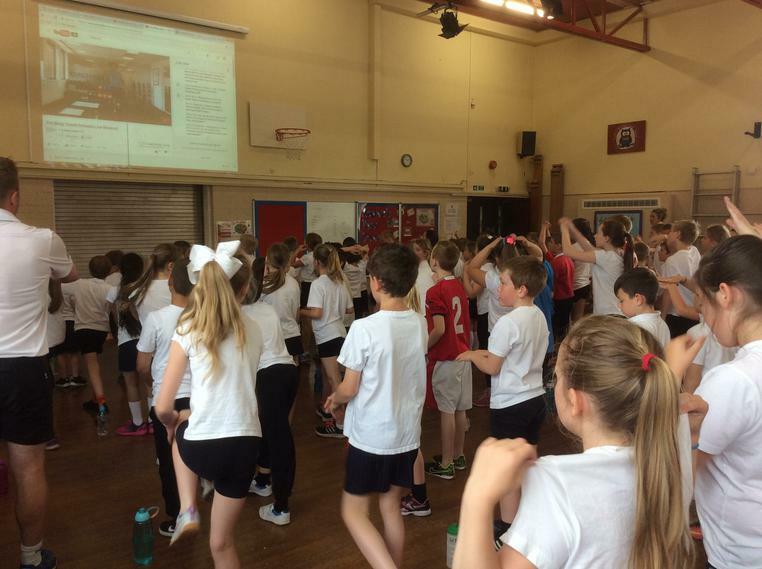 A super start to the 'Get Active' challenge. 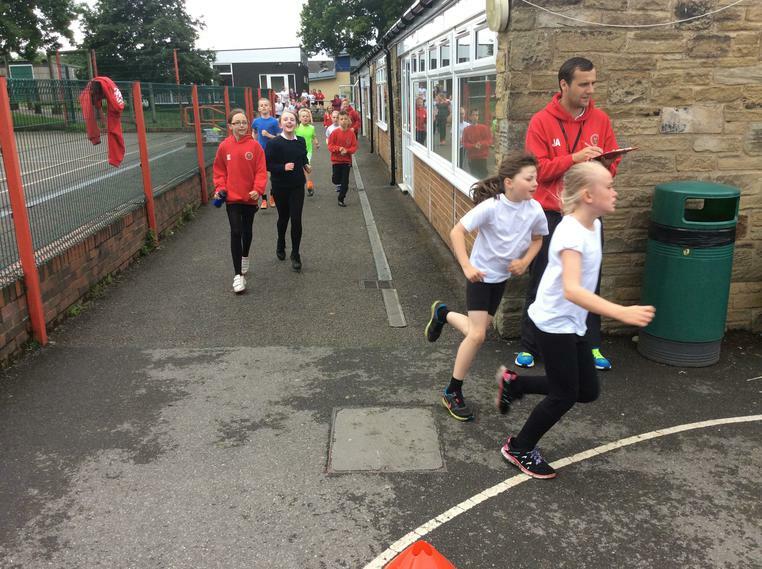 This week all children took part in a fun run for health week. 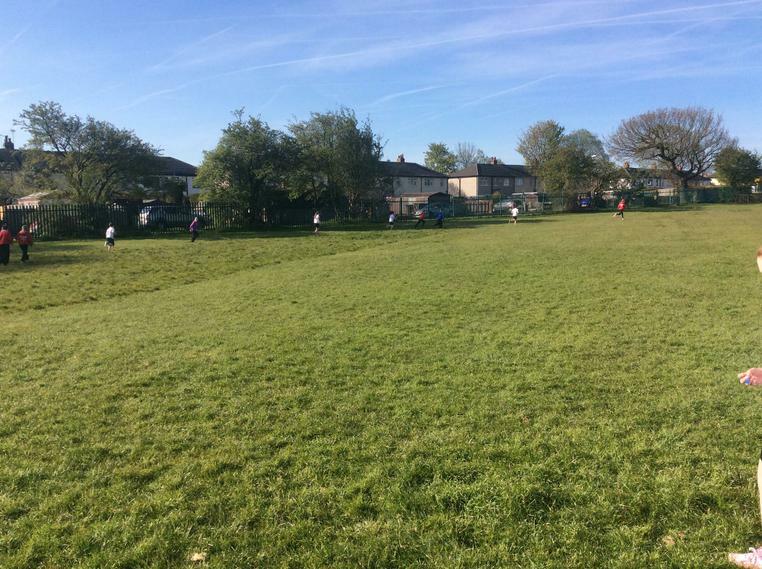 Change for life club is now well truly up and running every Thursday morning, enjoying the sunshine. 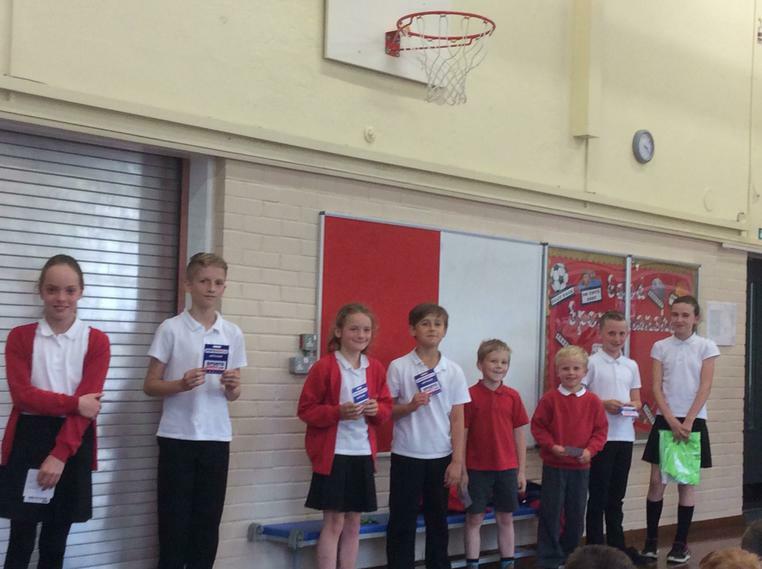 The big pedal prize winners. 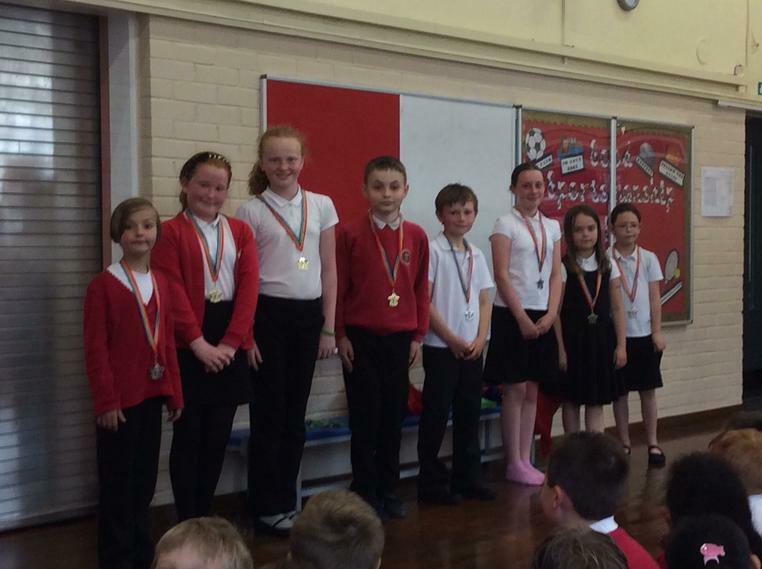 Well done all those who took part. 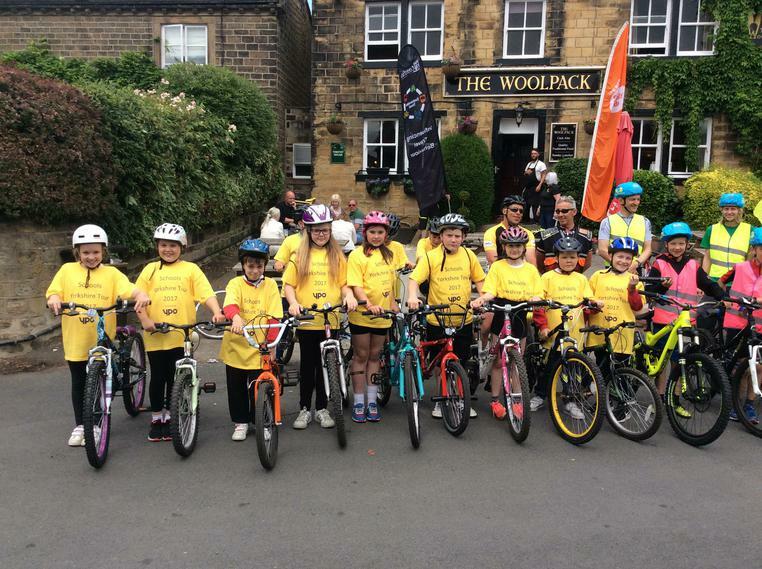 Modeshift STARS (Sustainable Travel Accreditation and Recognition for Schools) is a national schools awards scheme that has been established to recognise schools that have demonstrated excellence in supporting cycling, walking and other forms of sustainable transport. 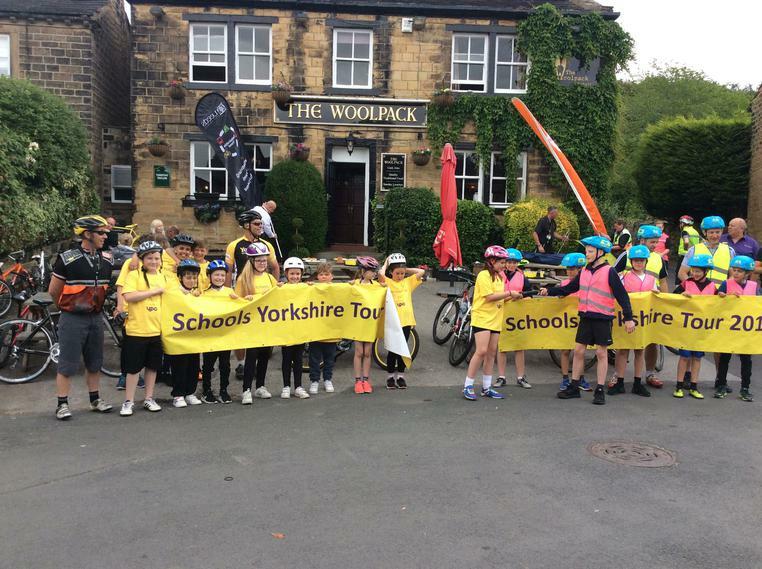 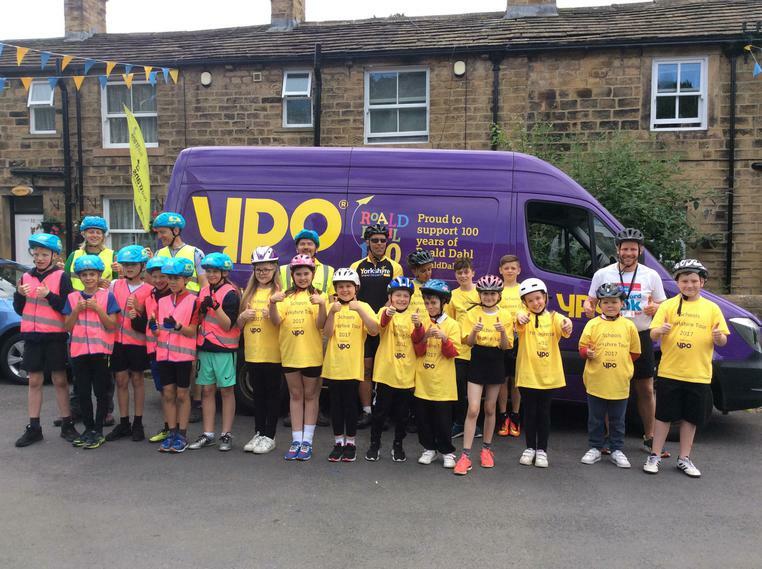 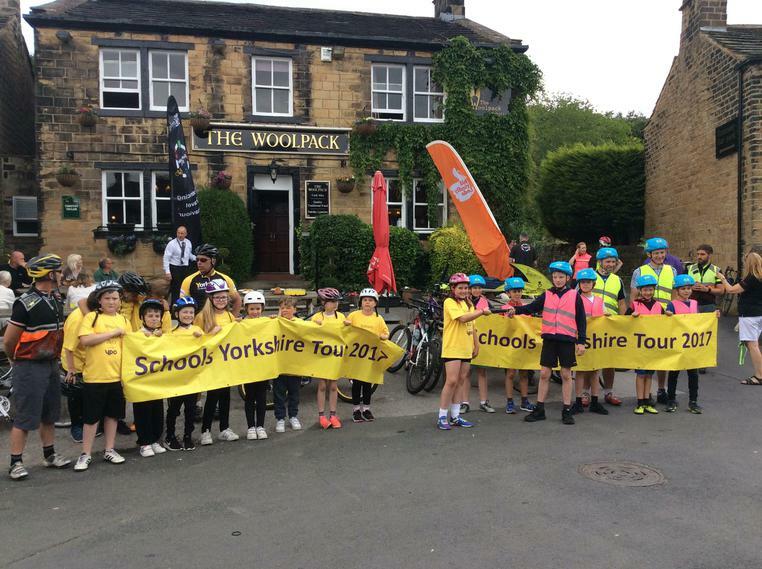 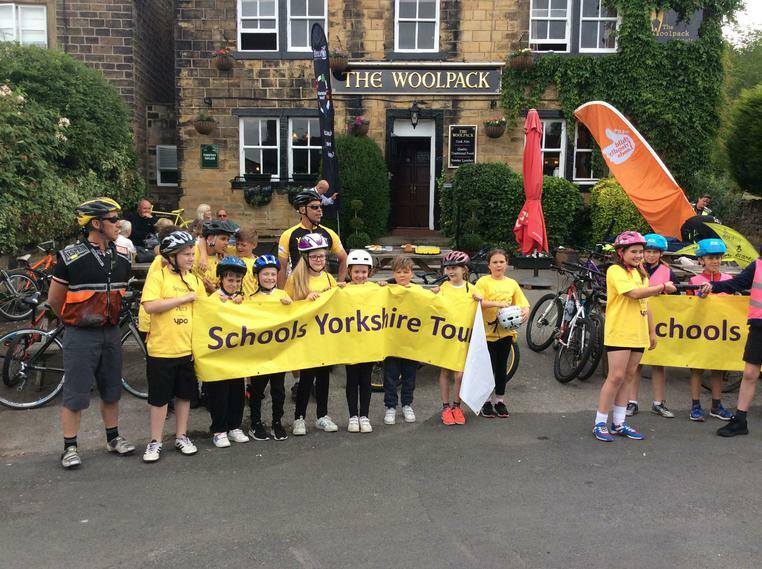 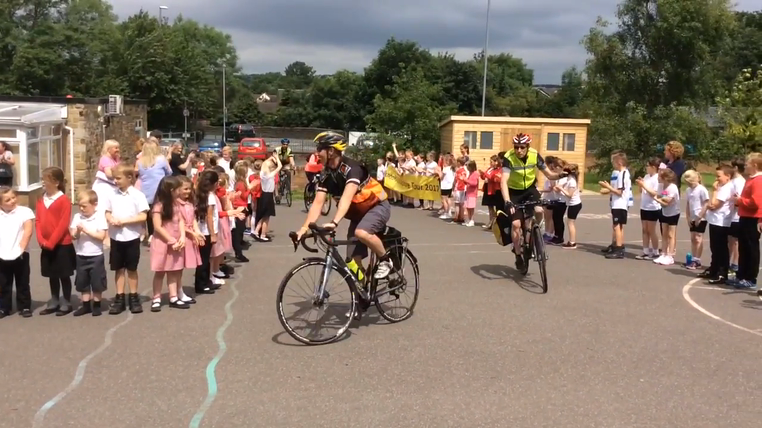 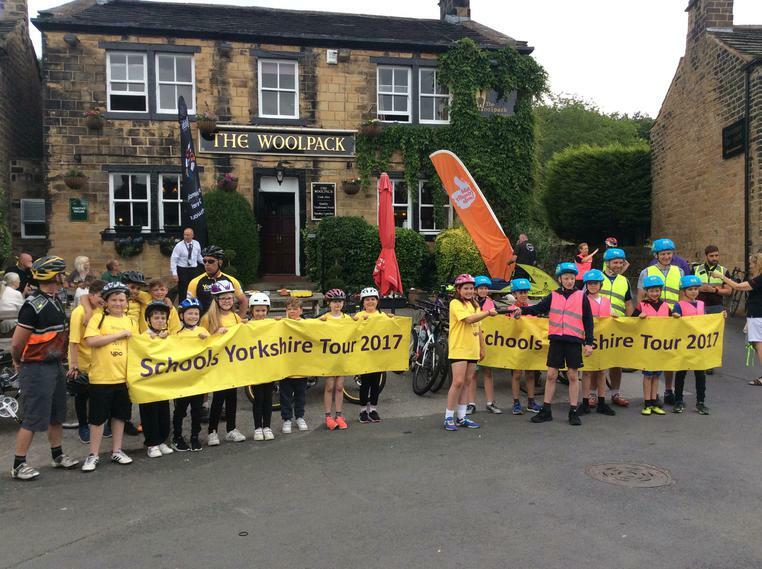 The scheme encourages schools right across the country to join in a major effort to increase levels of sustainable and active transport and in so doing, improve the health and well-being of children and young people. 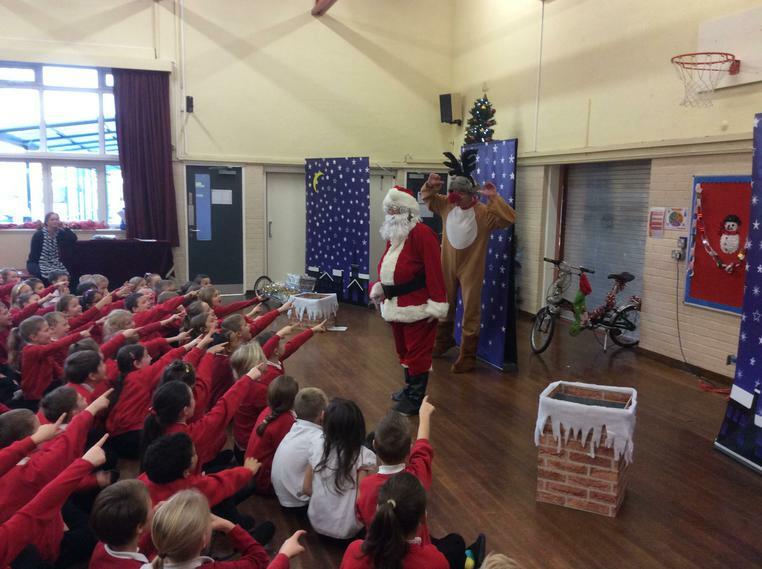 To increase levels of sustainable and active modes of travel for journeys to educational establishments. 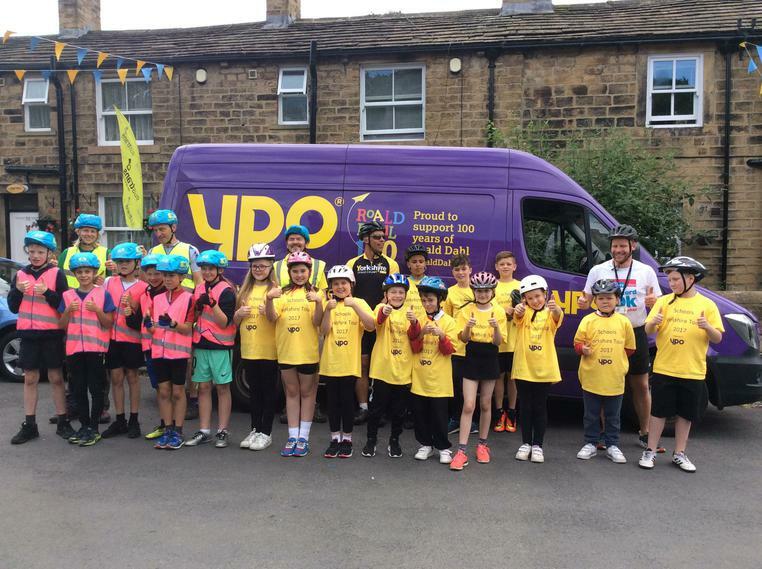 To support the provision of skills, training and experiences to enable young people to travel more actively, safely and independently. 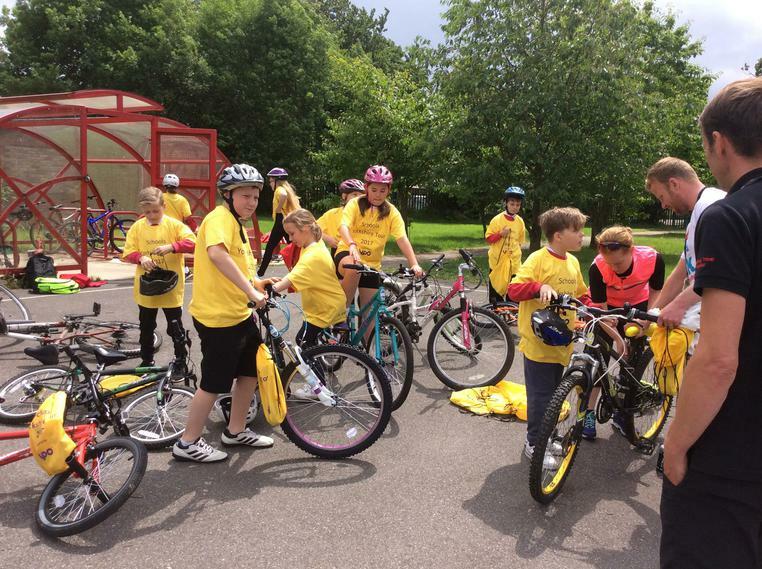 To celebrate and share best practice in the promotion of sustainable travel choices. 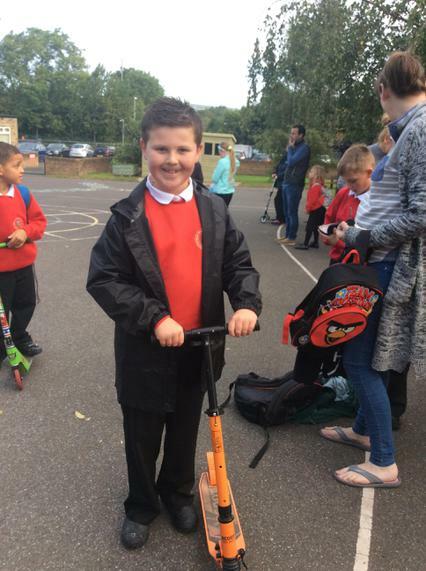 Modeshift STARS works to reduce car use and increase the number of children walking, cycling and taking public transport on the journey to and from school. 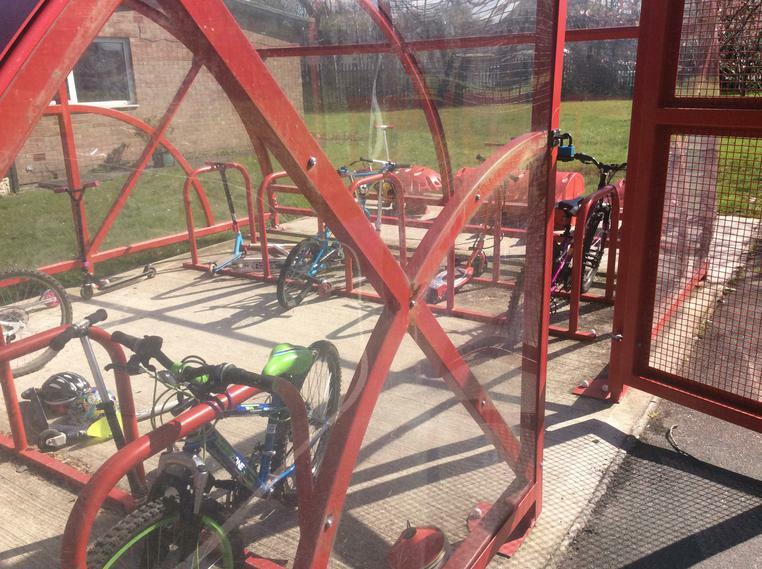 By creating a strong community where sustainable travel is the norm, the school is a more attractive place for future families and staff. 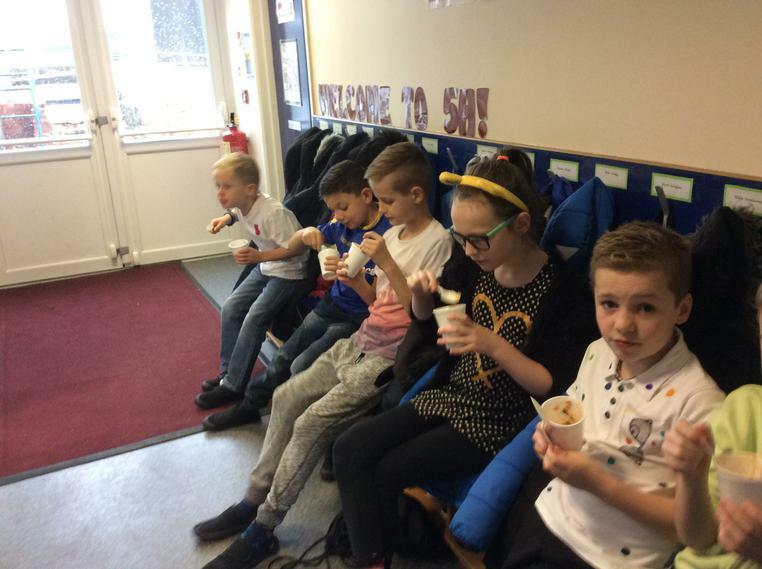 Academic achievement, enhanced pupil and staff health, improved environment around the school site and a stronger cohesion within the school community will bring many rewards to the school in the short and long term. 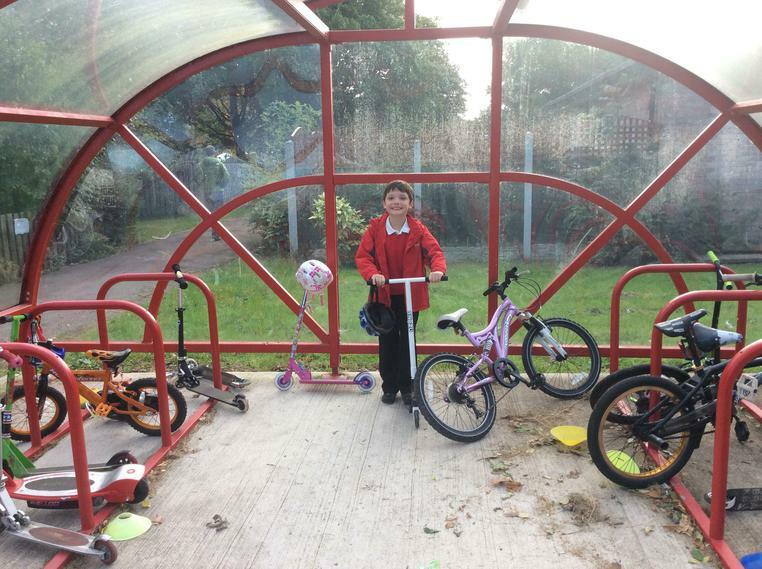 Mode - shift: Schools that are involved in an accreditation scheme are more likely to reduce car use and increase healthier modes of travel like walking and cycling for all children. 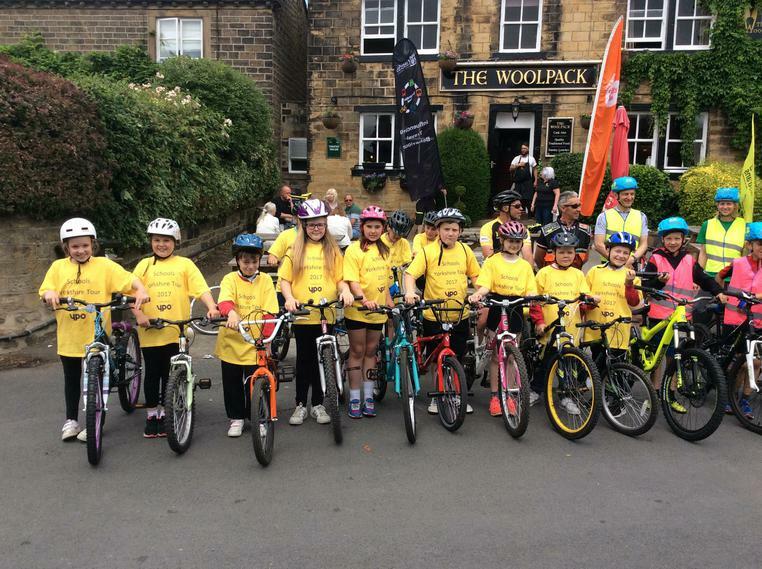 Modeshift STARS is the national schools awards scheme that has been established to recognise schools that have demonstrated excellence in supporting cycling, walking and other forms of sustainable travel. 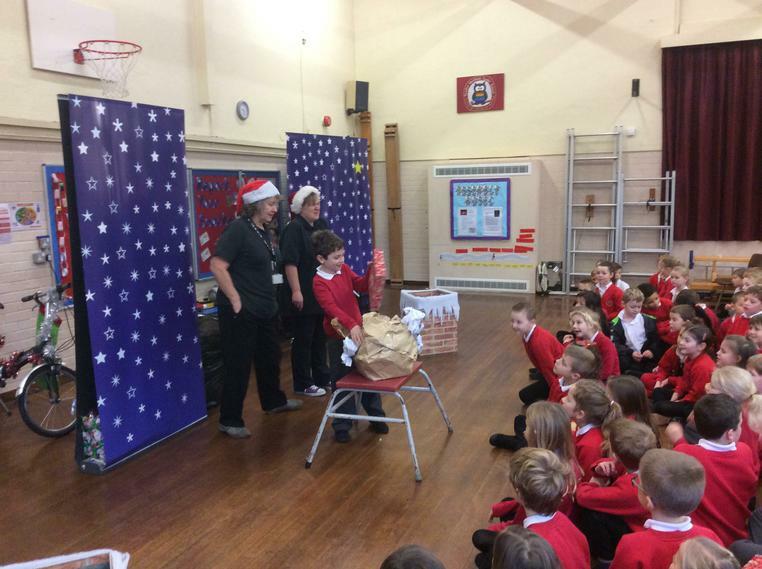 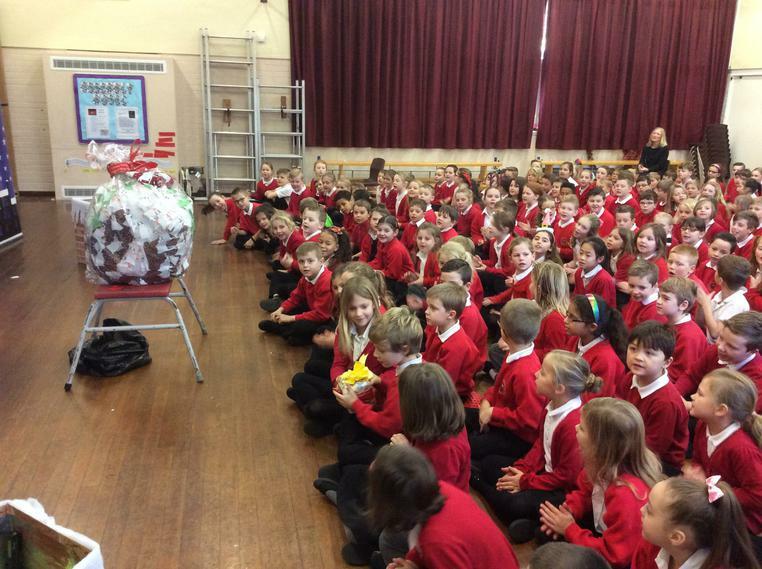 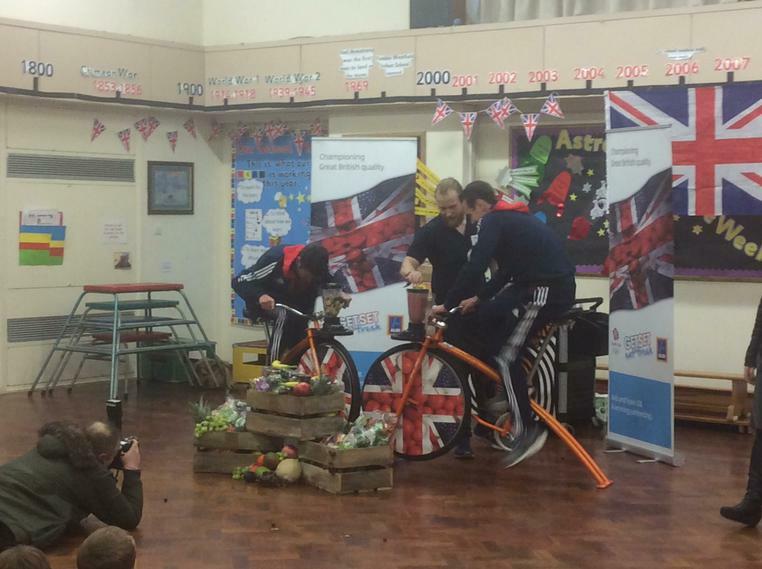 School entered a competition with Modeshift STARS and won this bike! 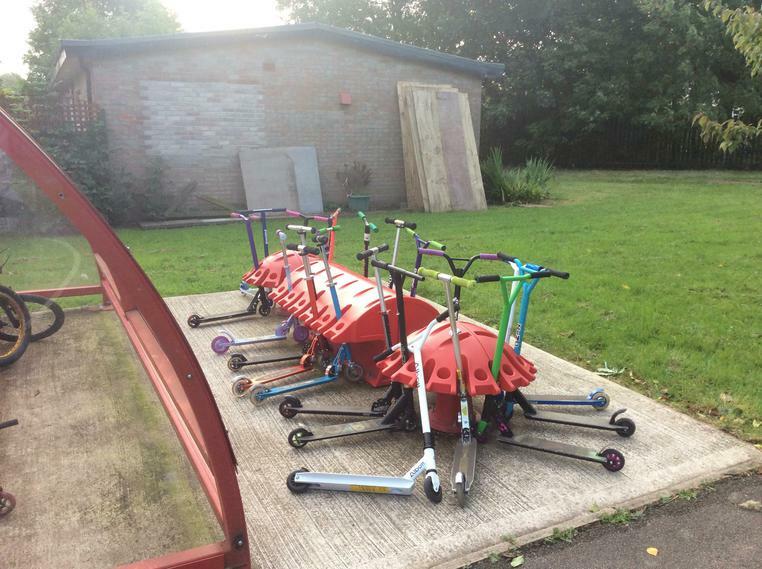 Pupils loan scheme for bikes and scooters. 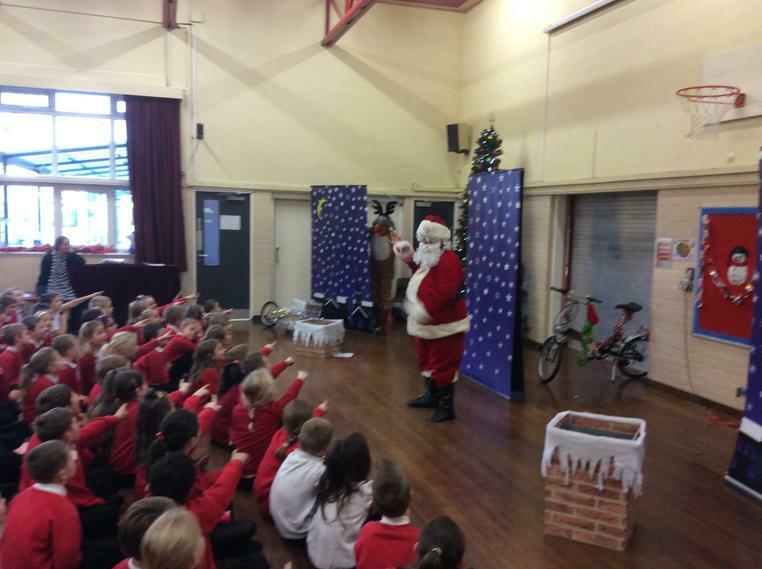 Cycle purchase scheme for staff. 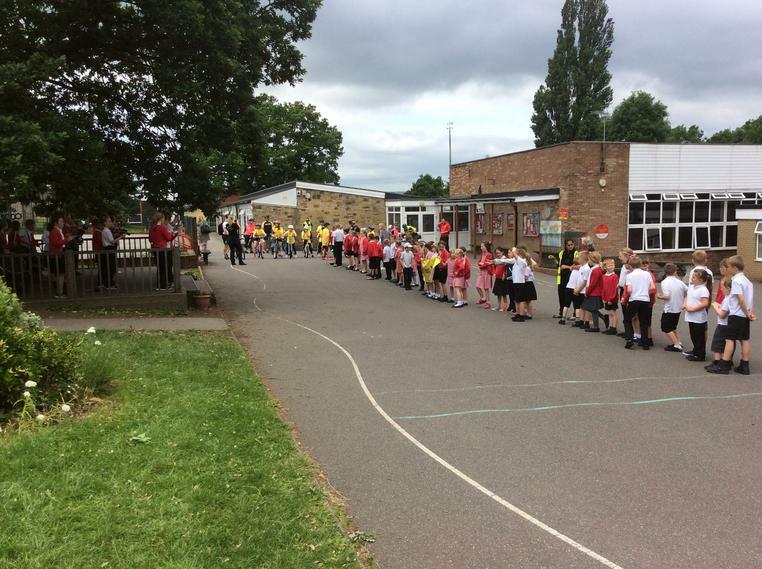 Whole school walking to church at Easter. 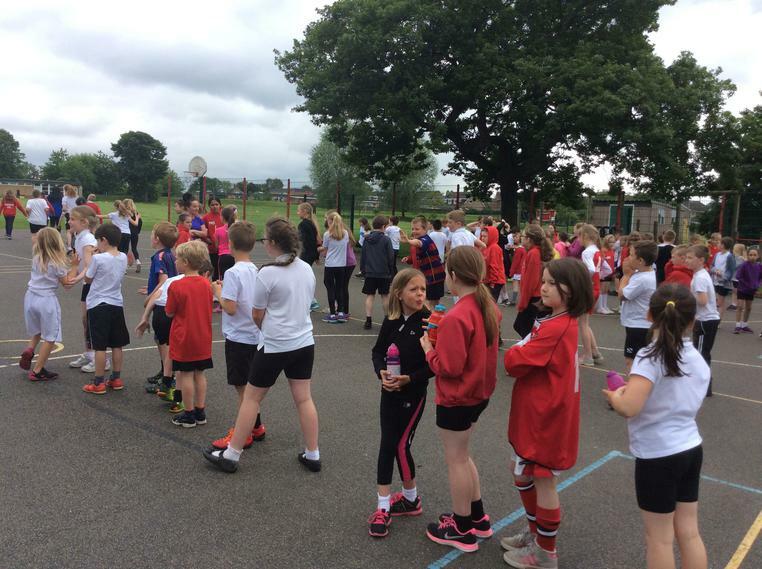 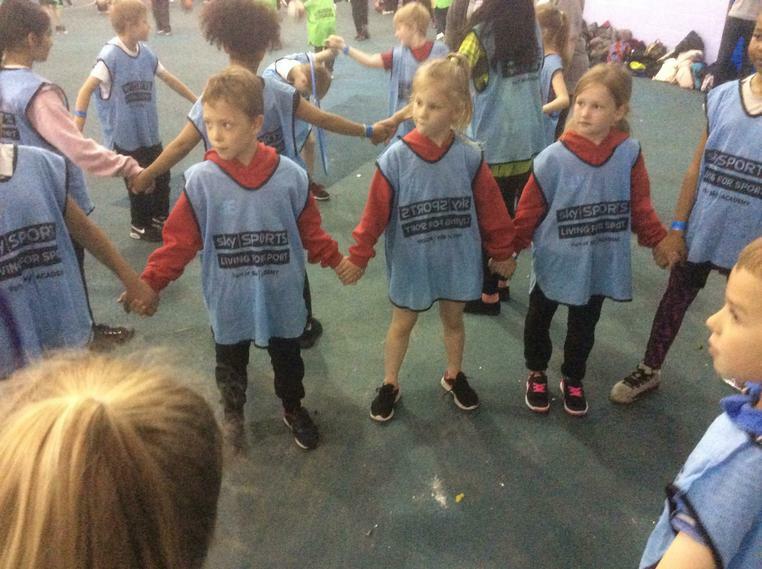 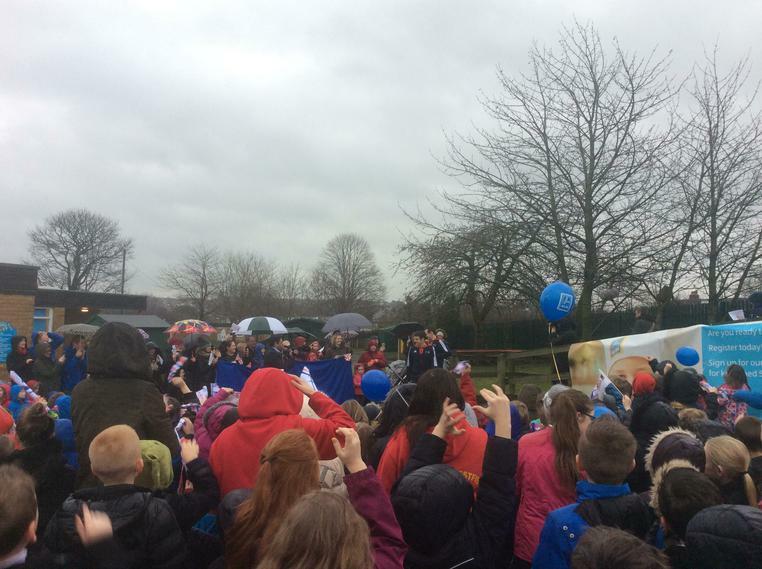 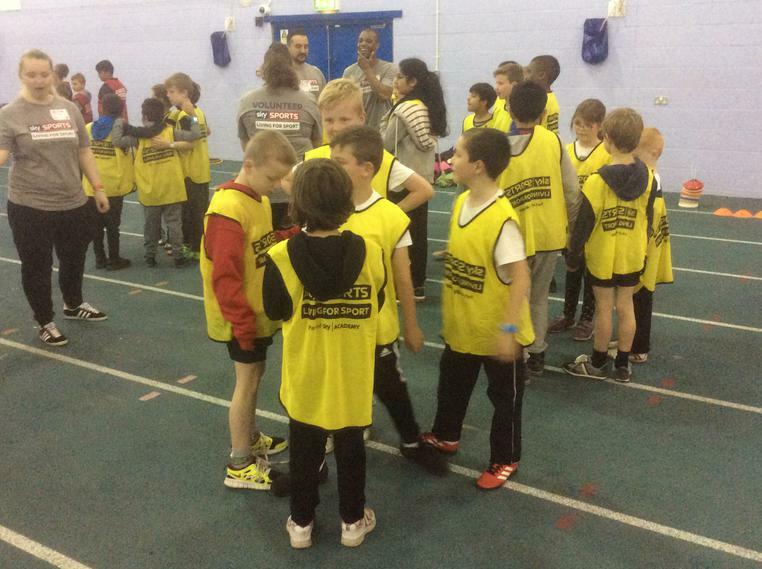 Pupils taking part in Change 4 Life. 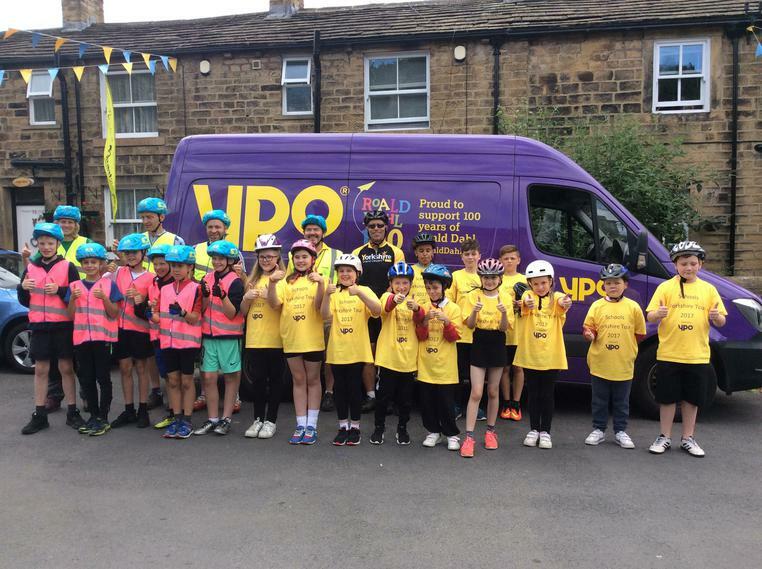 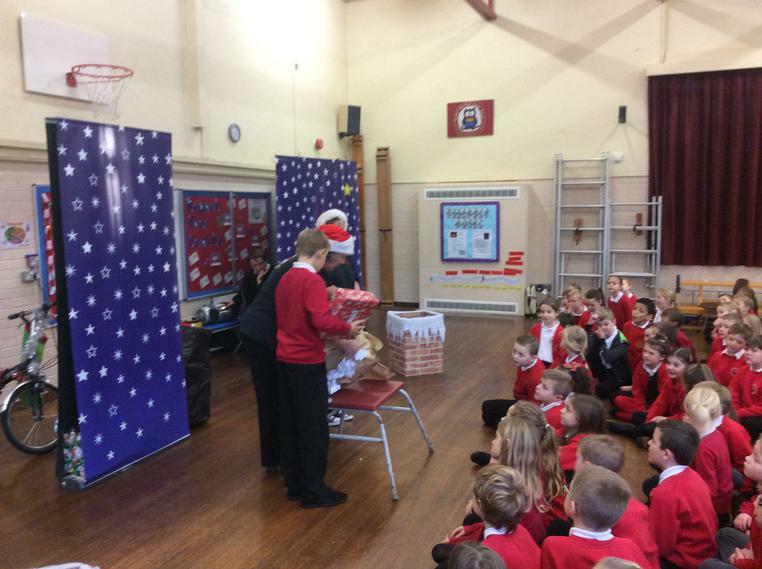 Active travel for two weeks – prizes given to children who participate every day. 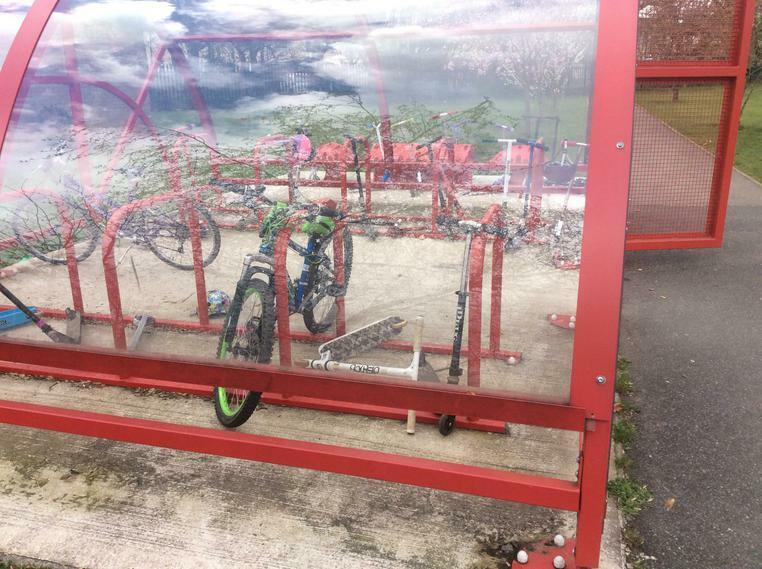 Car free zone. 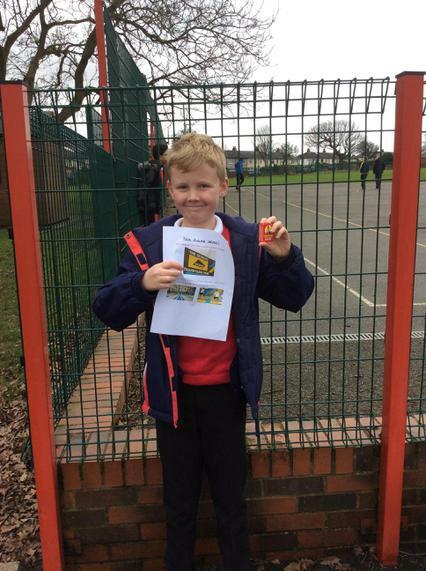 School to inform parents of areas where parking is not allowed, through newsletter and maps. 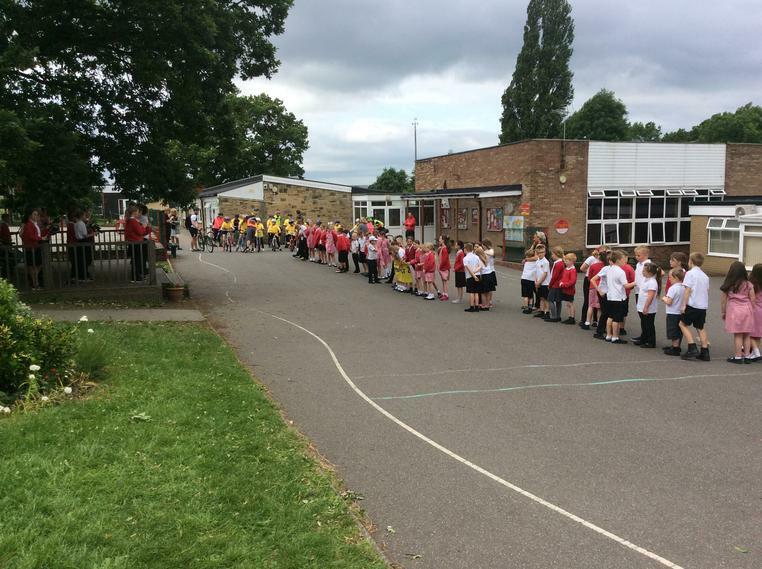 Year 4 classes/travel ambassadors to survey traffic outside school at the start of the school day. 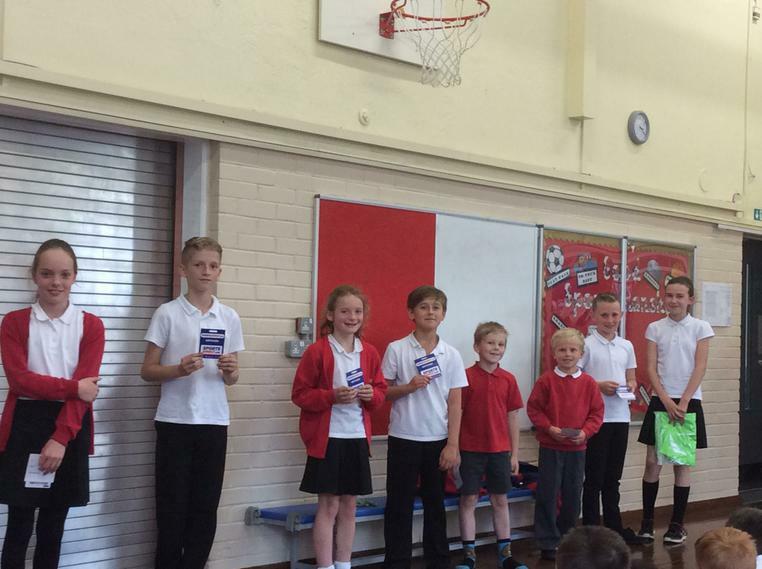 Leaflets to be given to those dropping off outside school. 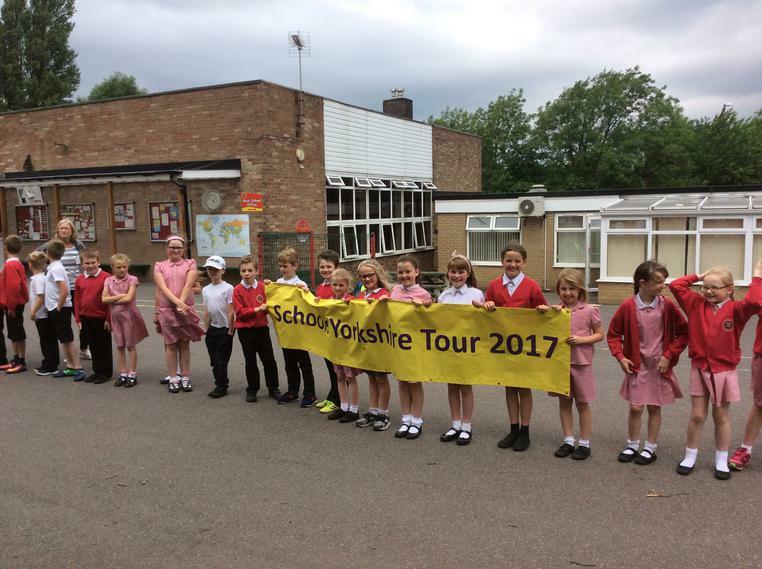 School to display active travel maps, Leeds cycling maps and bus timetables for the local area in outside notice board. 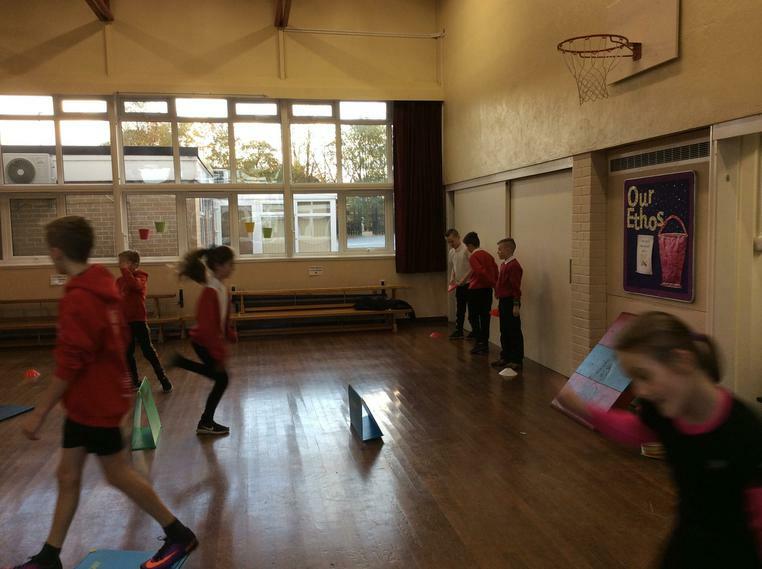 School to develop a notice board showing active travel activities. 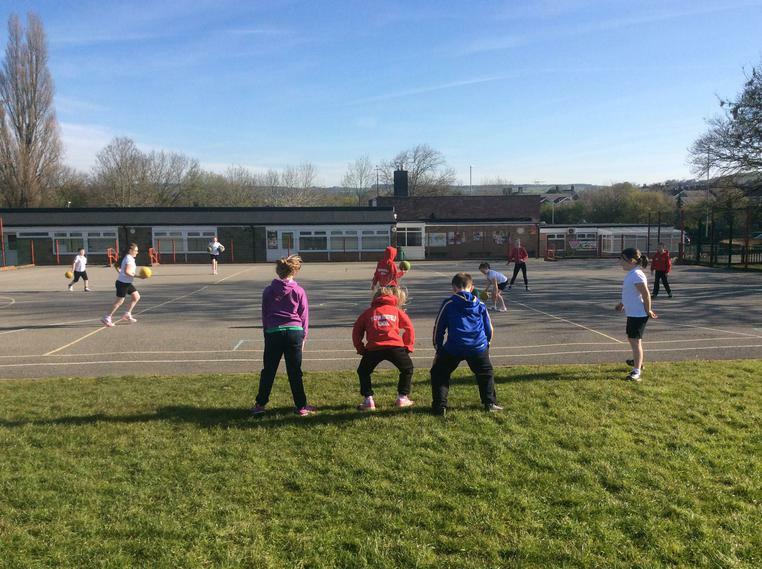 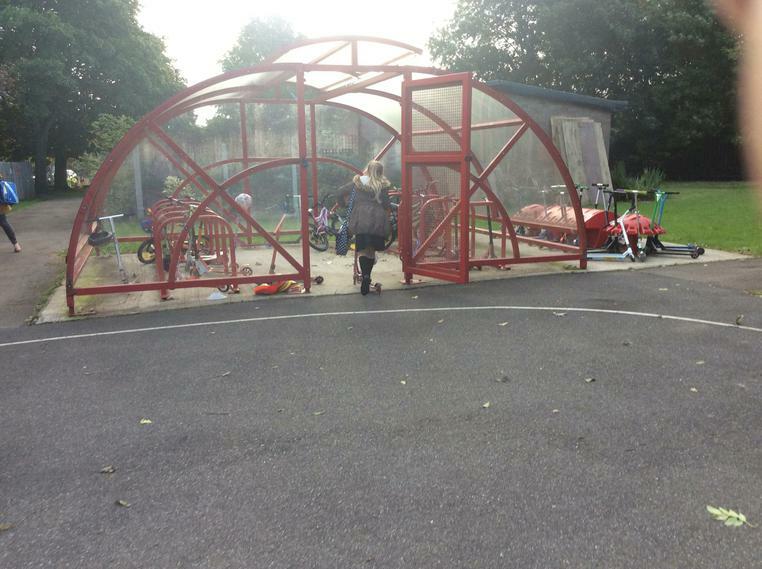 School to add all active travel activities to the ‘Healthy School’ page of the website. 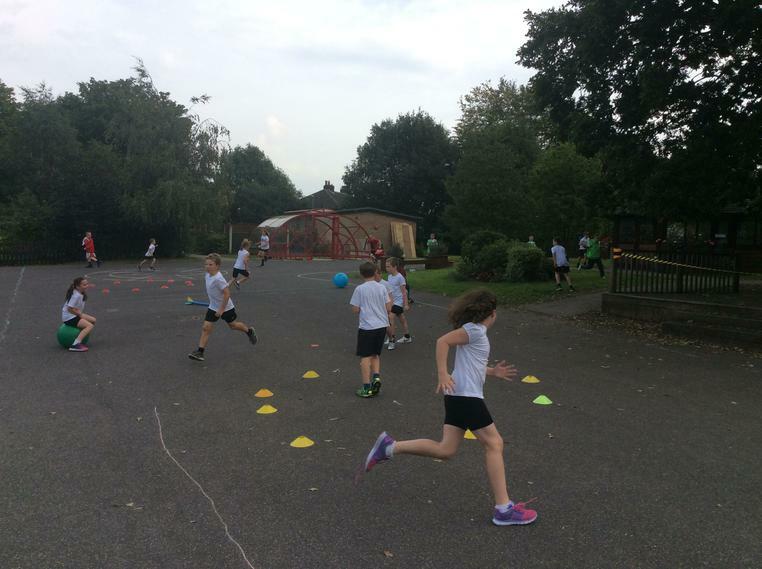 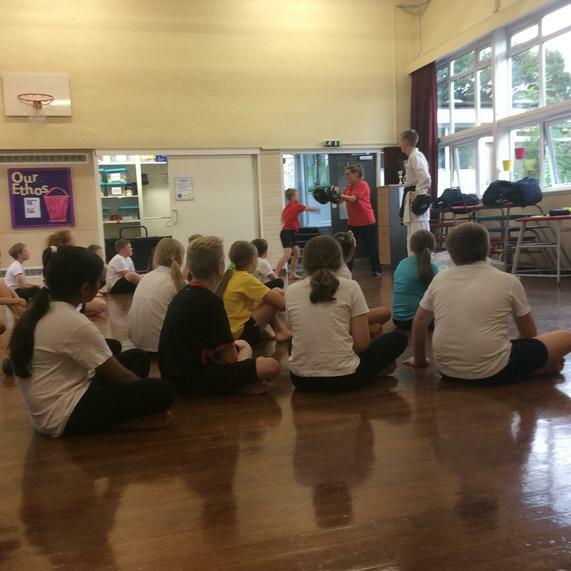 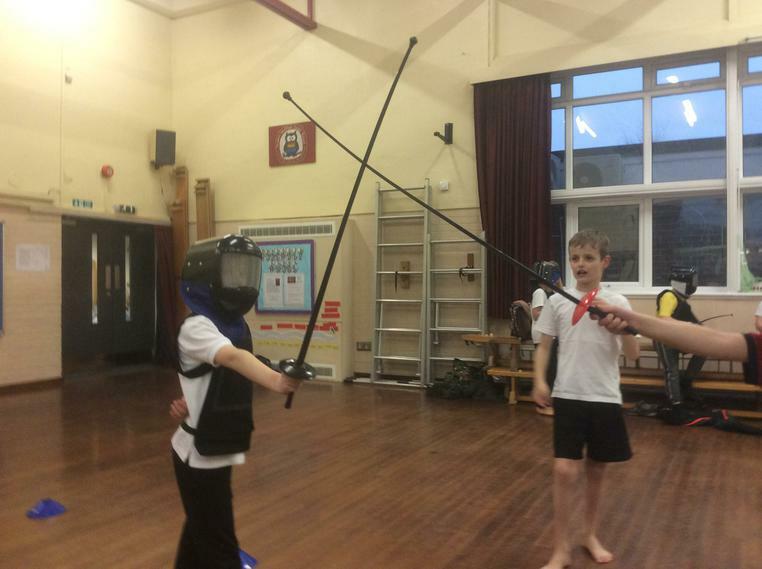 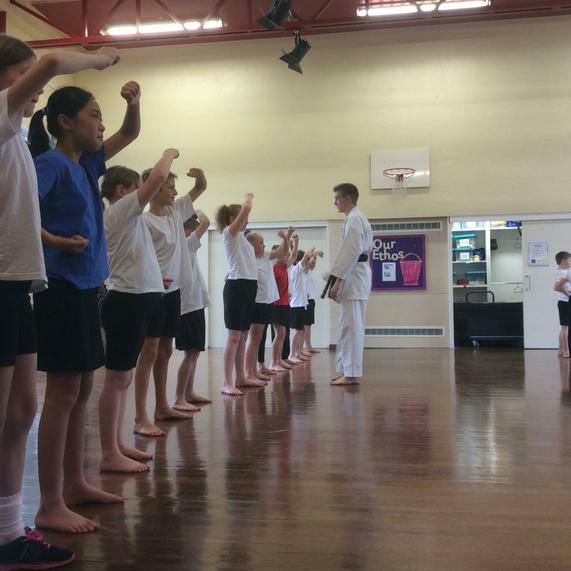 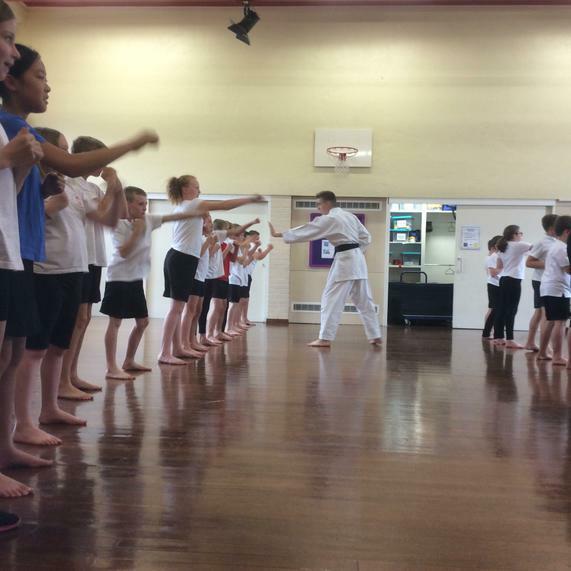 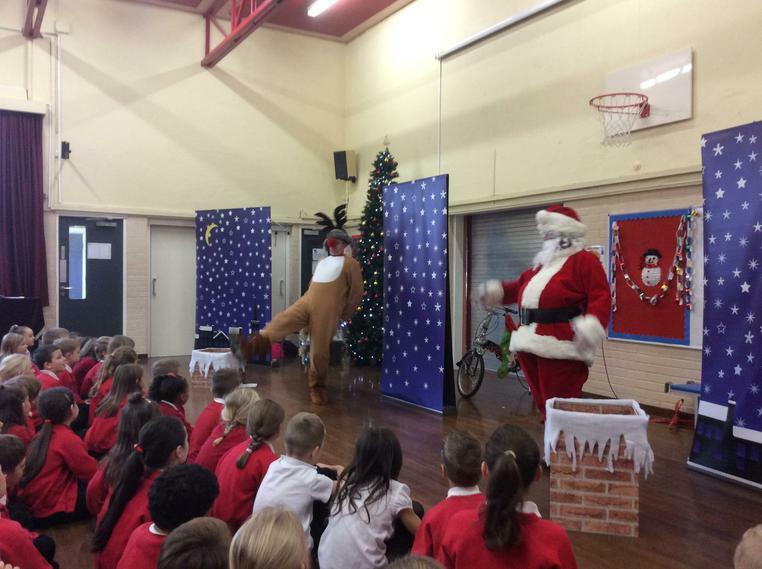 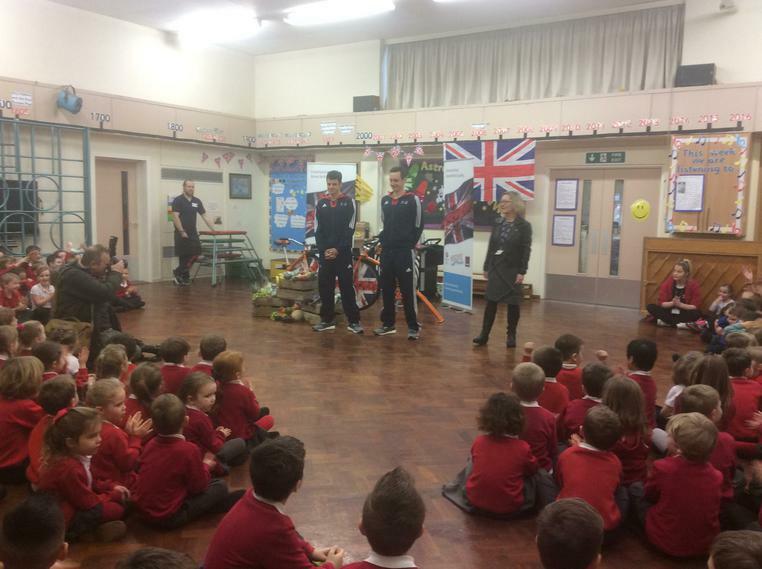 School to develop a lesson to be delivered to all classes promoting the benefits of active travel. 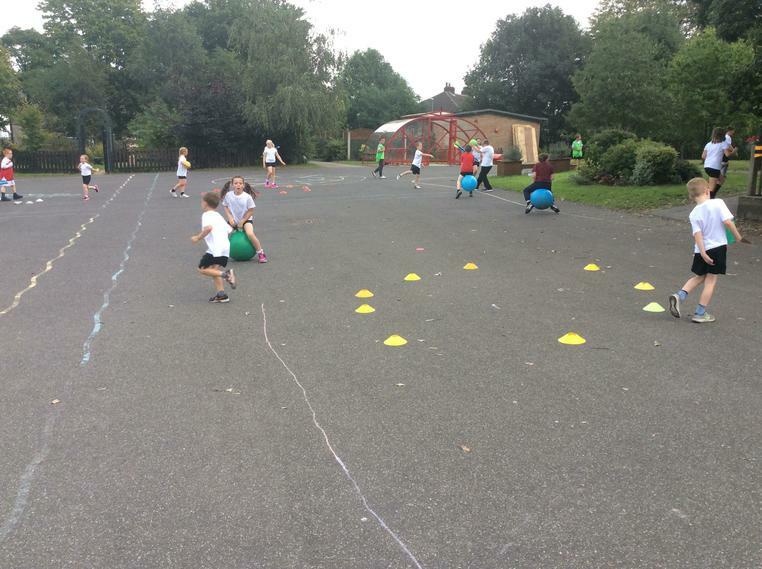 School council to work with Westfield Infant’s school council to generate ideas to promote active travel. 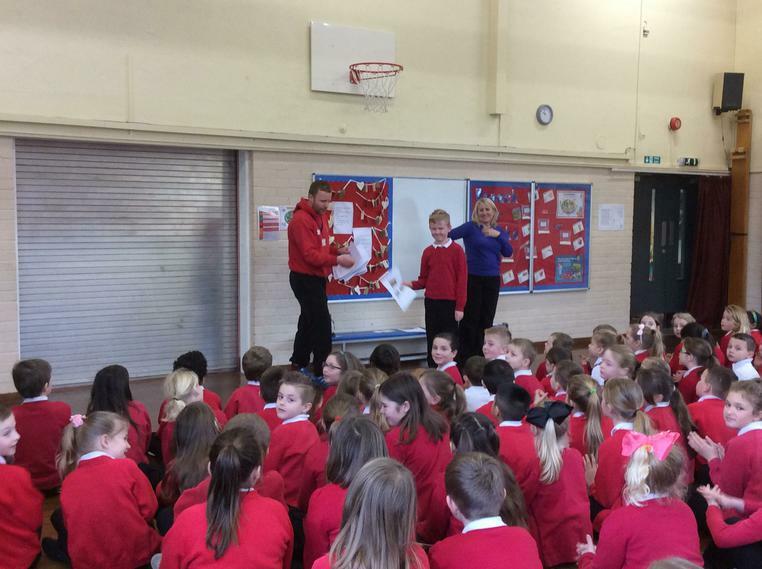 School council to produce minutes to their meeting regarding active travel. 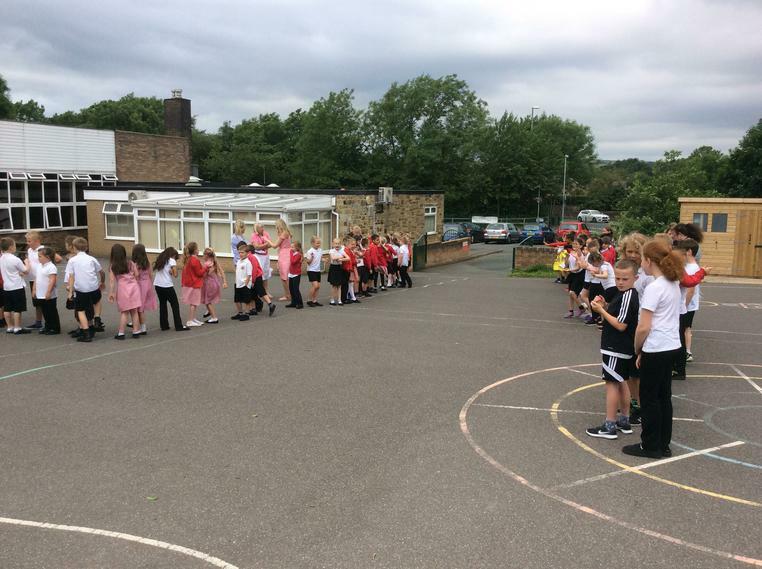 Present minutes to the governors of the Teaching and Learning committee. 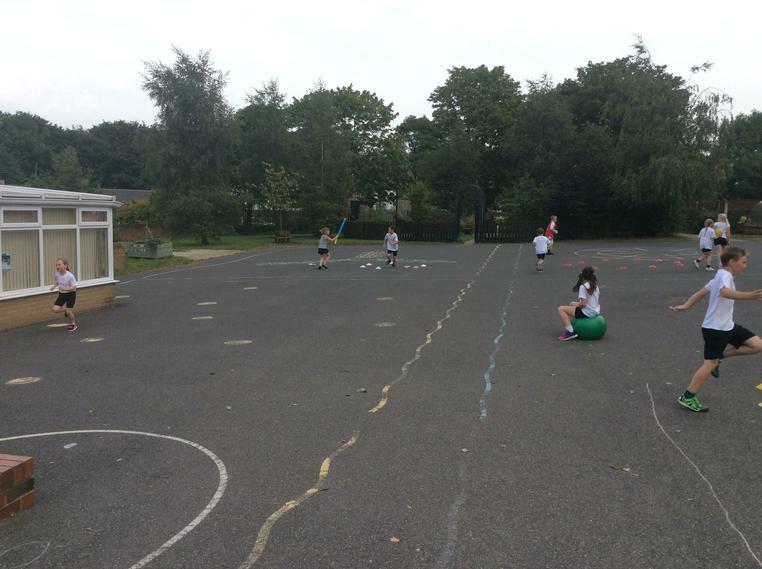 Pupils work generated from active travel and survey lesson. 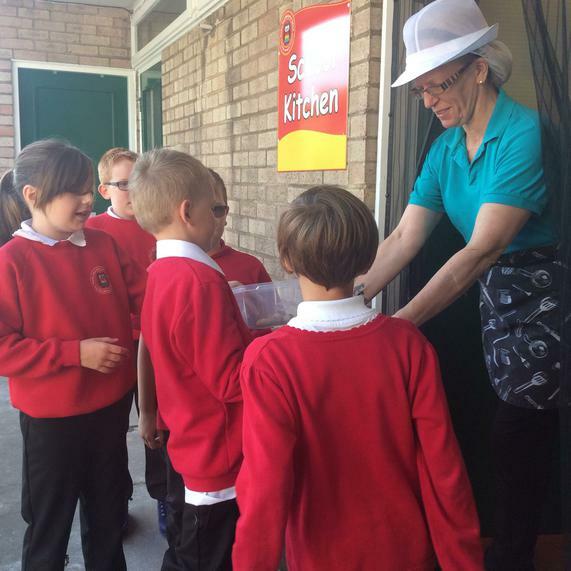 School to carry out parent surveys about travel to school initiatives. 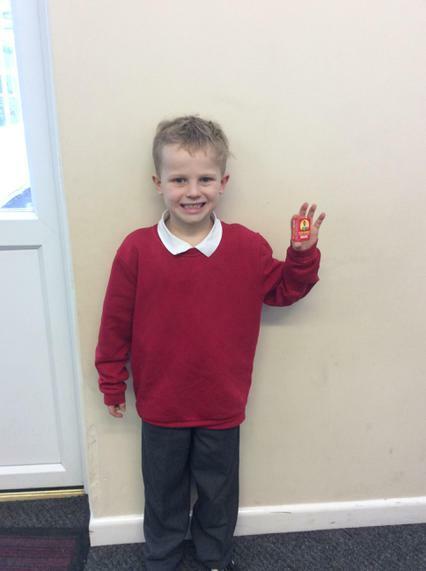 This is our first term back...well done to the children who got on the Golden Table!